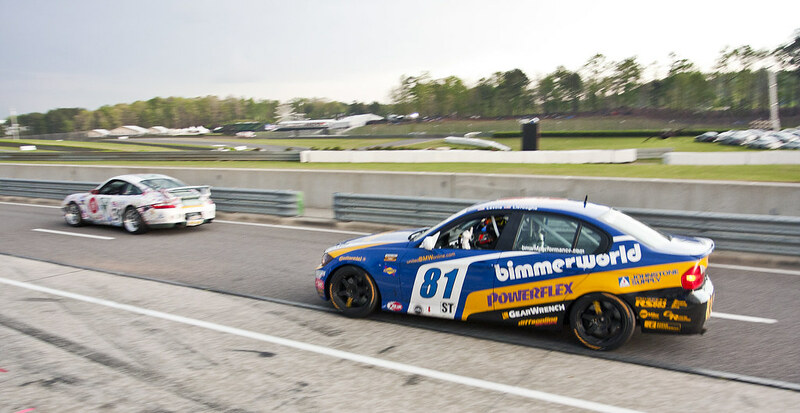 One year ago, BimmerWorld celebrated a win at Barber Motorsports Park after a perfect storm of opportunity, driving talent and strategy vaulted the No. 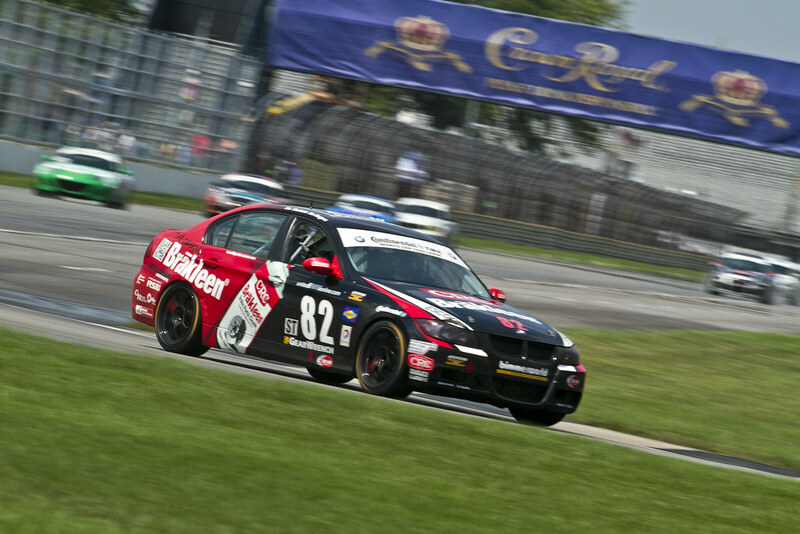 81 BMW 328i driven by Gregory Liefooghe and David Levine into Victory Lane. 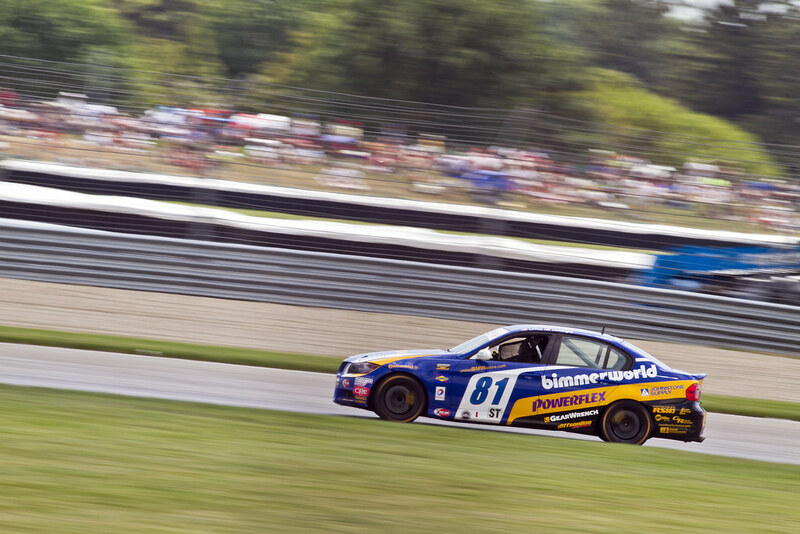 Expecting that perfect storm to strike again during the 2013 race at Barber would have been too much to ask, but that didn’t stop Liefooghe and new teammate Tyler Cooke from doing all they could to overcome a deck that was stacked against the 4-door sedans in GRAND-AM’s Continental Tire Series Street Tuner (ST) division. 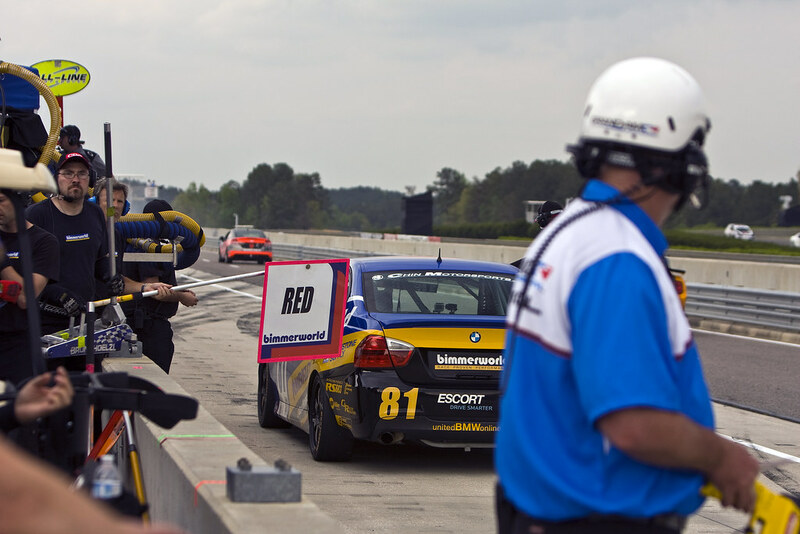 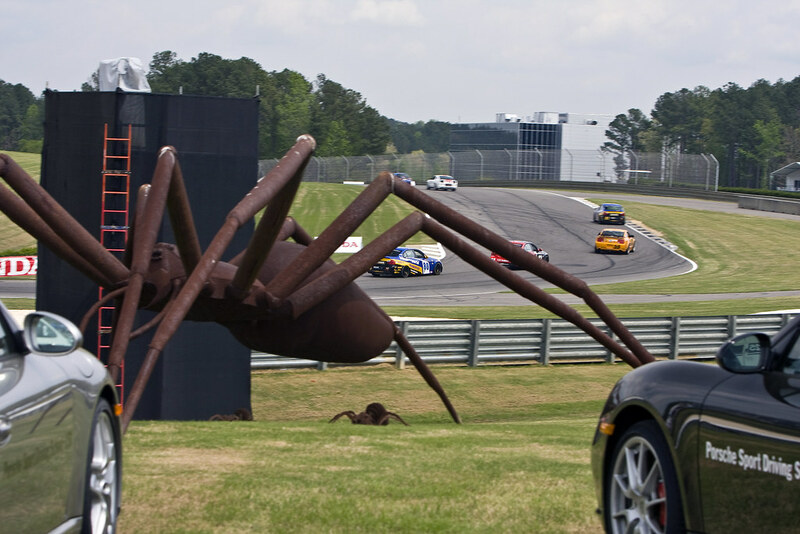 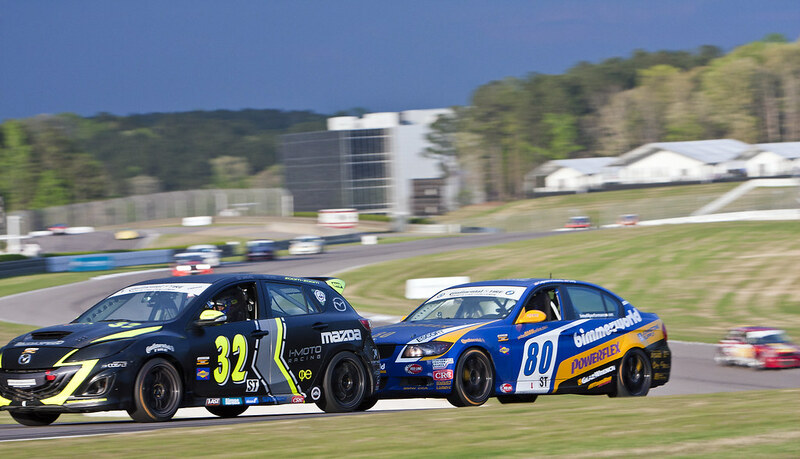 With Round 3 of the championship hosted at Alabama’s Barber Motorsports Park, a rolling 2.3-mile, 17-turn facility originally created for motorcycle racing, it was no surprise that the bike-sized cars in the ST class held the upper hand all weekend. 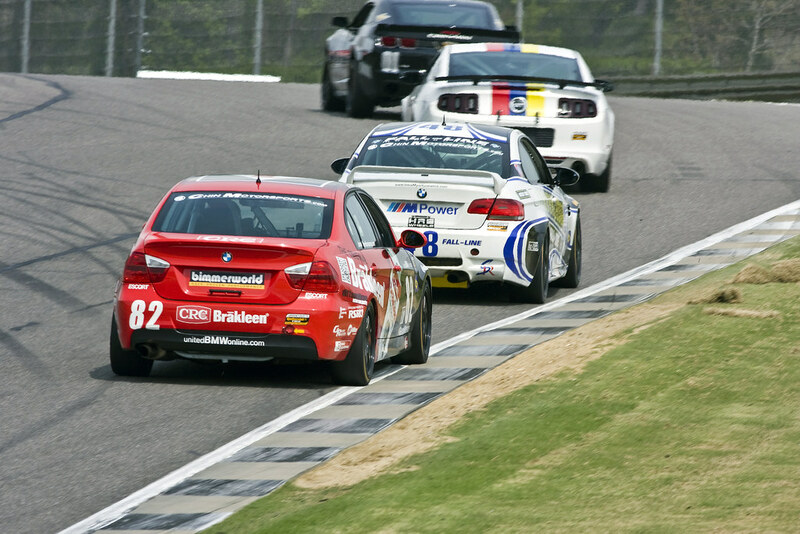 As they ran away to a 1-2-3-4 finish, the No. 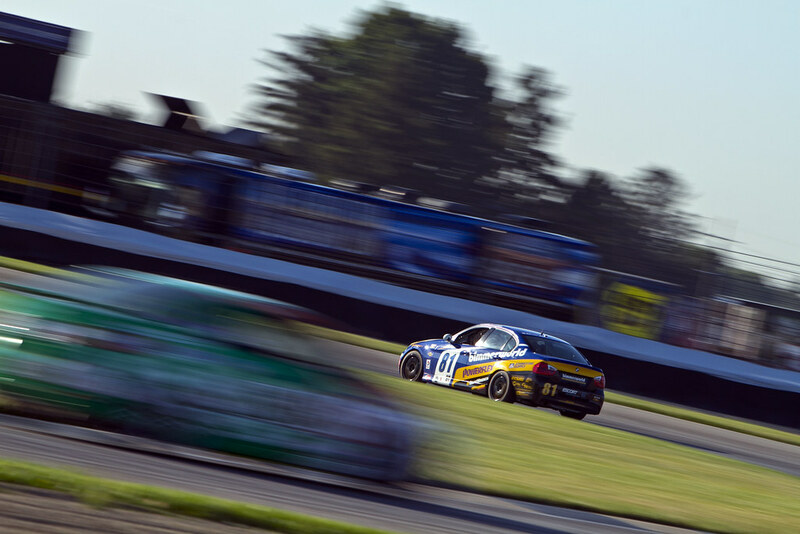 81 battled back to earn informal ‘Best In Class’ honors, taking fifth at the checkered flag. 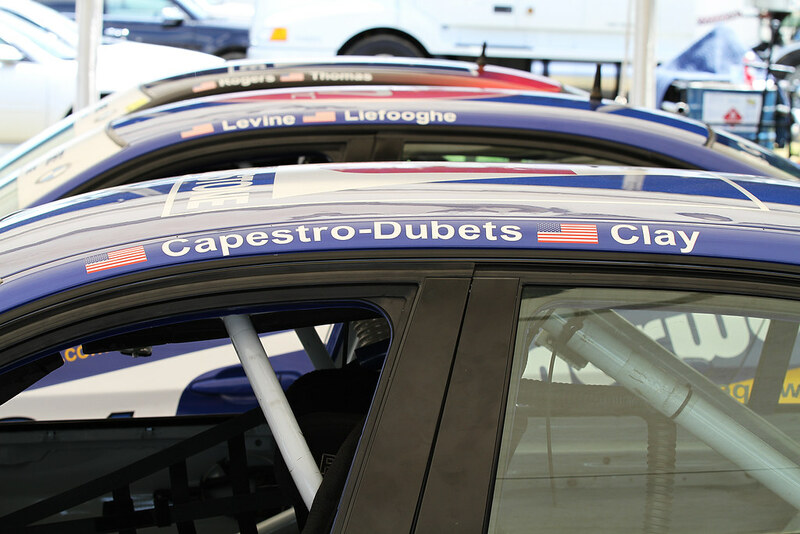 Not far behind Liefooghe and Cooke, the No. 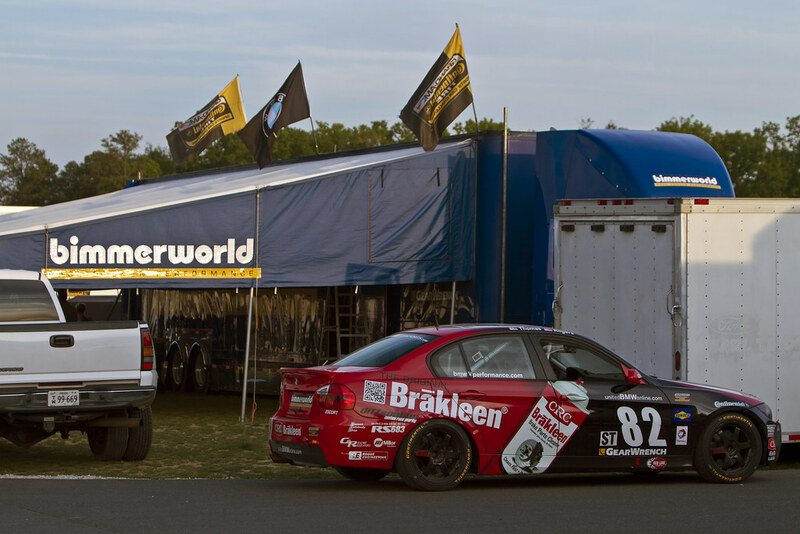 82 CRC BRAKLEEN® BMW 328i piloted by Seth Thomas and Dan Rogers came home in eighth, giving the BimmerWorld team a mostly positive outcome for the event. 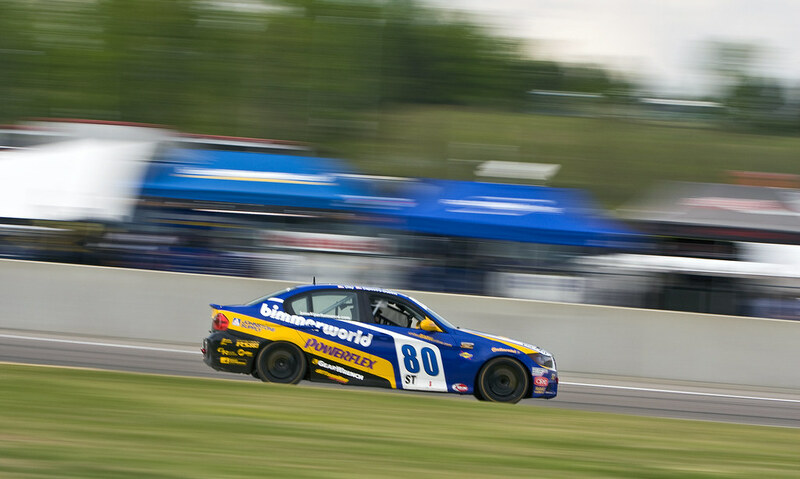 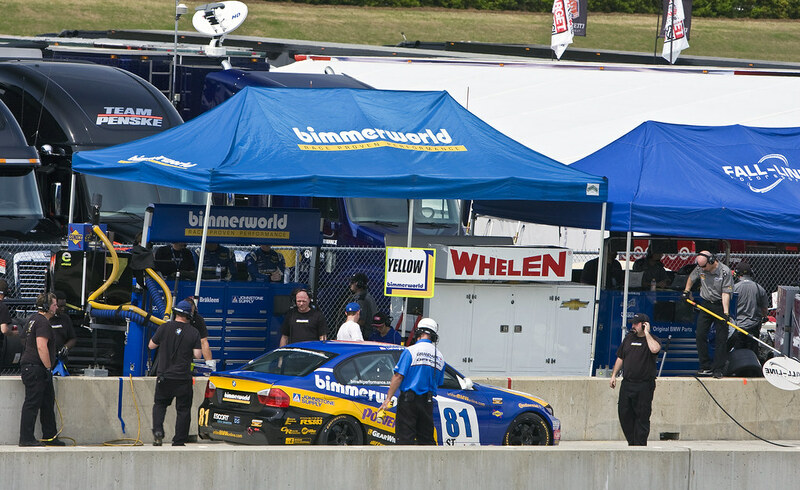 With a winning tradition in the Continental Tire Series, BimmerWorld isn’t wired to accept fifth- and eighth-place finishes without some degree of dissatisfaction, but with the Nos. 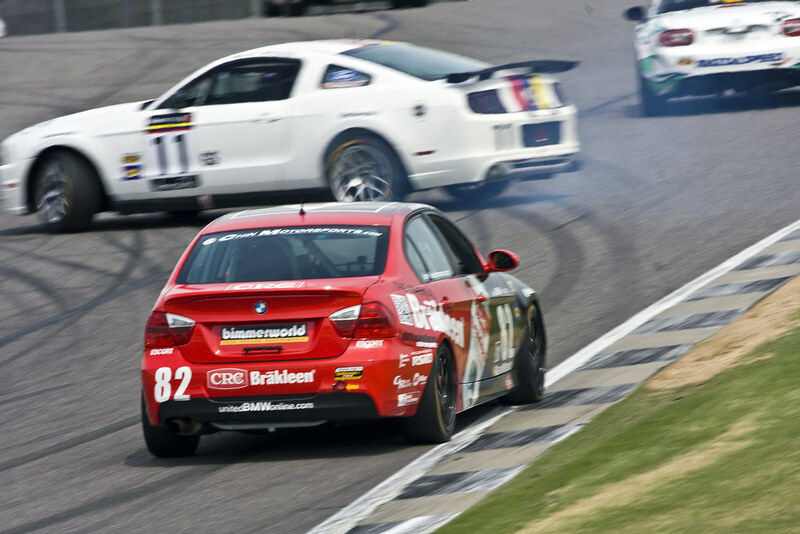 81 and 82 adding valuable points to their respective runs towards the 2013 Championship, Clay says he and his group of BMW experts knew a victory at Barber was going to be out of reach with the current ST rules package. 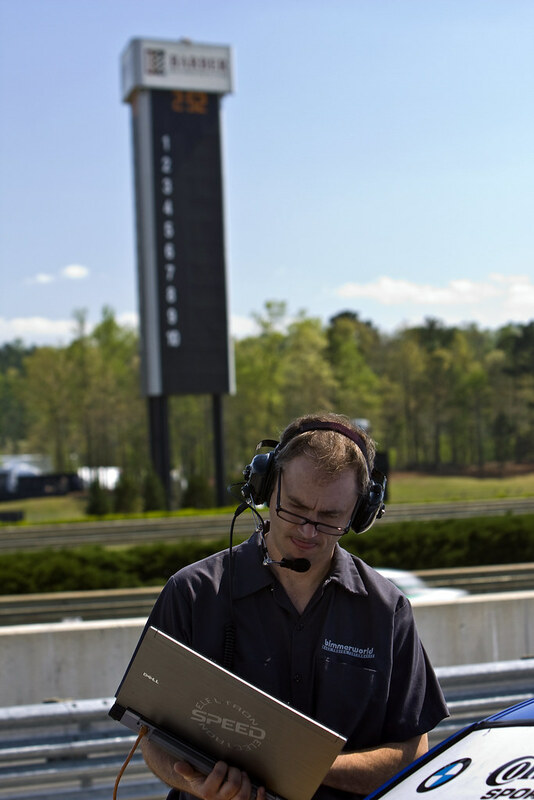 For a talented driver like Liefooghe, whatever weight advantages the opposition currently holds is beyond his control, and as usual, he drove as hard as possible at Barber to take fifth with Cooke. 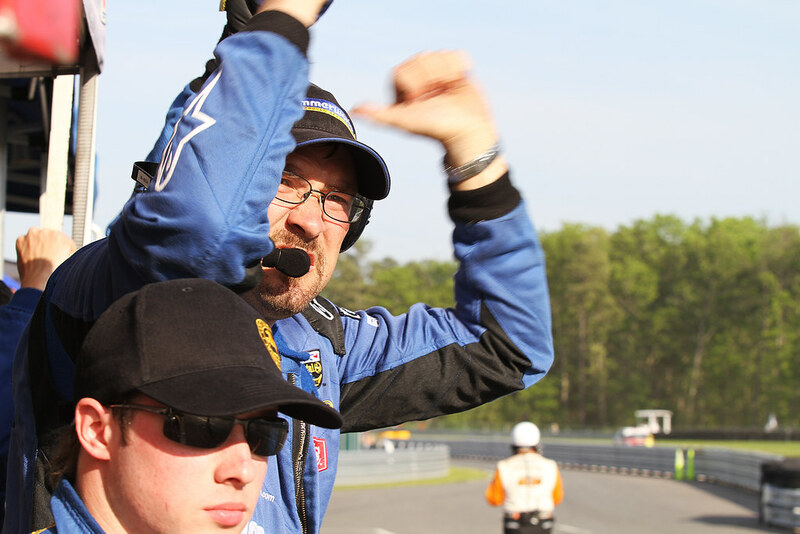 Now three races into their collaboration as teammates in the No. 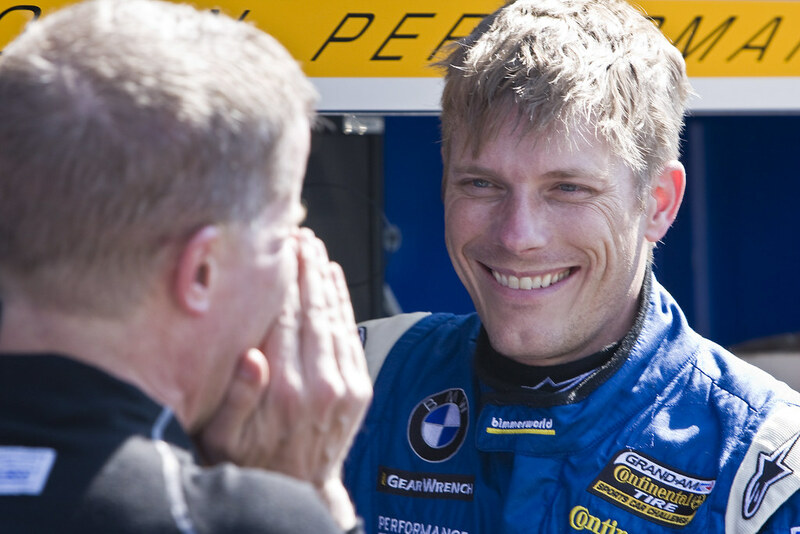 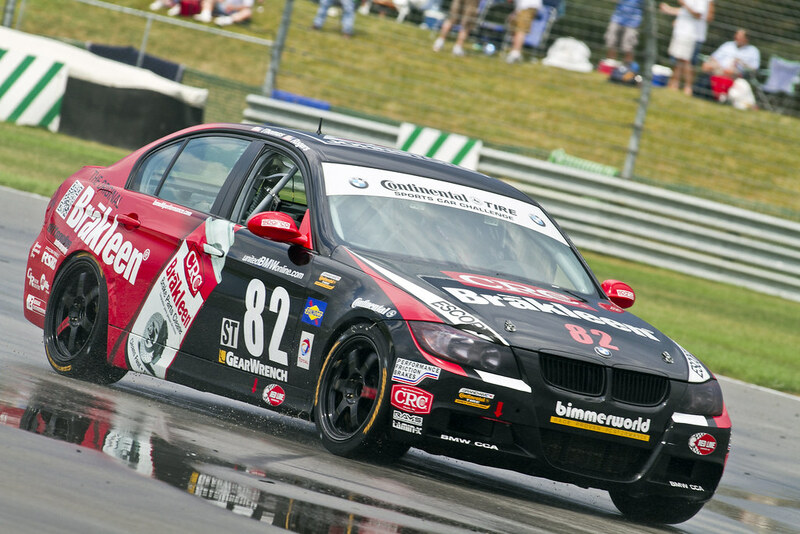 81, Cooke says he and Liefooghe have become a strong package for BimmerWorld. 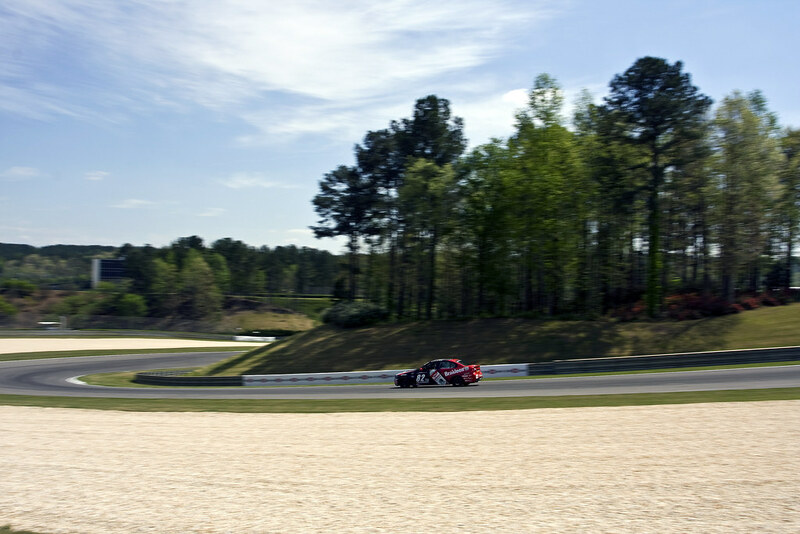 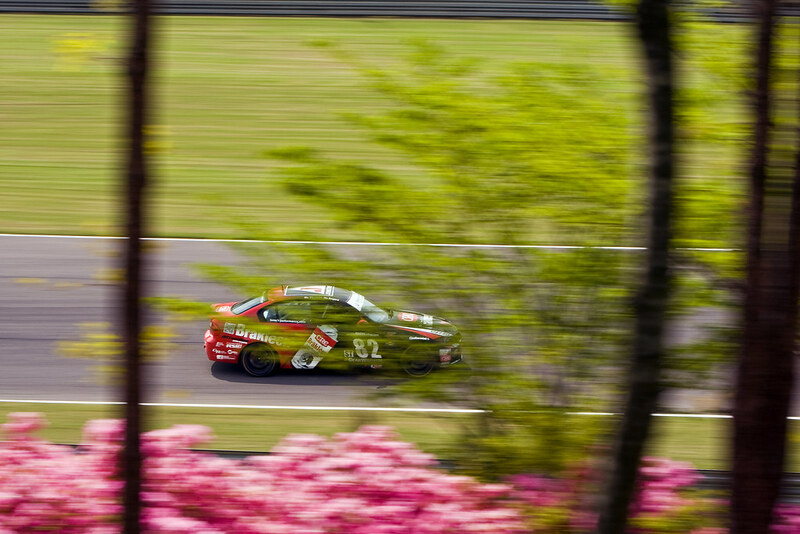 Thomas and Rogers now sit third in points as a result of finishing a hard-fought eighth at Barber. 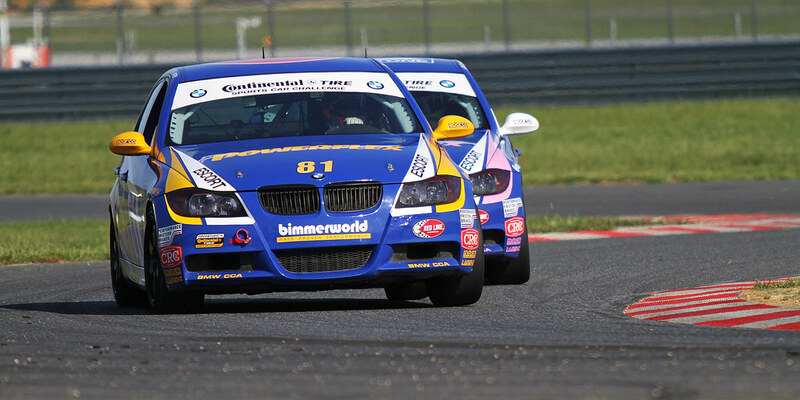 The third BimmerWorld entry for Greg Strelzoff and Connor Bloum in the No. 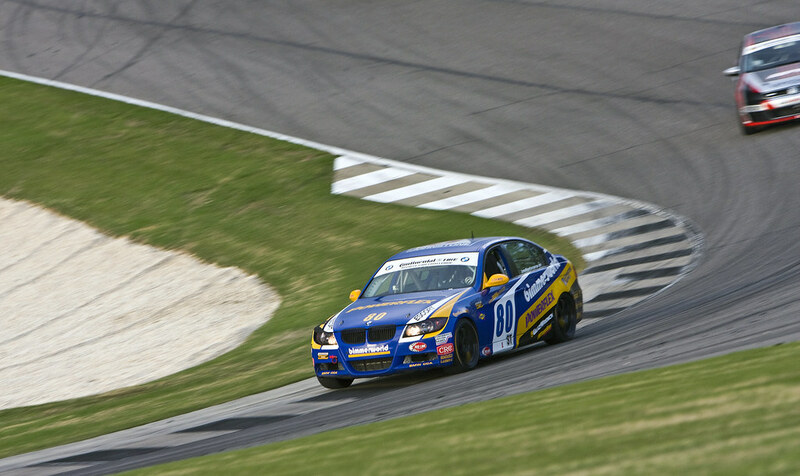 80BMW 328i was unable to join the Nos. 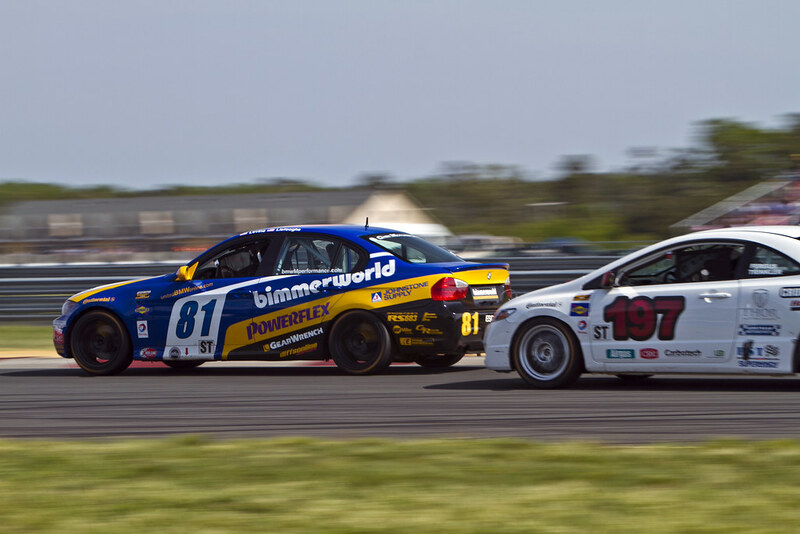 81 and 82 inside the top 10 after retiring before the halfway point in the race. 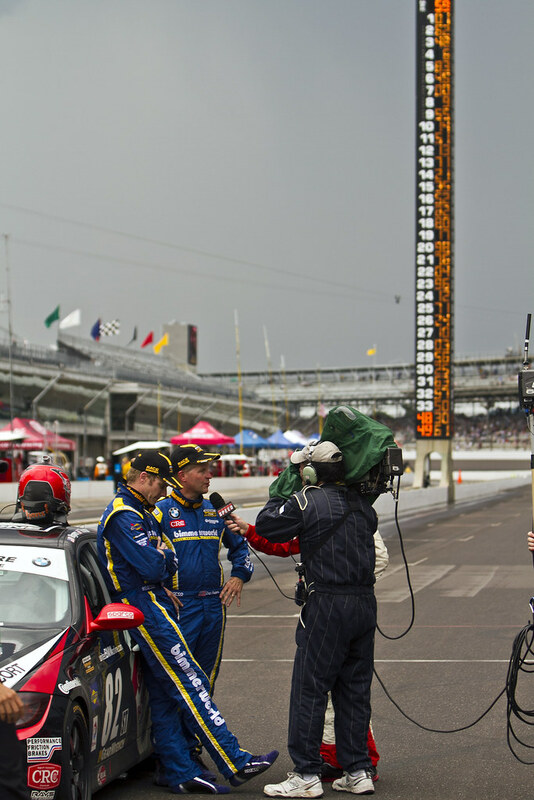 And be sure to catch the Barber race broadcast on April 13th at 2 p.m. 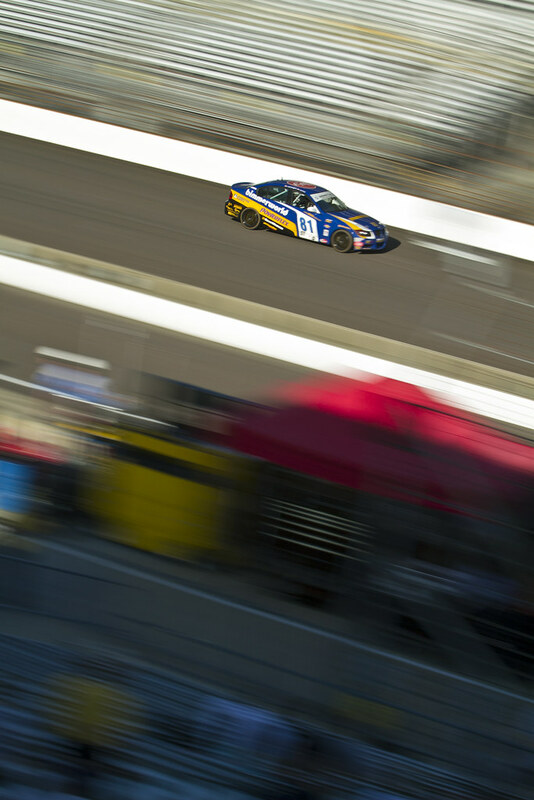 ET on SPEED. 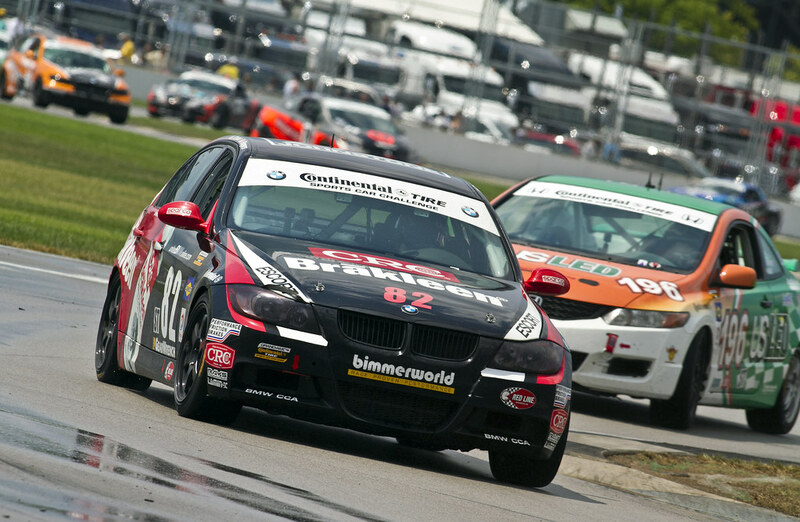 If racing on the high banks of the famous Daytona International Speedway wasn’t enough of a privilege for GRAND-AM teams and drivers, another milestone will be achieved this Friday when BimmerWorld and the rest of the Continental Tire Series entrants participate in their first race at Indianapolis Motor Speedway. 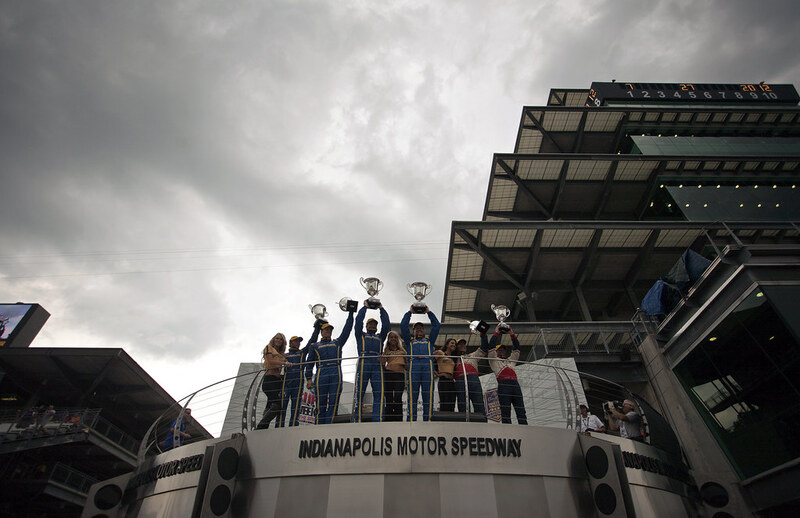 Established in 1909, IMS recently celebrated the centennial event for its hallmark event, the Indy 500, which began in 1911. 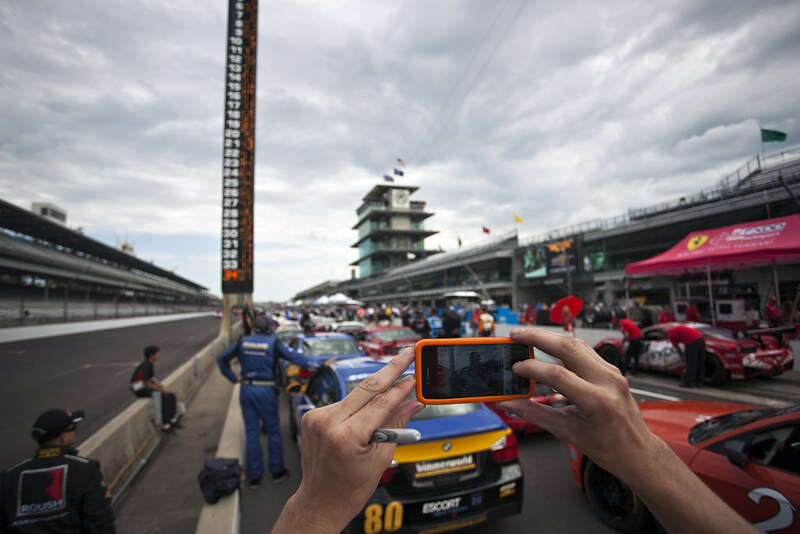 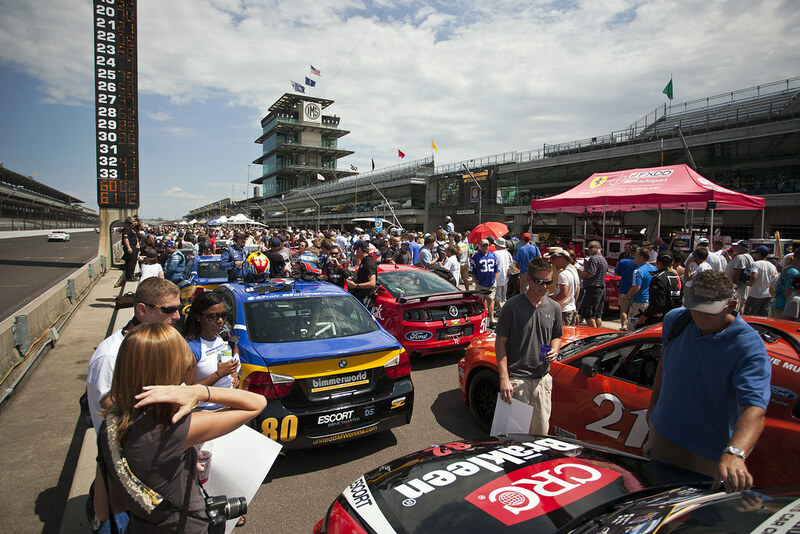 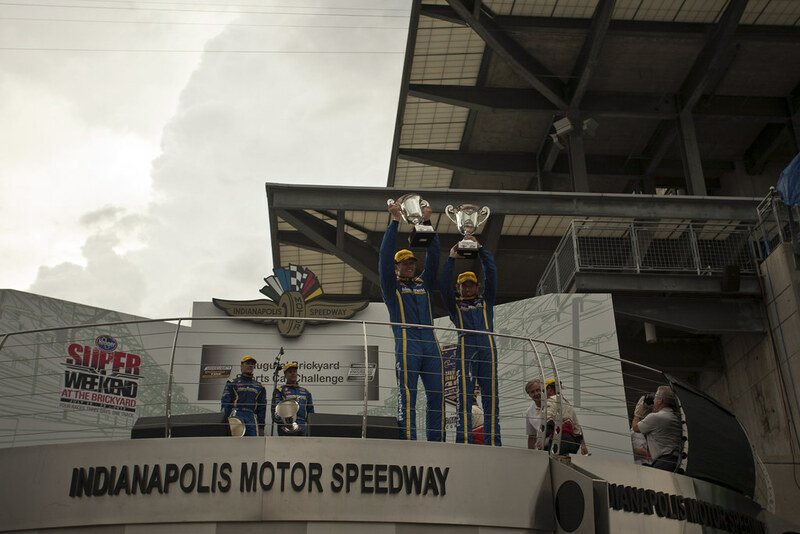 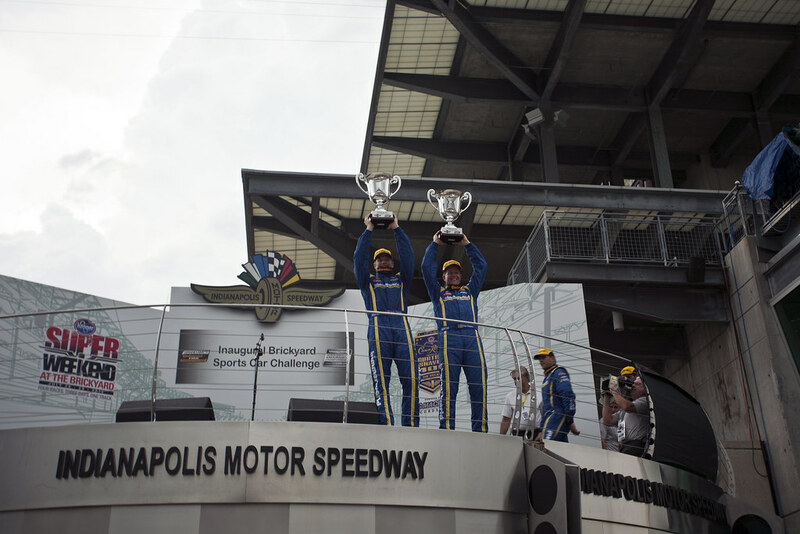 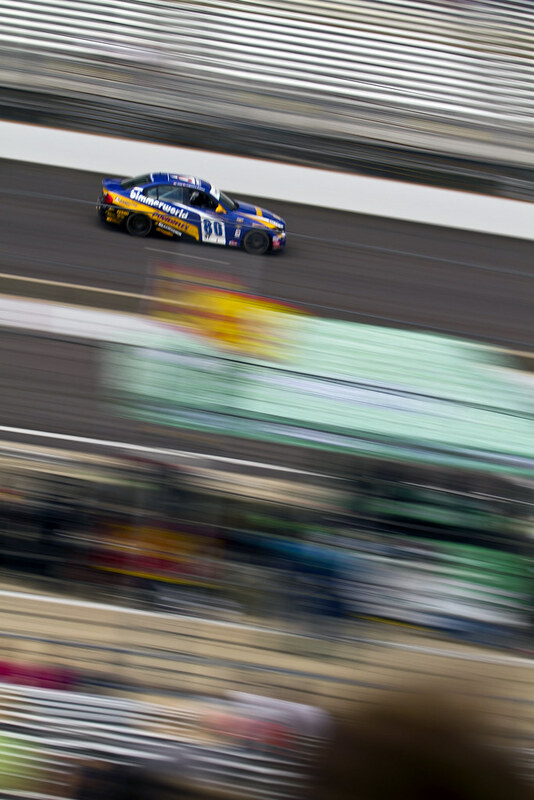 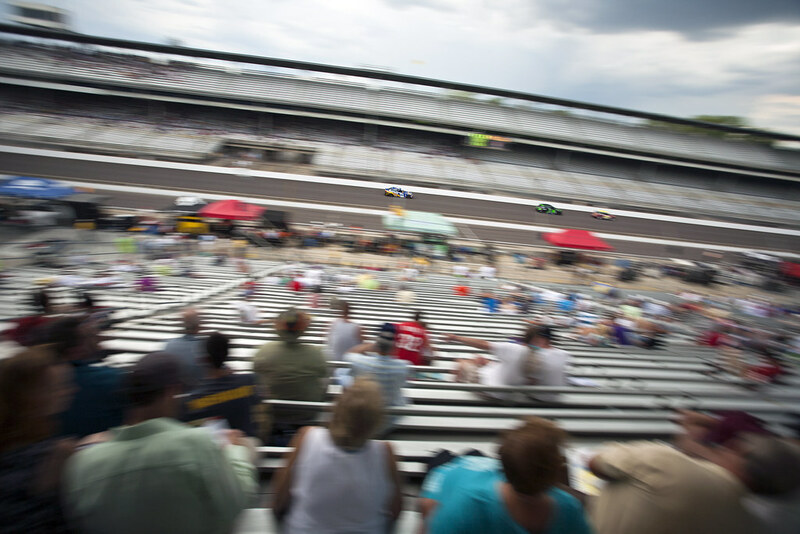 With the addition of the Brickyard 400 in 1994, the inaugural U.S. Grand Prix in 2000, and MotoGP in 2008, sports car racing was the final piece of the puzzle for the Speedway to incorporate. 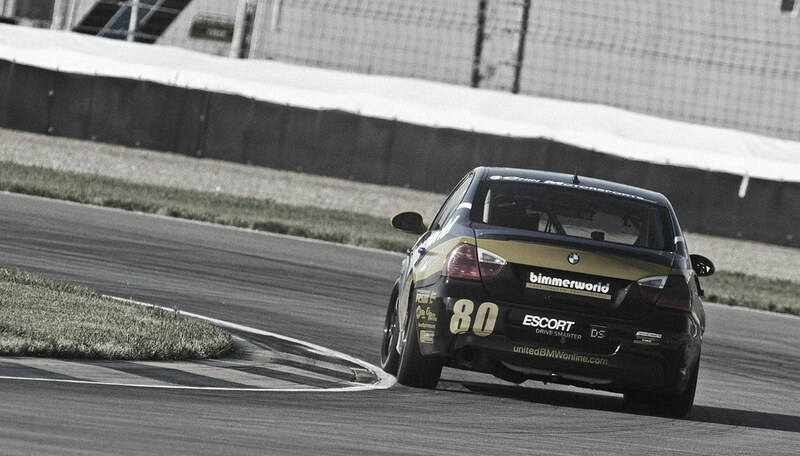 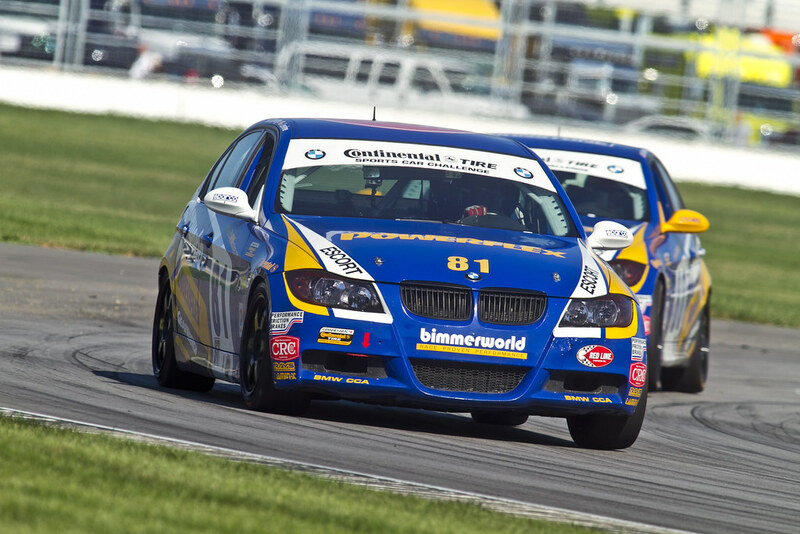 And now, as part of its “Super Weekend at the Brickyard,” the sound emanating from BimmerWorld’s trio of wailing BMW inline-6s will be added to Indy’s lore. 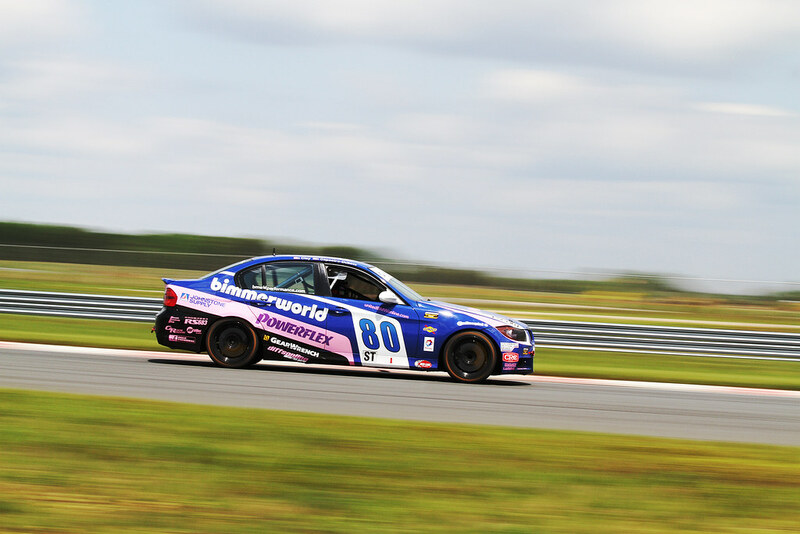 “We’re in heat of a championship battle and still have a lot of work to do to this season, but the track is an impressive place and when you walk around the infield as a participant, you get it,” said BimmerWorld owner/driver James Clay about the historic track. 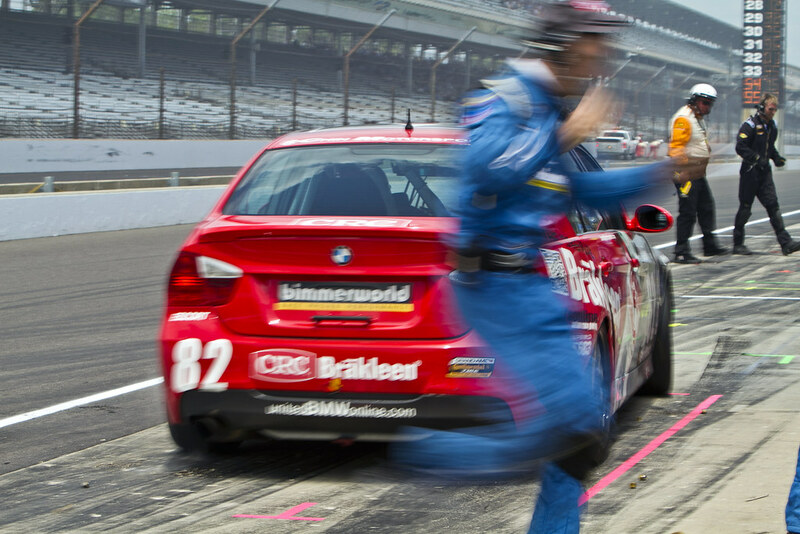 Despite everything BimmerWorld learned about the 13-turn, 2.5-mile road course during the aforementioned Indy test, plenty of challenges will remain as the team adapts to practicing, qualifying and racing on the rarely-used track layout within a matter of hours. 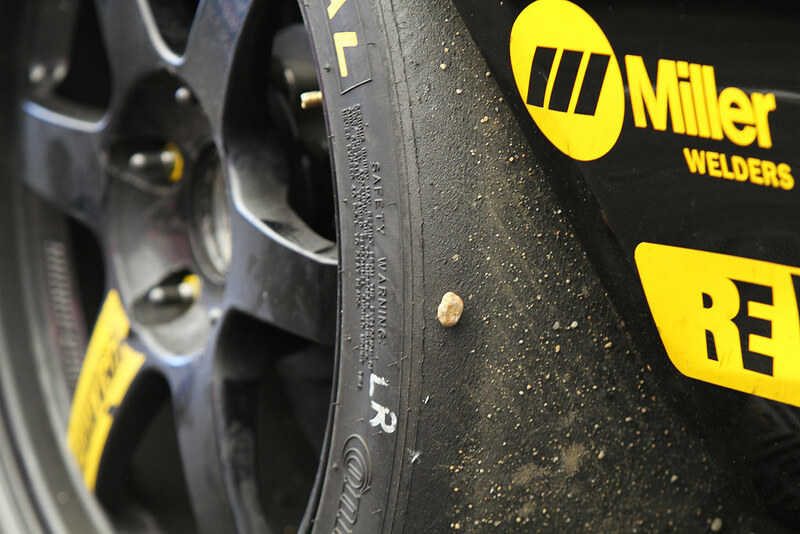 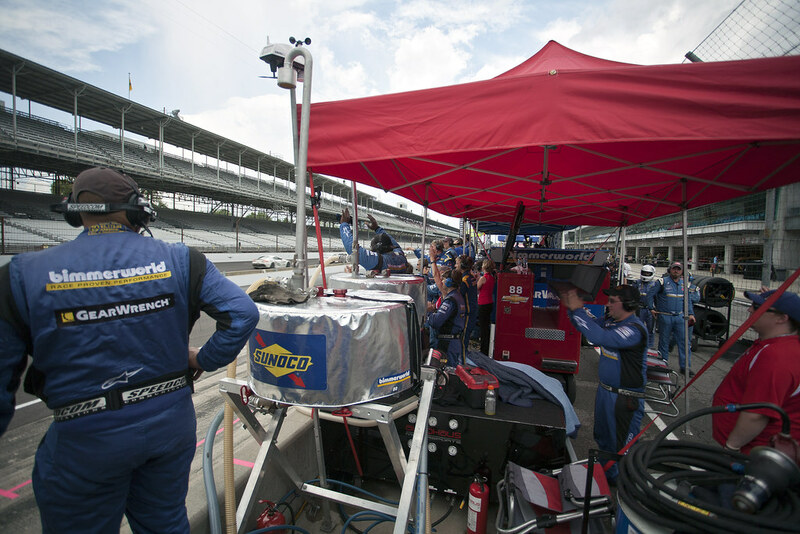 “During the course of the two-day test there, the infield, which is a much smoother aggregate than the diamond-cut banking, rubbered up nicely,” said Clay, who shares the No. 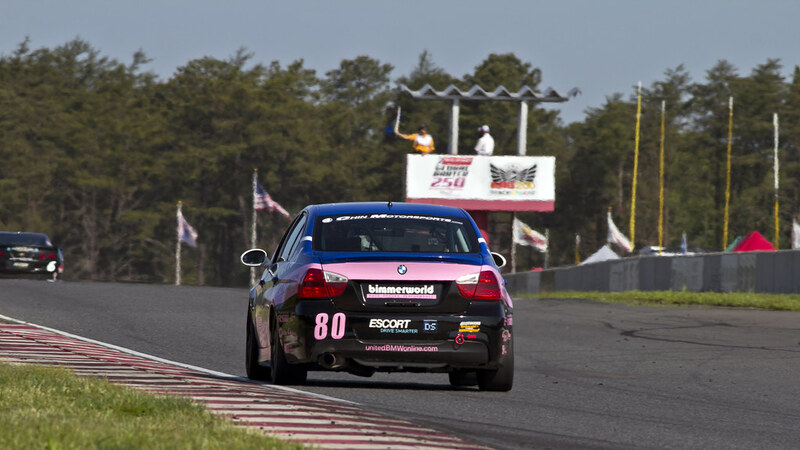 80 BimmerWorld BMW with rising star John Capestro-Dubets. 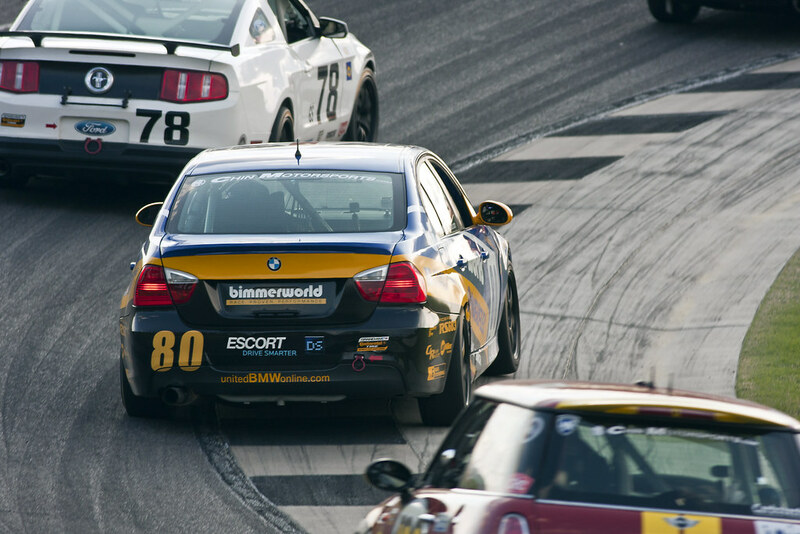 Compared to some of GRAND-AM’s more familiar circuit, the IMS road course features a much wider track and longer, more sweeping turns, which should hopefully keep contact to a minimum and allow for plenty of passes to be made by the BimmerWorld team. 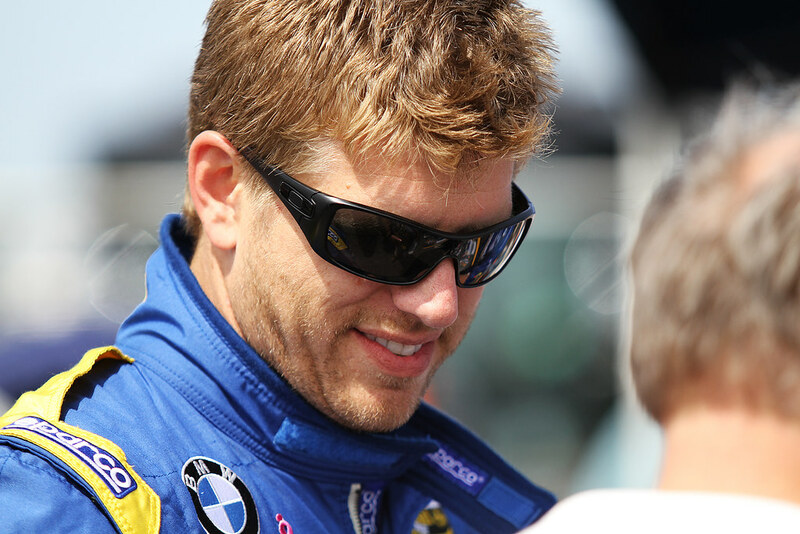 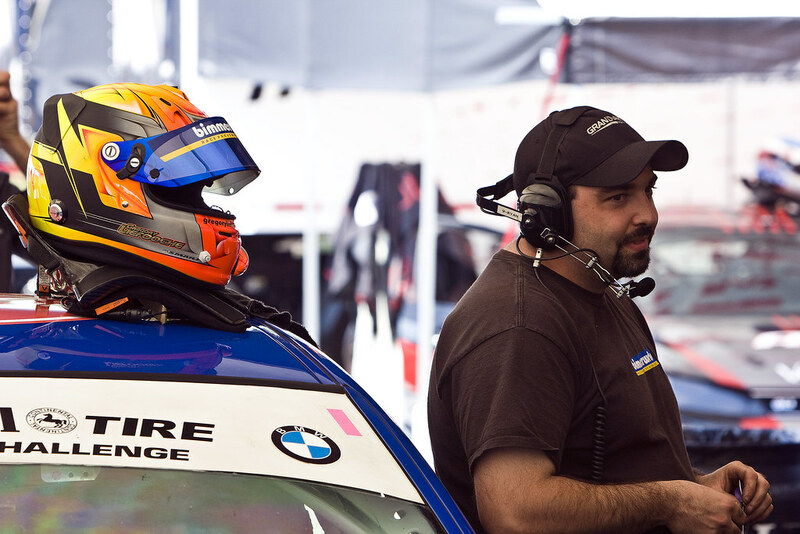 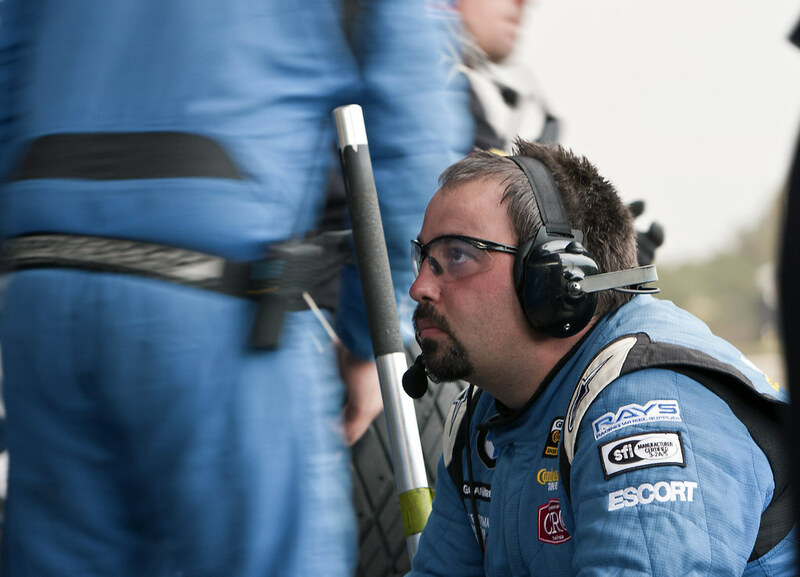 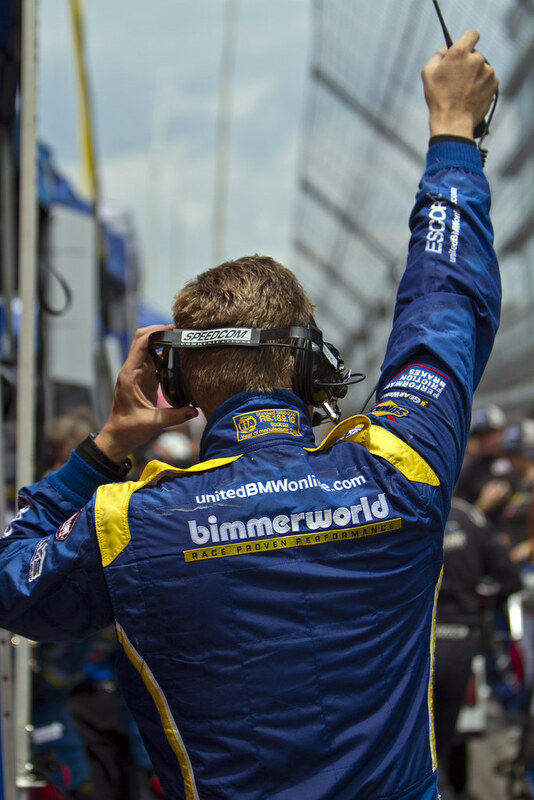 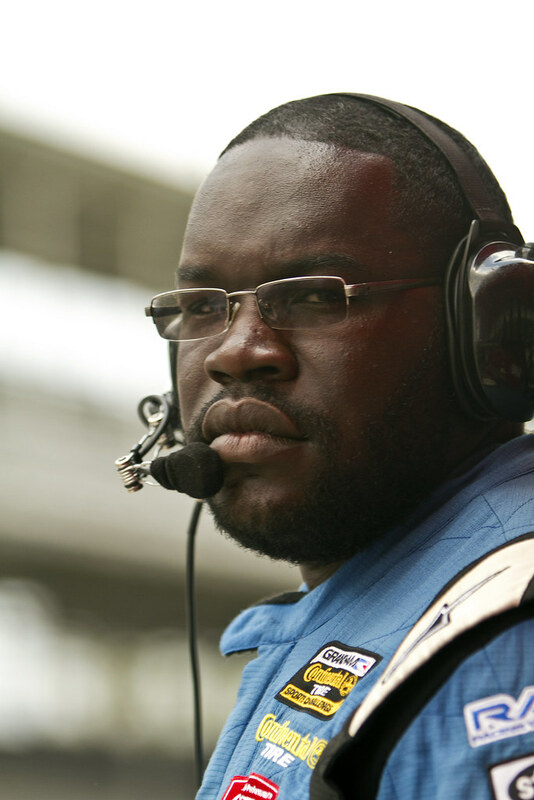 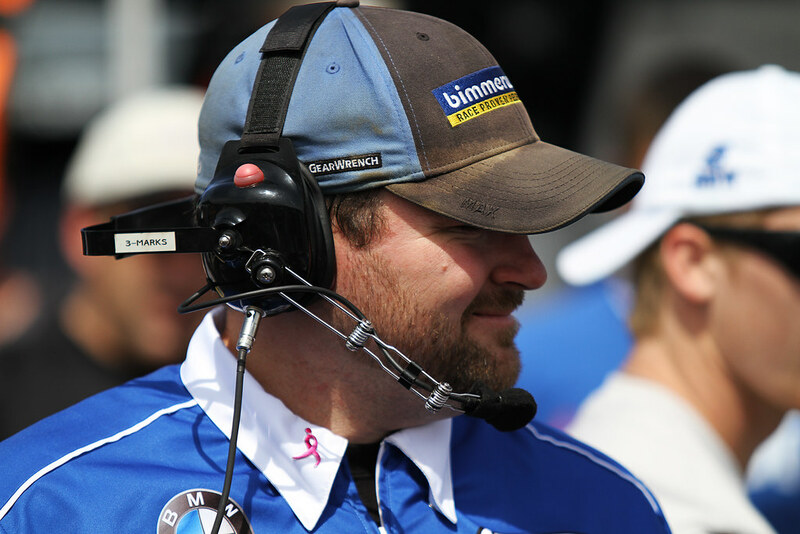 “I feel once we get back to Indy and quickly get in the groove of the race, we will be fighting for a top spot,” said BimmerWorld veteran Seth Thomas, who will pilot the No. 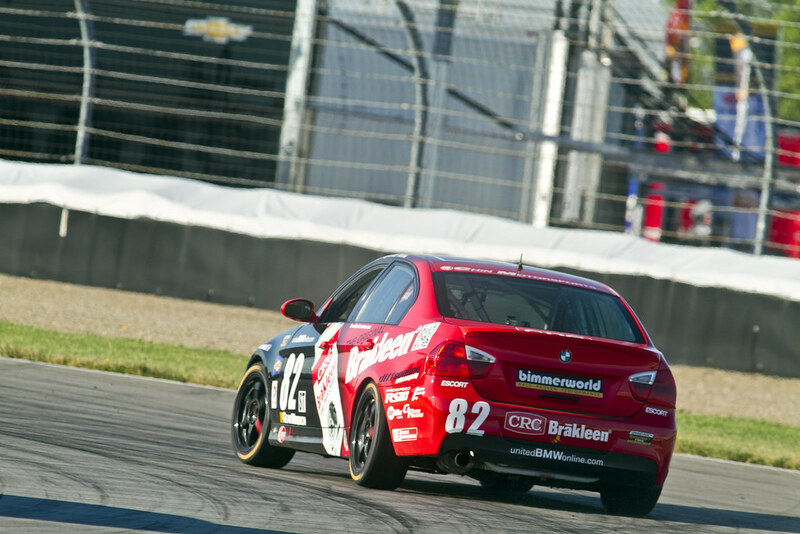 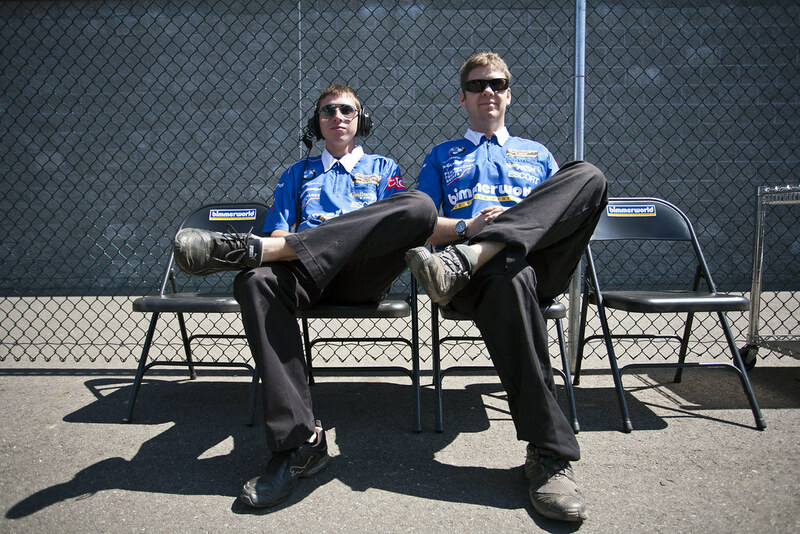 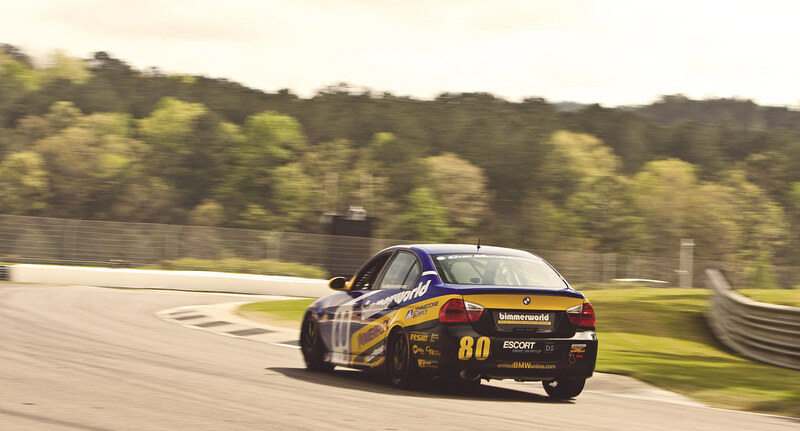 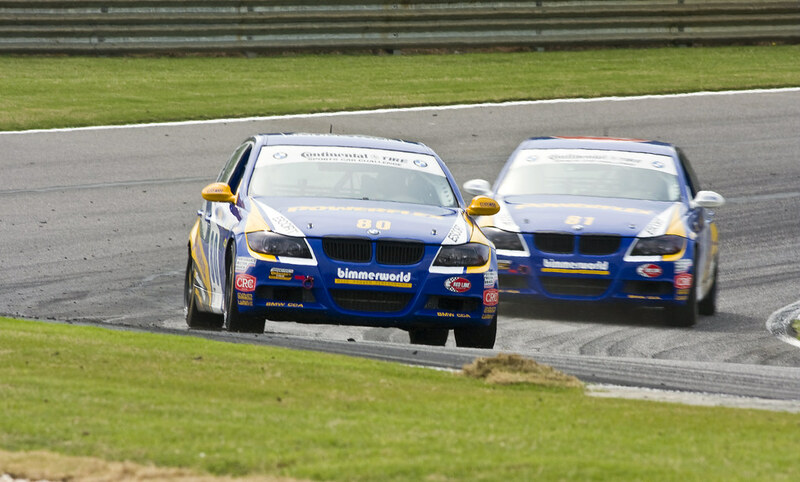 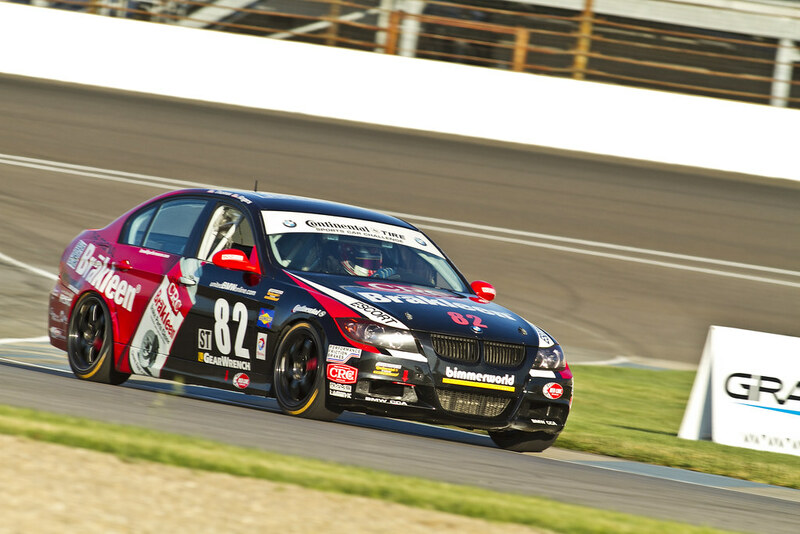 82 CRC BRAKLEEN® BMW 328i with teammate Dan Rogers. 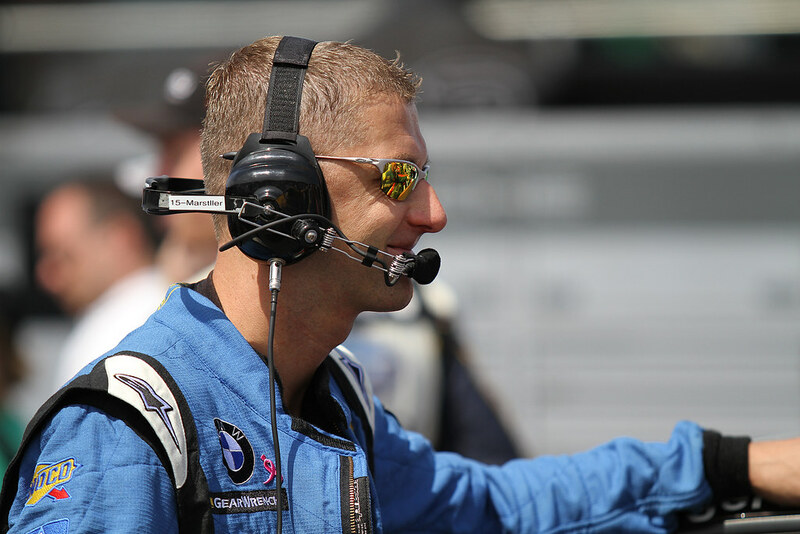 For Gregory Liefooghe, getting ready to lead the charge on the No. 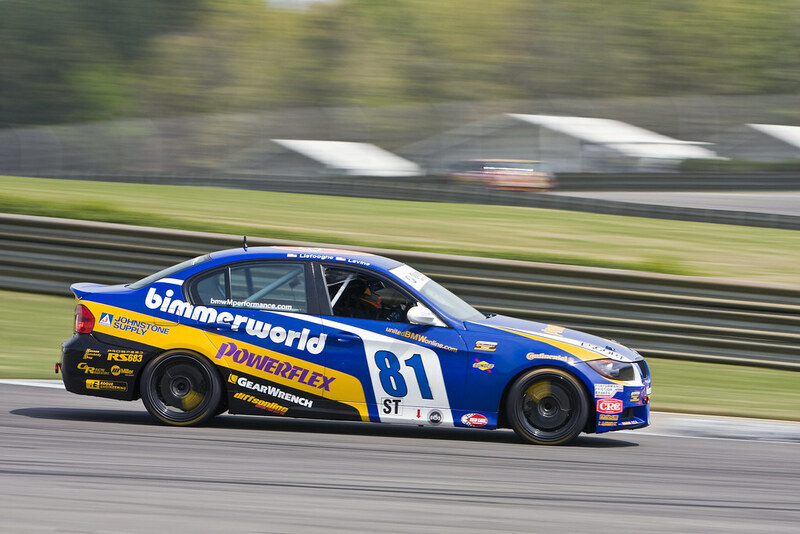 81 BimmerWorld BMW with co-driver David Levine has involved plenty of physical training and exceptional amounts of pre-race preparation. 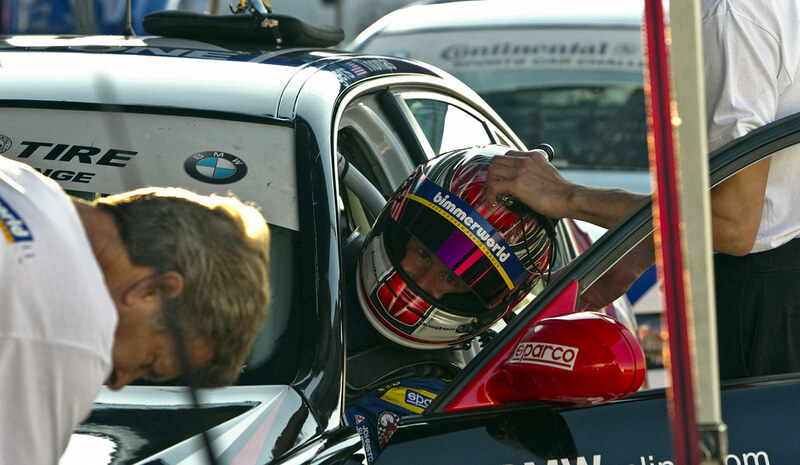 “The main components have been getting some simulator time to get the rhythm of the track to be able to be at 100 percent right from lap 1, and to get back to working on fitness after a brutal schedule that has seen us on the road for the last five weeks,” he said. 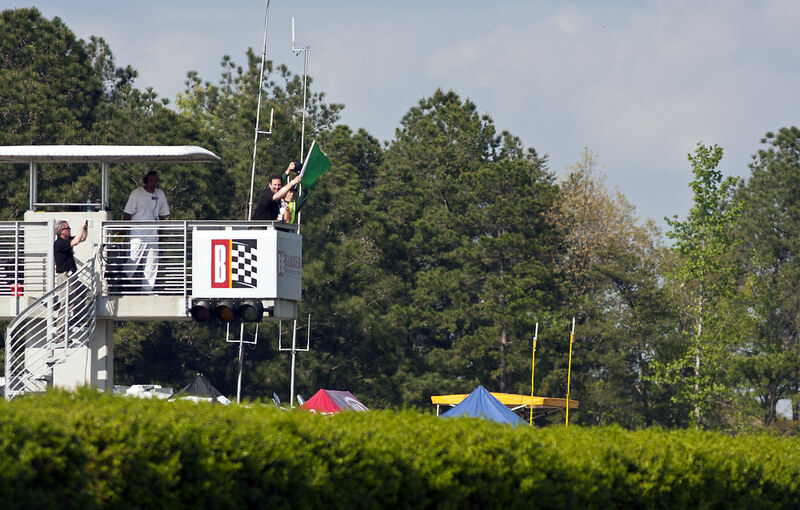 Liefooghe, who won Round 2 at Barber Motorsports Park this season with Levine, says finding success at Indy will be an even greater challenge due to the compressed schedule. 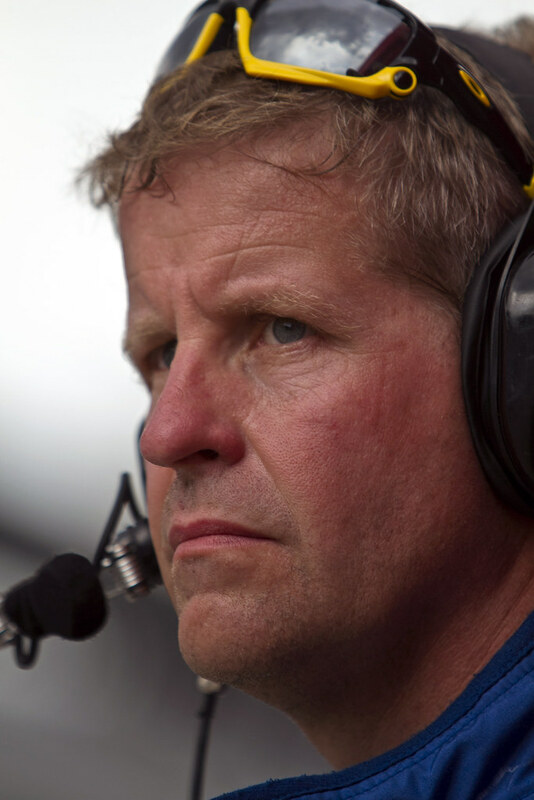 “The big challenges for this particular event is that there is very little time in between sessions and that the track will change massively between the first practice session and the race,” he explained. 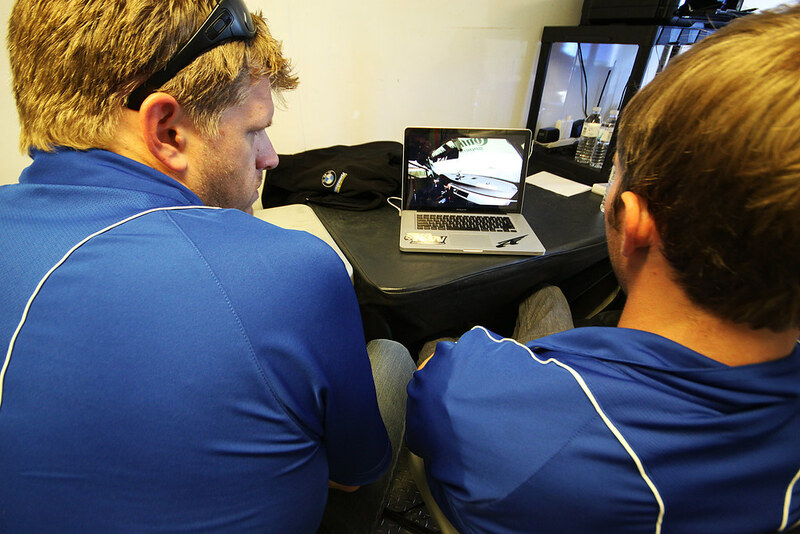 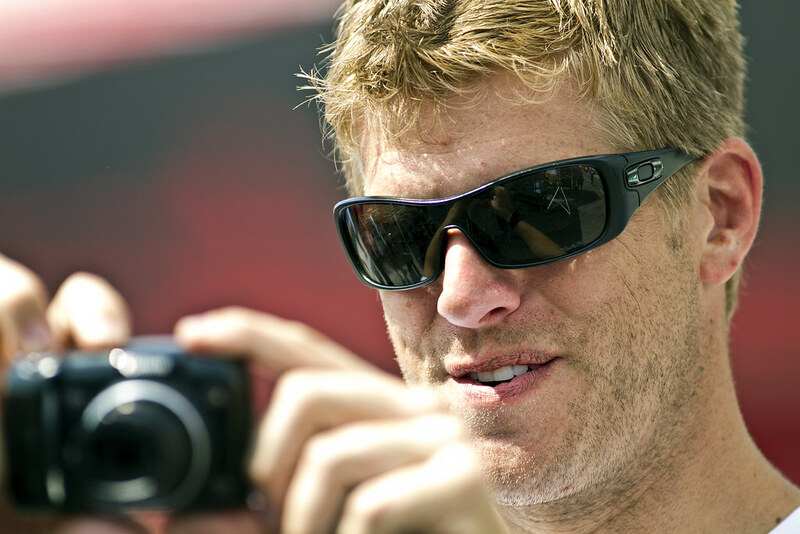 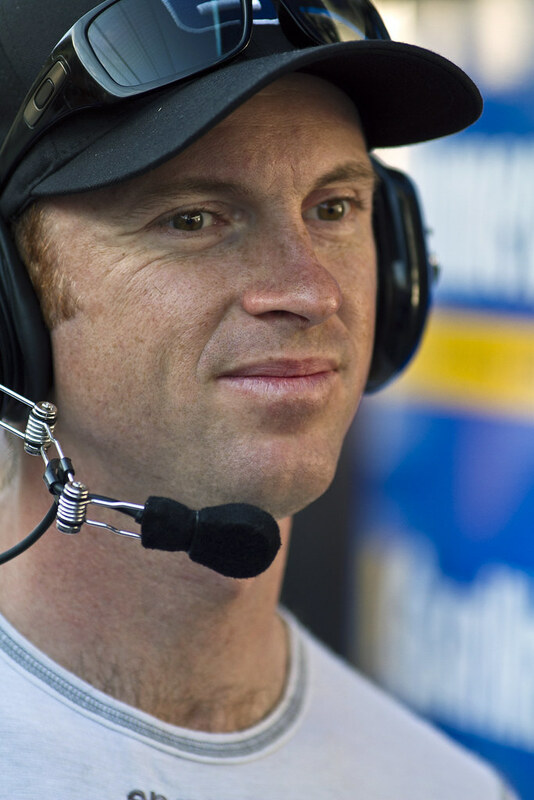 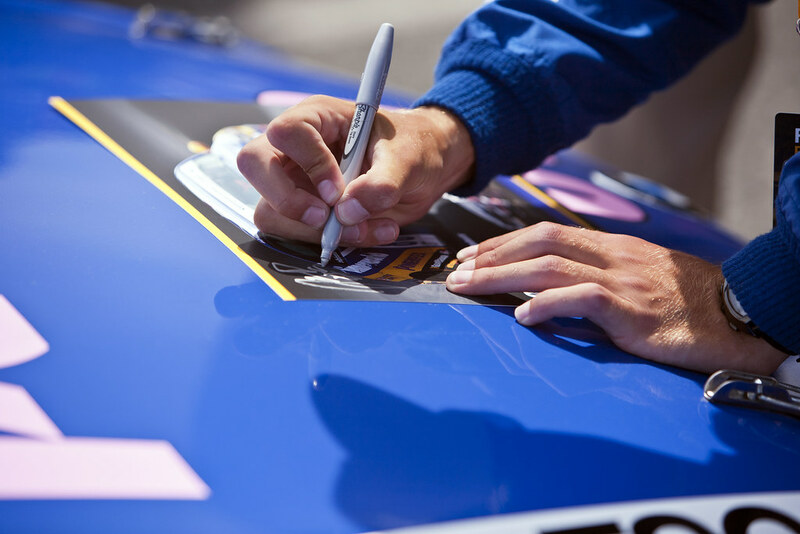 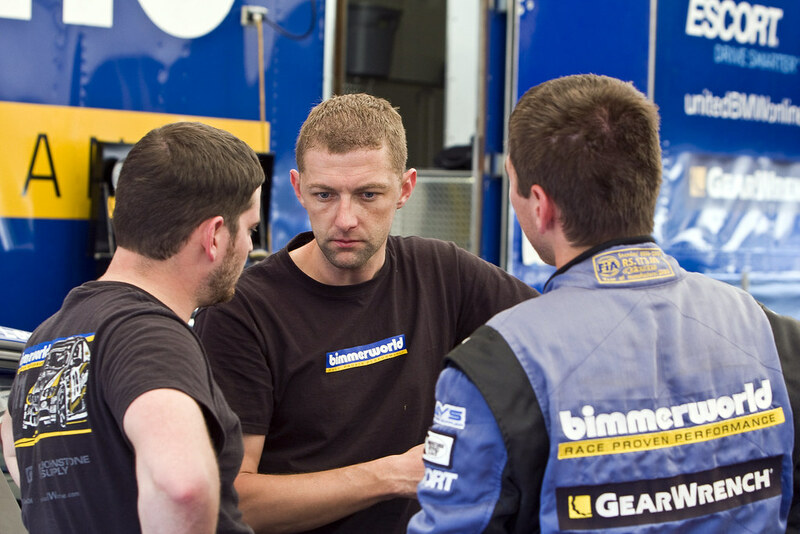 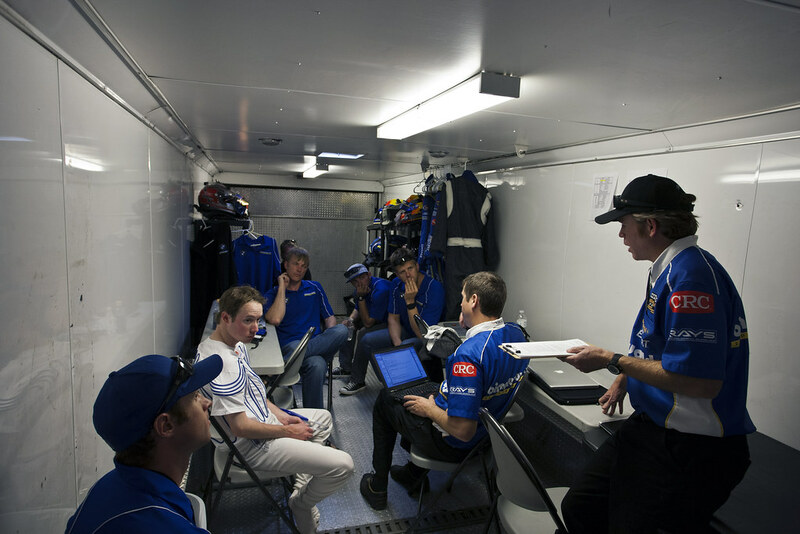 “It will put a lot of pressure on the engineers to make the right decisions on set up for the race. 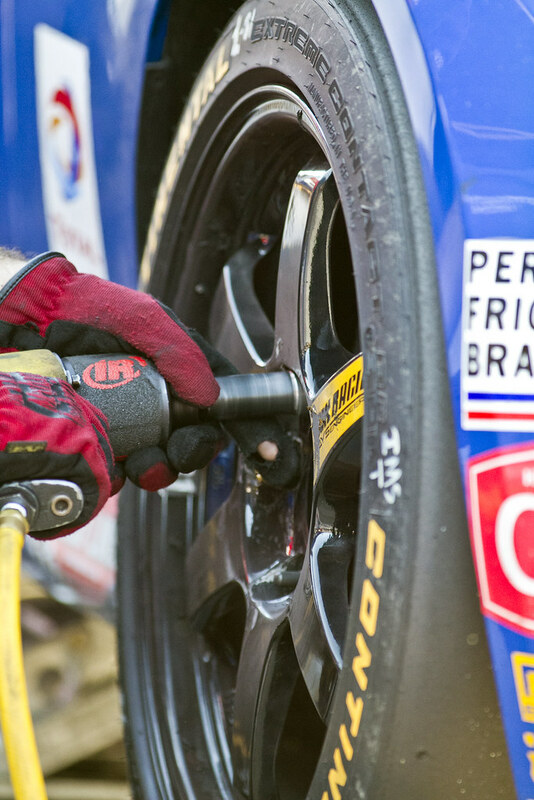 Fortunately we learned a lot during the test days and we have a good handle on most of the moving parts. 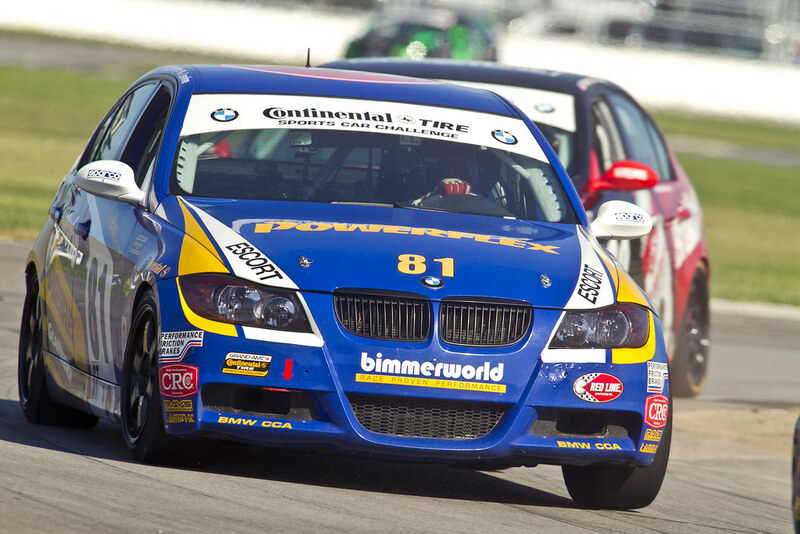 Follow the BimmerWorld team this weekend atwww.BimmerWorldRacing.com, and tune into the broadcast when it airs August 5th at 12 p.m. 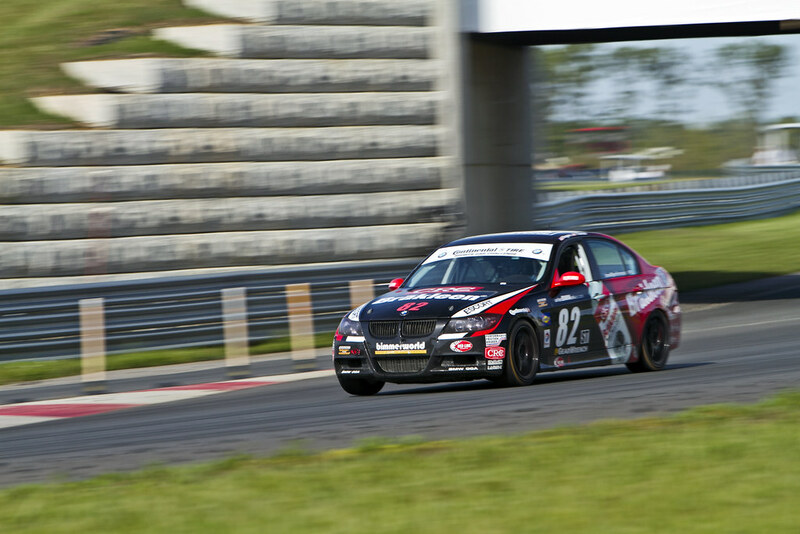 ET on SPEED. 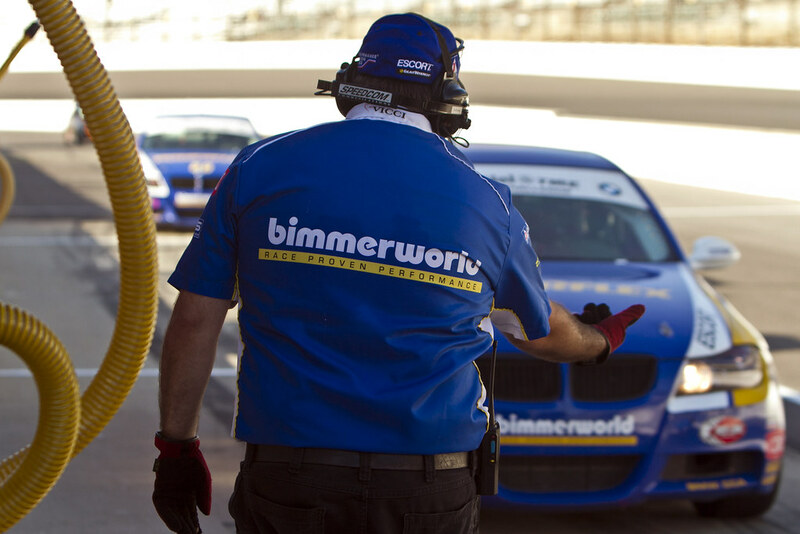 Drivers tend to get all of the credit when they win a race, but as the BMW experts at BimmerWorld reminded its rivals on Saturday, it also takes teamwork, strategy, and an incredible amount of talent amongst the pit crew to earn a trip to victory lane. 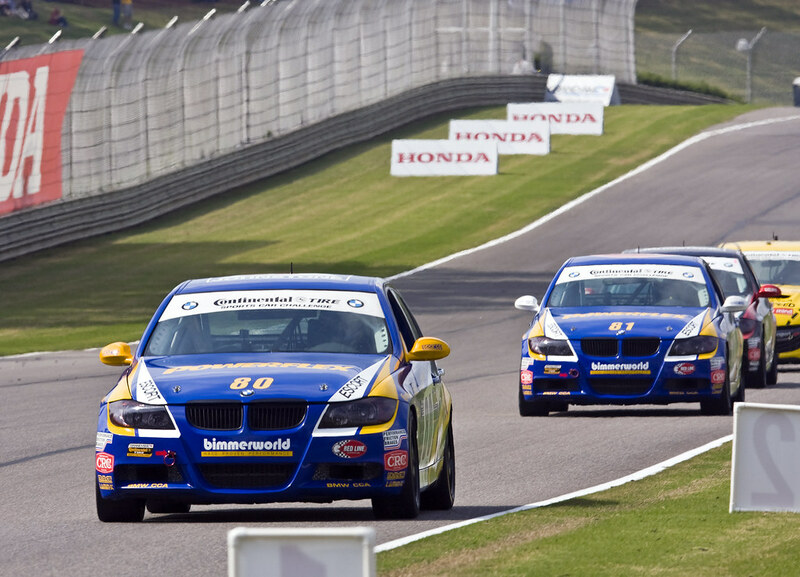 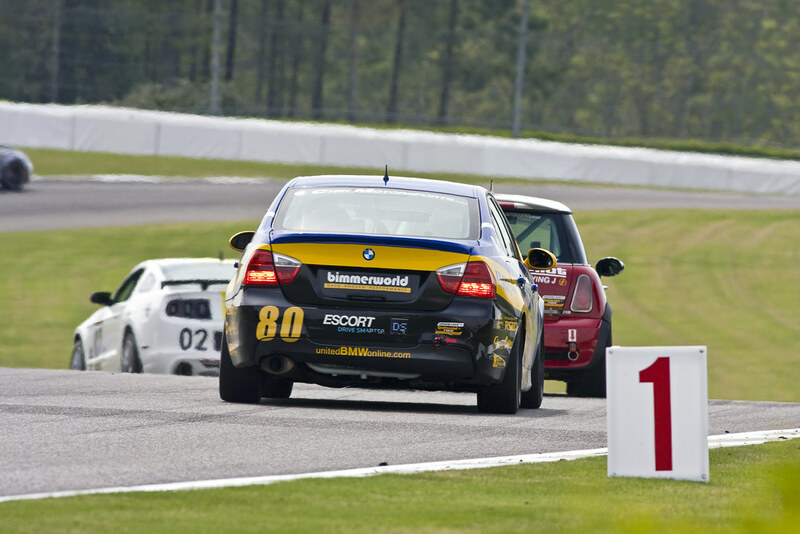 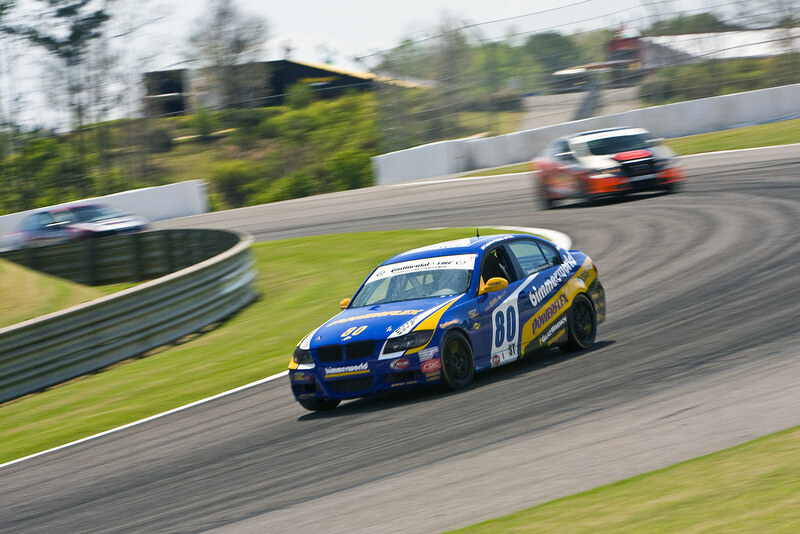 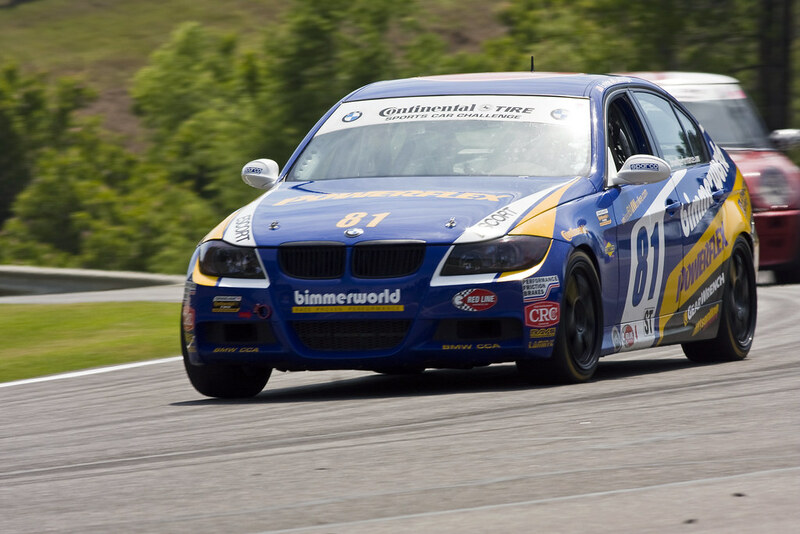 BimmerWorld’s three-car fleet of BMW 328is not only survived the crash-filled Continental Tire Series race at the sprawling Barber Motorsports Park facility in Leeds, Alabama, but left with the Street Tuner class win, a pair of top 5 finishes, and the lead in the drivers’ and the teams’ points standings. 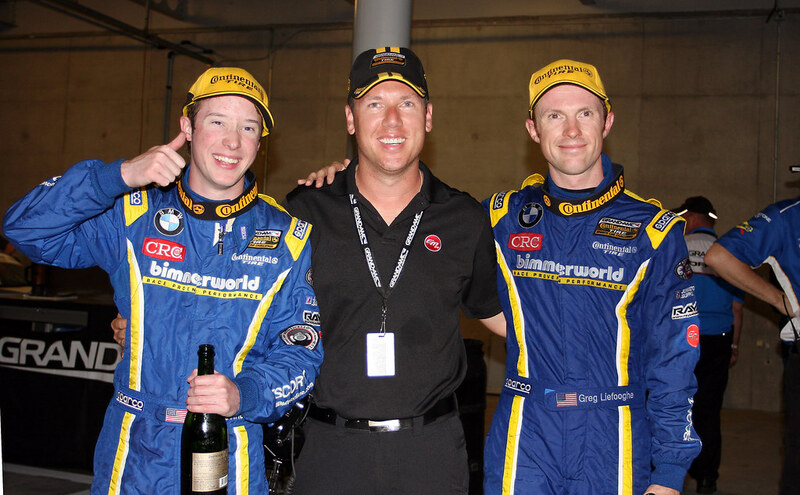 At the end of the 2.5-hour event, Gregory Liefooghe and David Levine, drivers of the No. 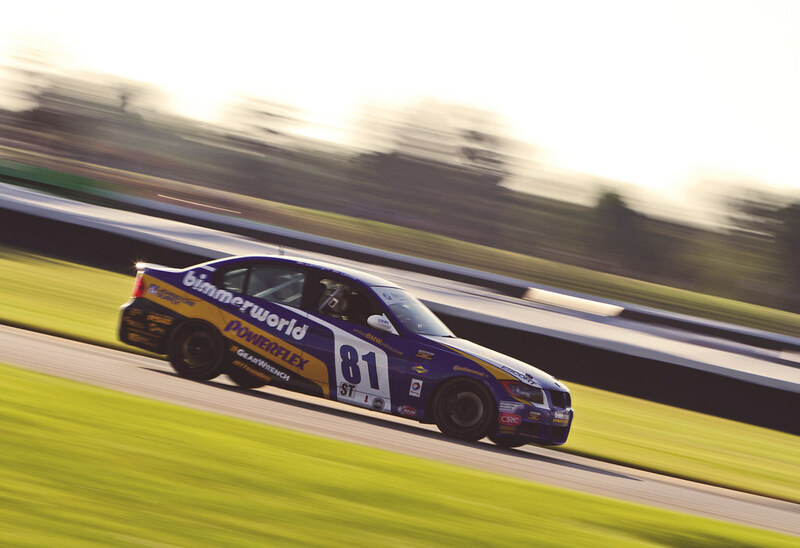 81 BimmerWorld BMW 328i, were celebrating their first series win, the No. 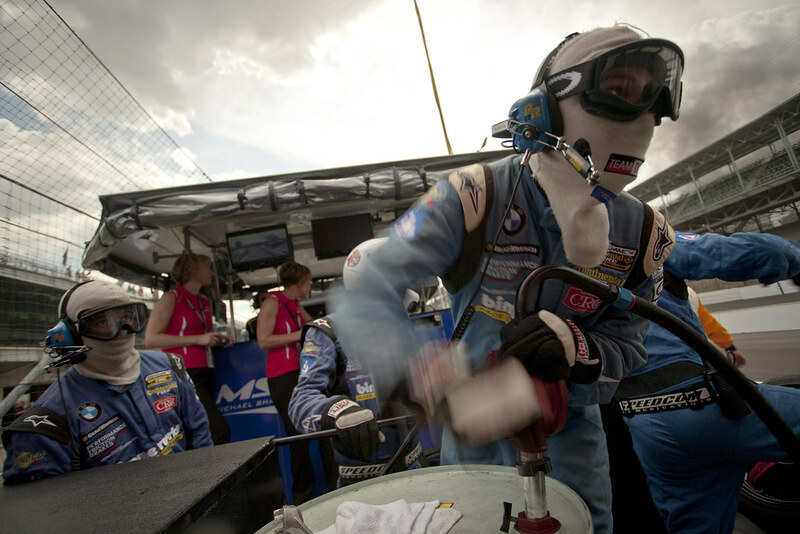 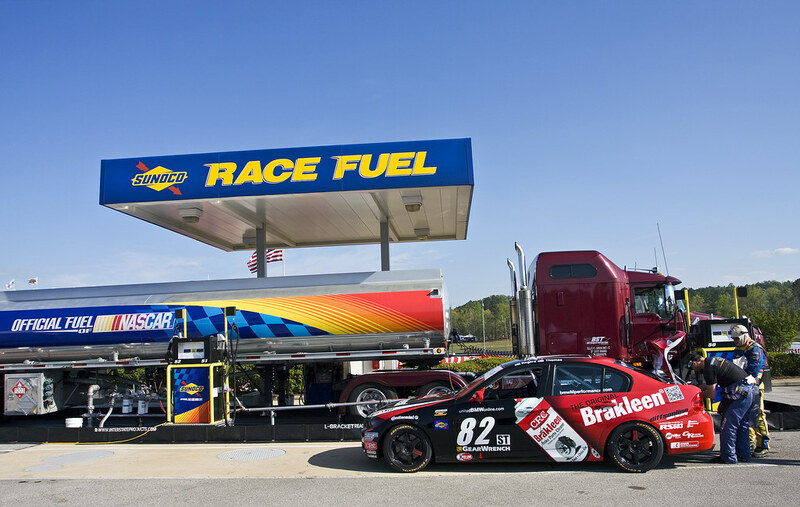 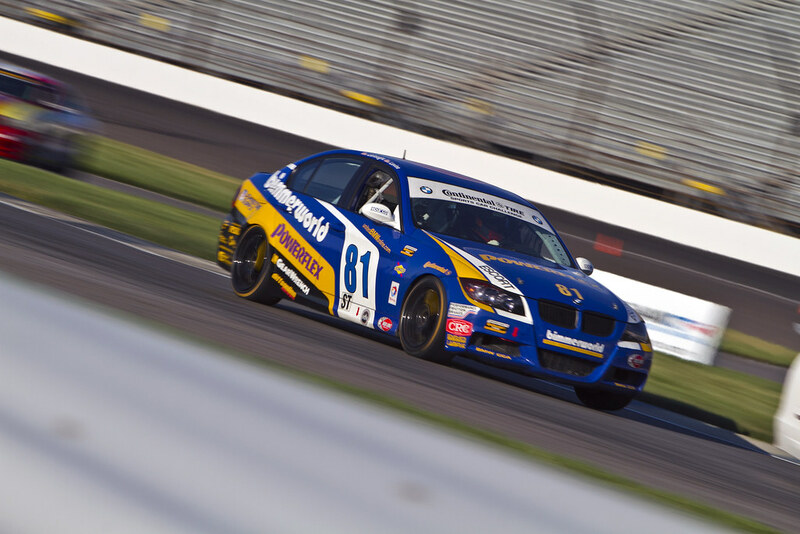 82 CRC BRAKLEEN® BMW 328i driven by Seth Thomas and Dan Rogers secured a solid fifth-place finish while playing the role of tail gunners and the team’s pit crew was credited by team owner/driver James Clay for their peerless efforts. 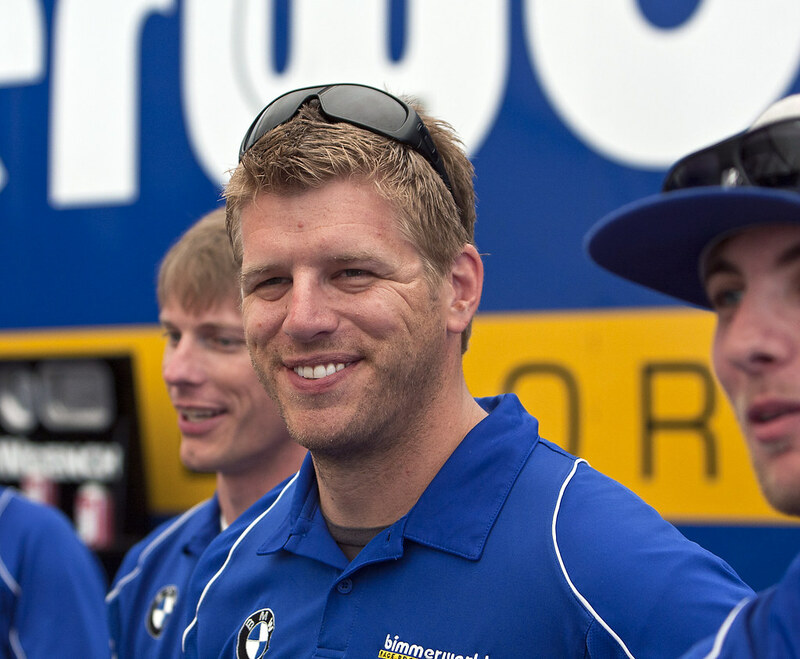 Clay also recognized the unique position his team was placed in when a few competitors ahead of the No. 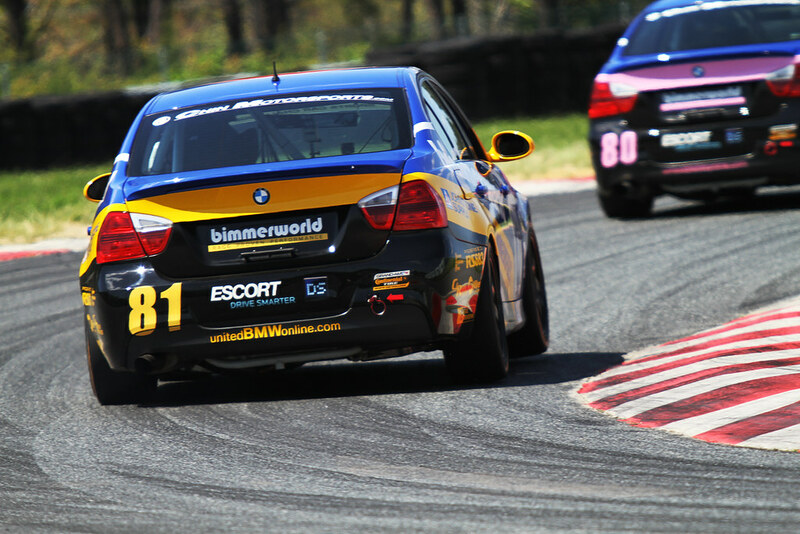 81 fell afoul of the rulebook during a caution period, but knowing those rules paid off for BimmerWorld at Barber. 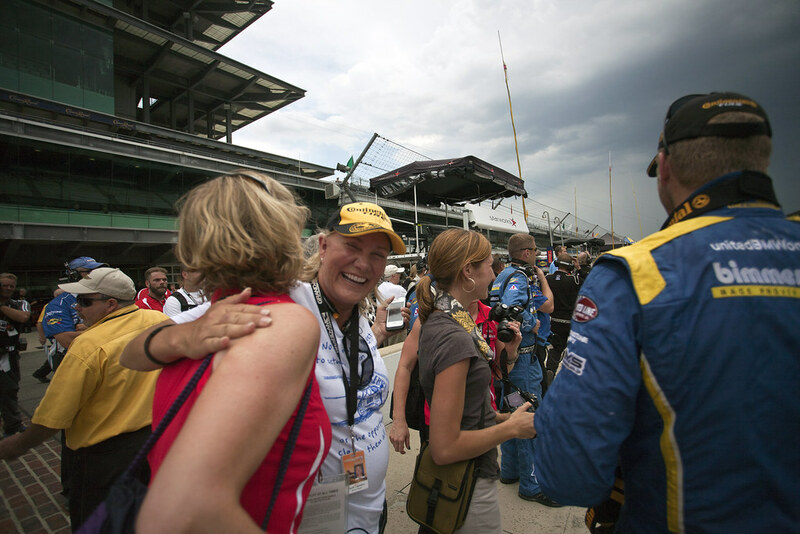 For Liefooghe, one of the most respected veterans in the paddock, his breakthrough win was both emotional and long overdue. 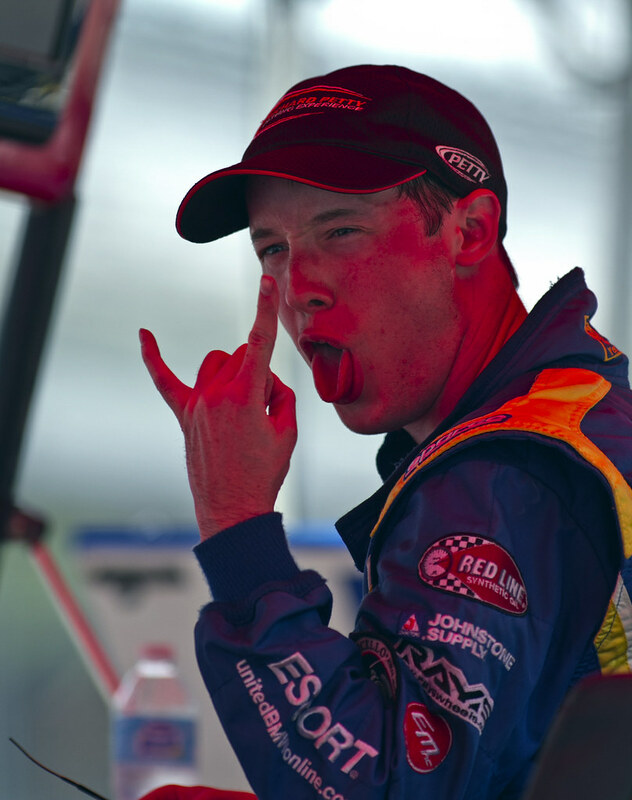 Liefooghe also had a special message for the man who helped get him to where he is today. 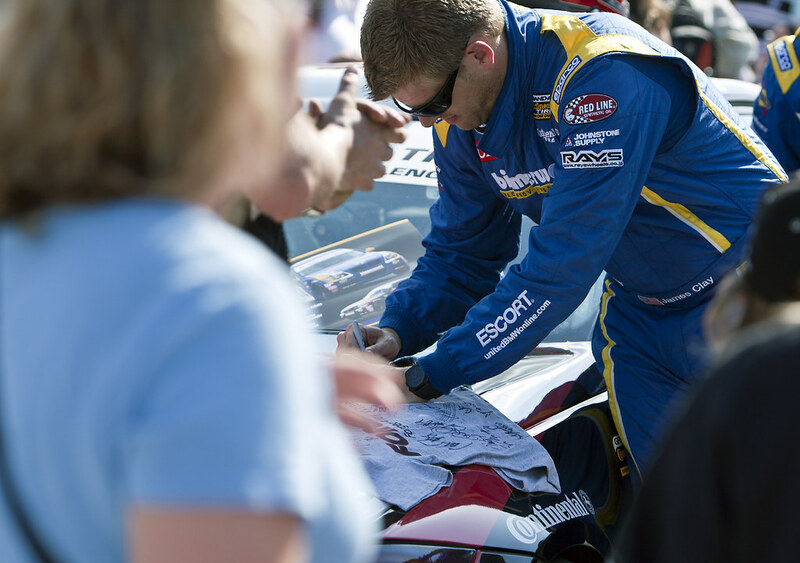 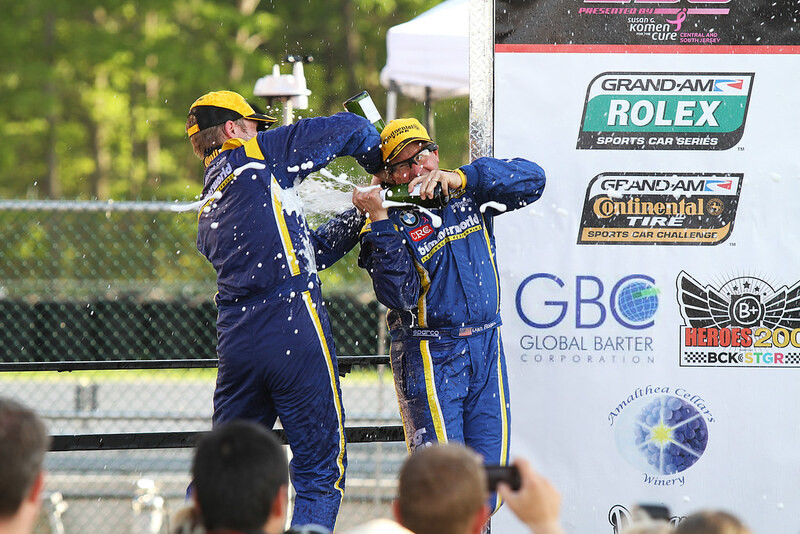 With so many cautions happening during his opening stint, Levine didn’t get the opportunity to do much wheel-to-wheel racing, but says the chance to spray champagne as a GRAND-AM race winner was everything he thought it would be. 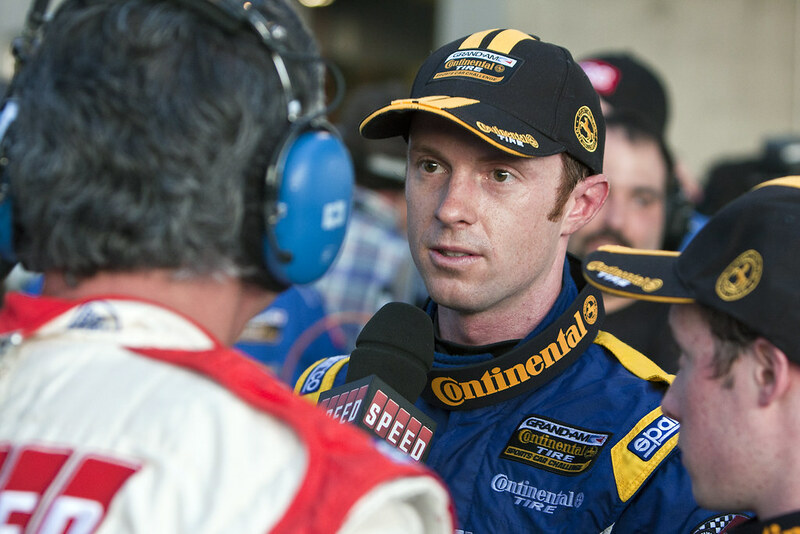 The road to fifth was just as exciting for Thomas and Rogers, and when presented with the opportunity to try a high-risk pass for the lead, Thomas says supporting the sister No. 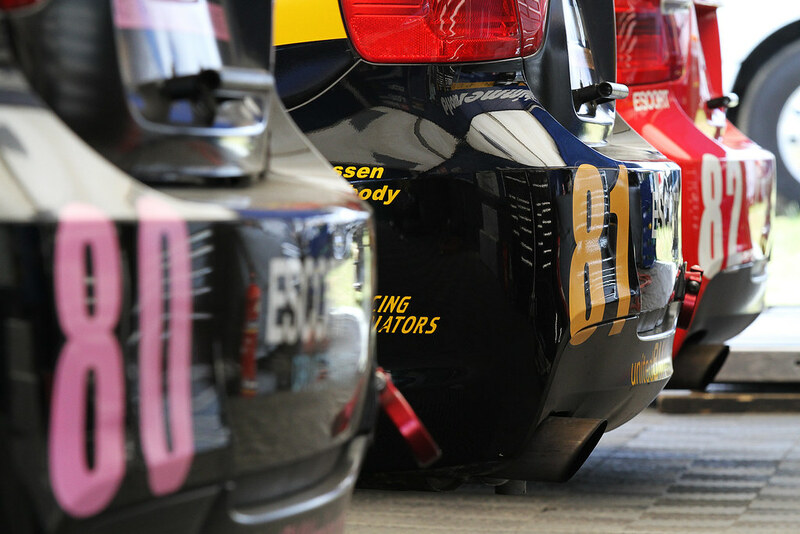 81’s charge to the checkered flag took precedence. 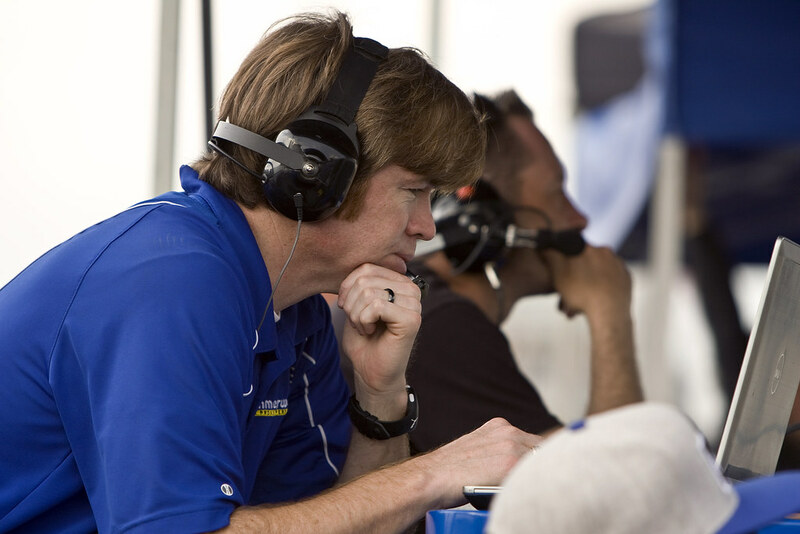 Rogers also supported the “team first” move by Thomas. 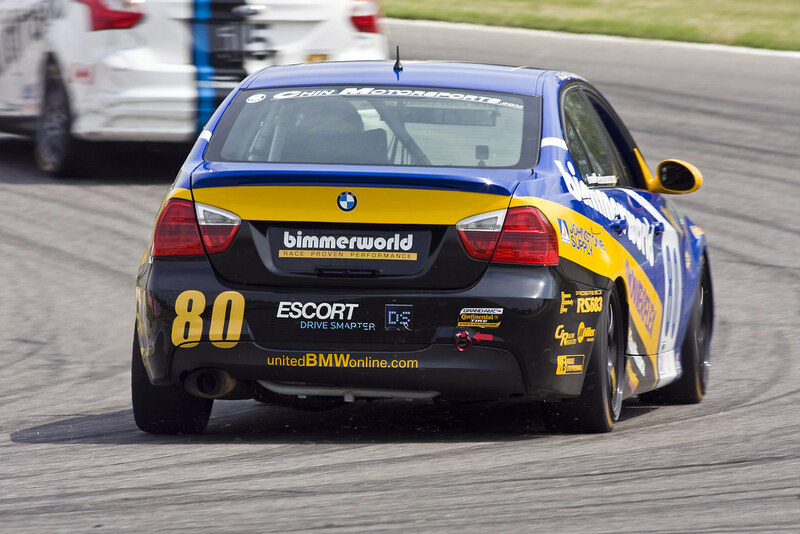 The third BimmerWorld entry, the No. 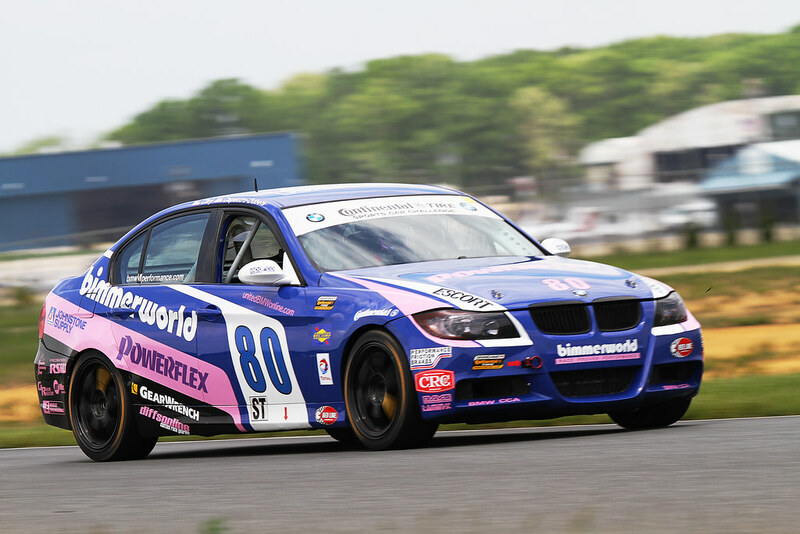 80 BMW 328i piloted by Clay and John Capestro-Dubets, wasn’t as fortunate in the race, encountering contact which dropped the duo well down the finishing order. 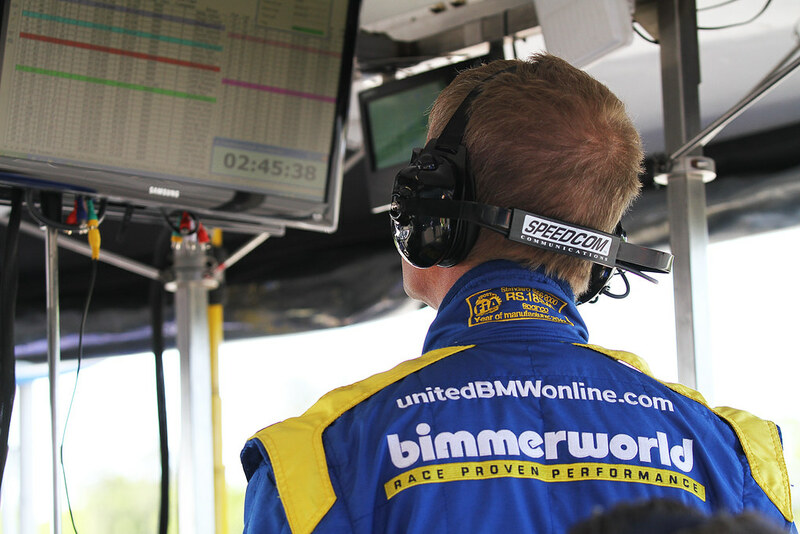 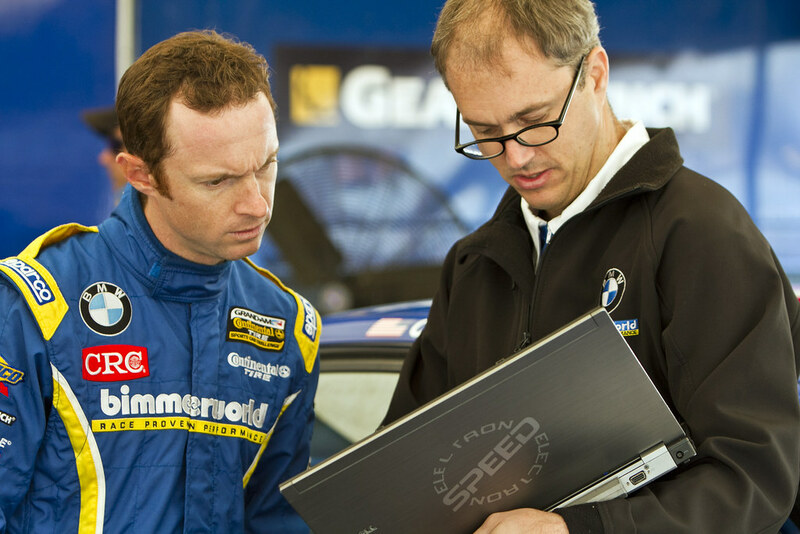 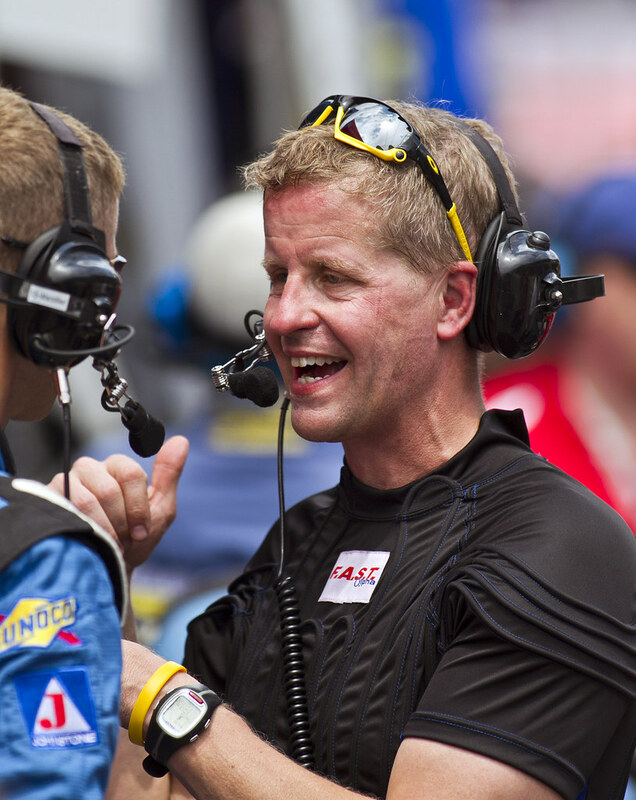 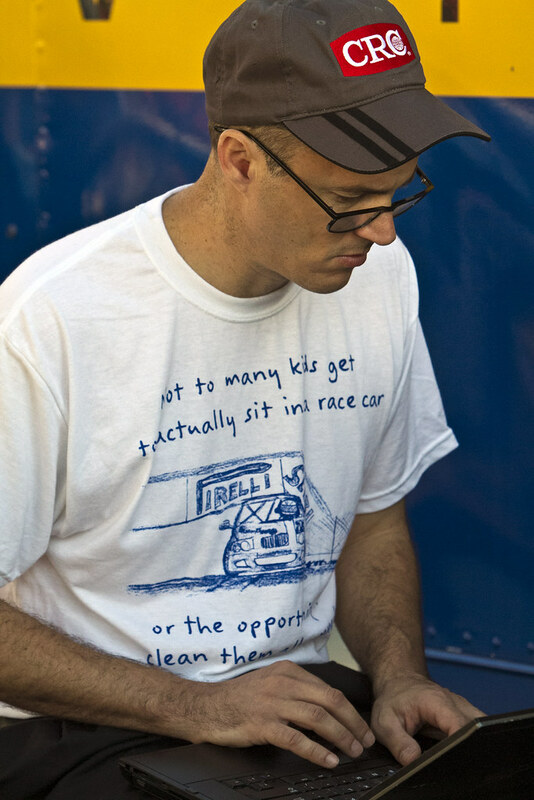 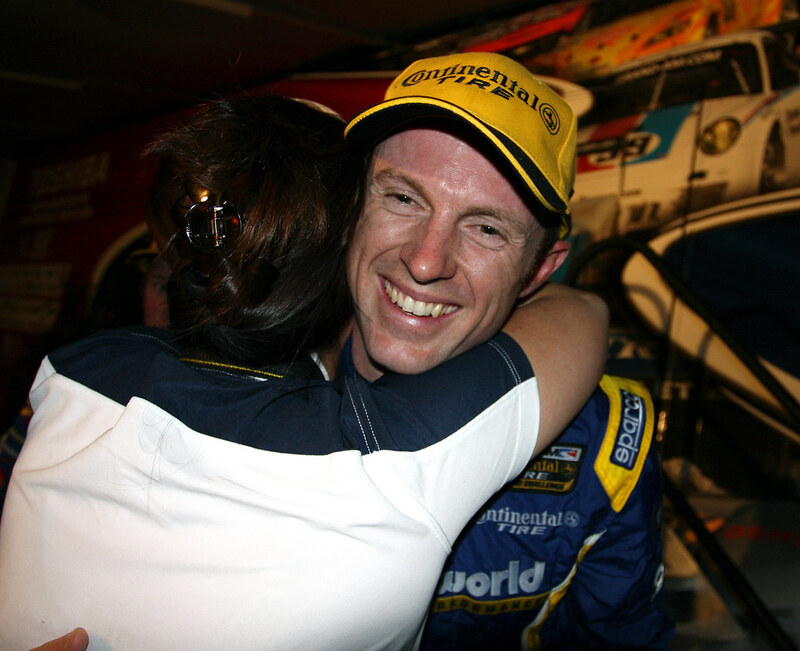 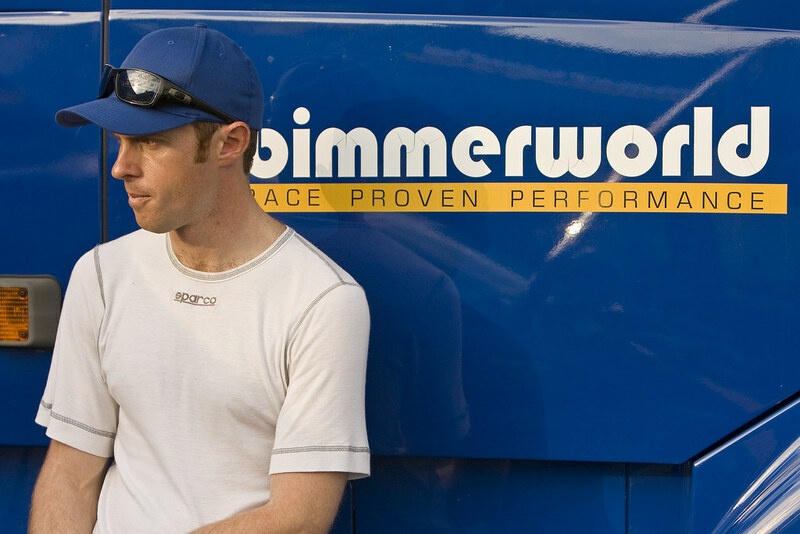 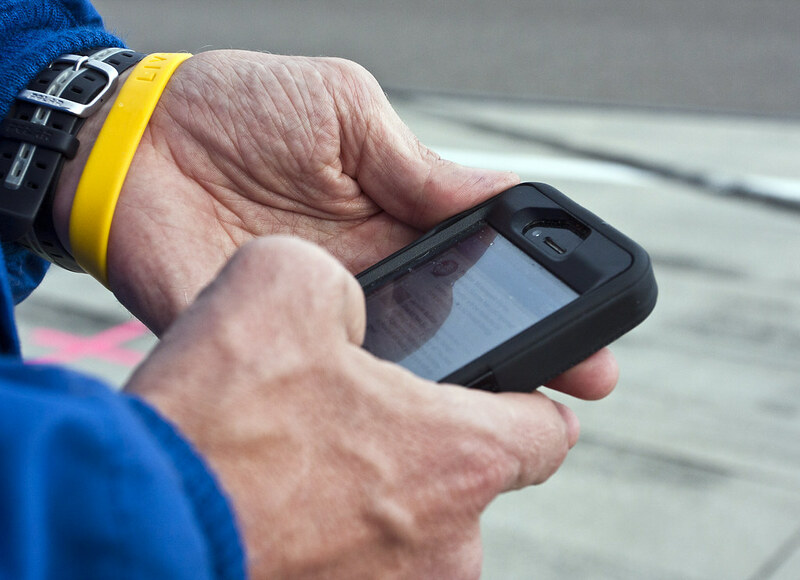 Clay also recognized the many layers of support that enabled BimmerWorld to return to its winning ways. 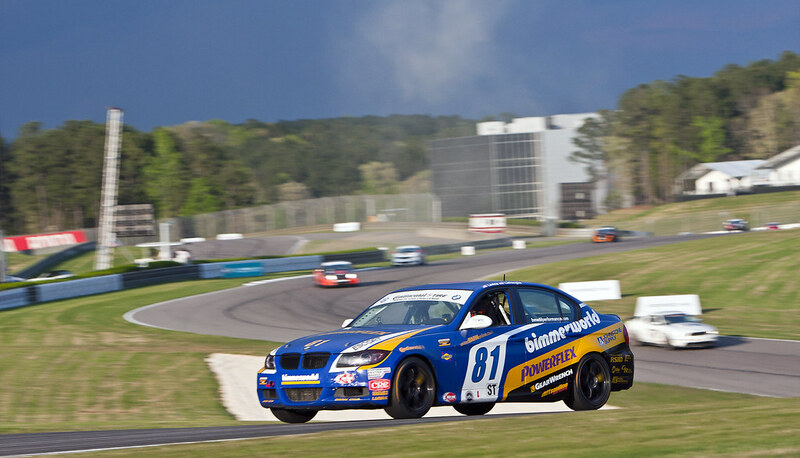 With eight races left on the calendar, Clay admitted that he and the team will enjoy their results at Barber in the short-term, but won’t let the victory or their place in the championship distract BimmerWorld from its season-long goals. 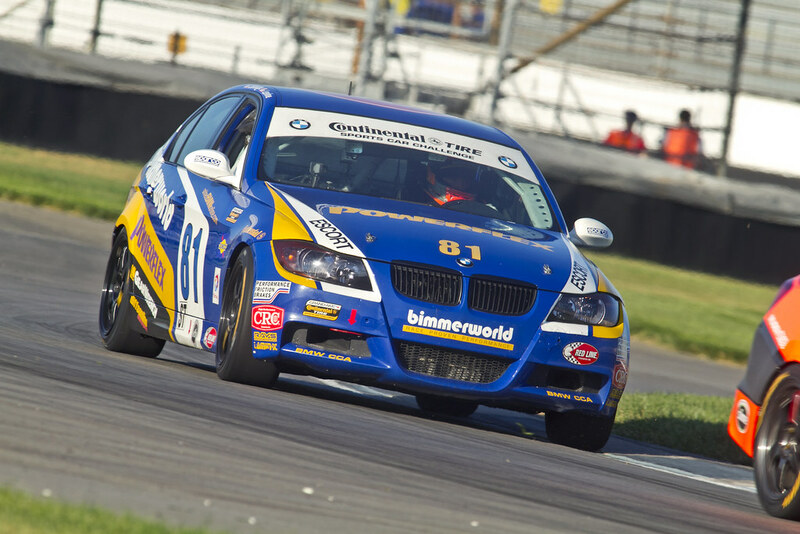 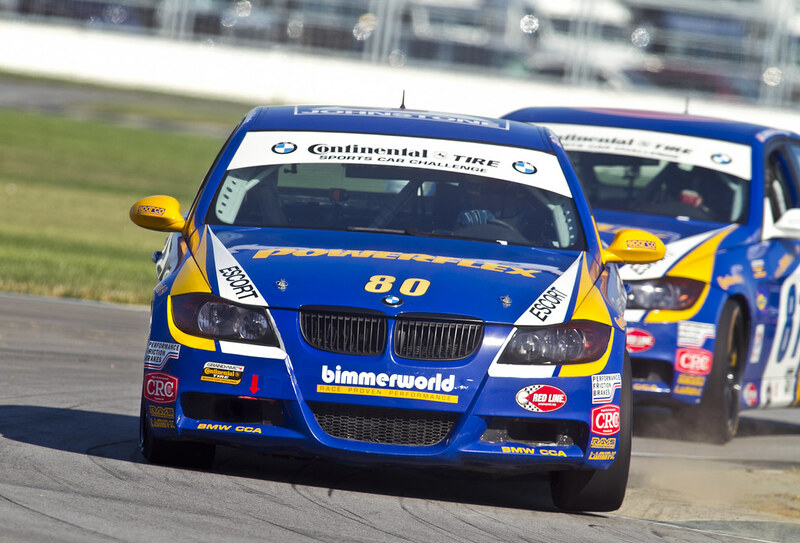 Next up for BimmerWorld is Round 3 at Homestead-Miami Speedway on April 27-28. 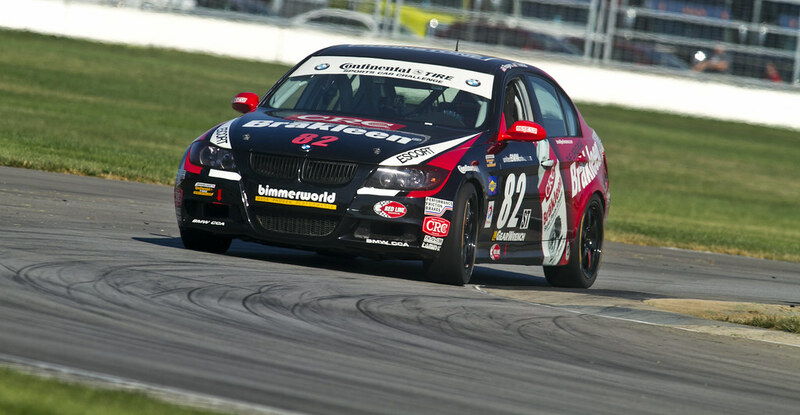 Follow the team’s progress as they prepare for the event at www.BimmerWorldRacing.com, and be sure to watch the No. 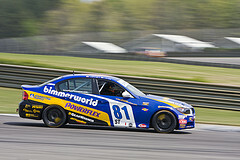 81’s win April 8th at 12 p.m. 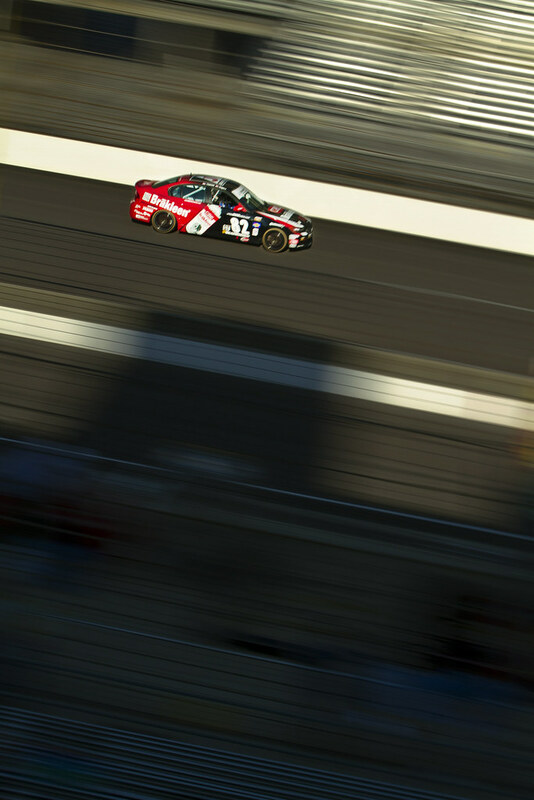 ET on SPEED. 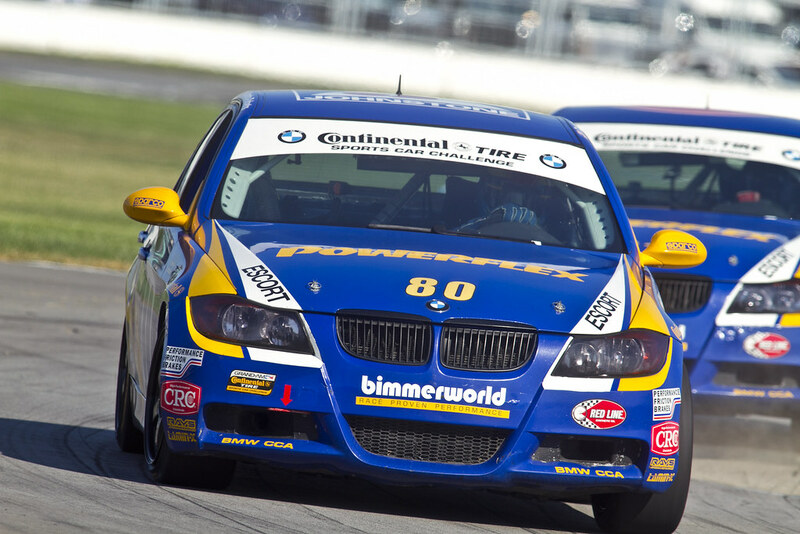 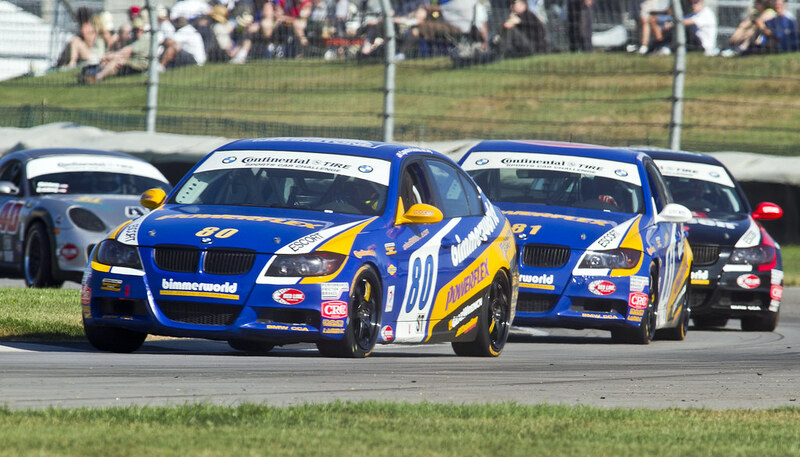 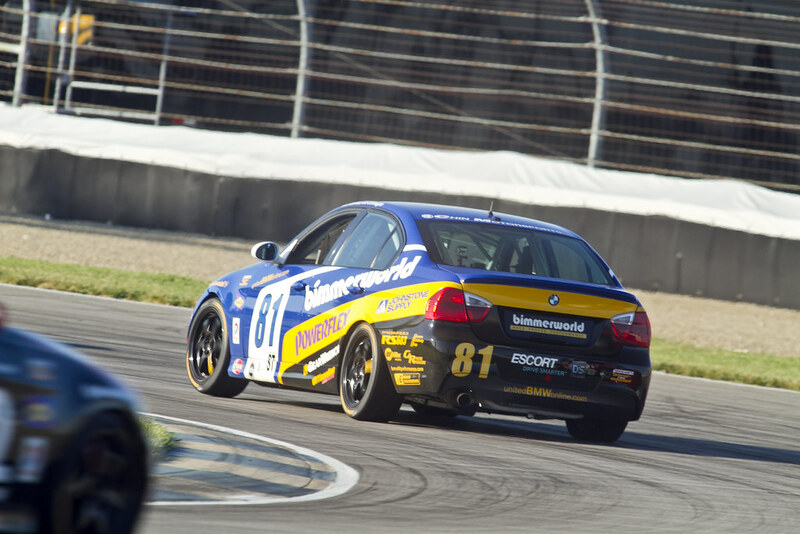 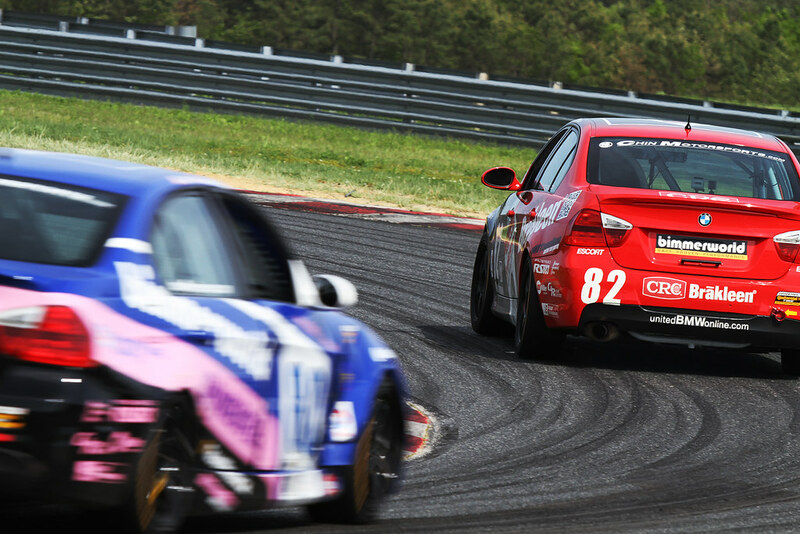 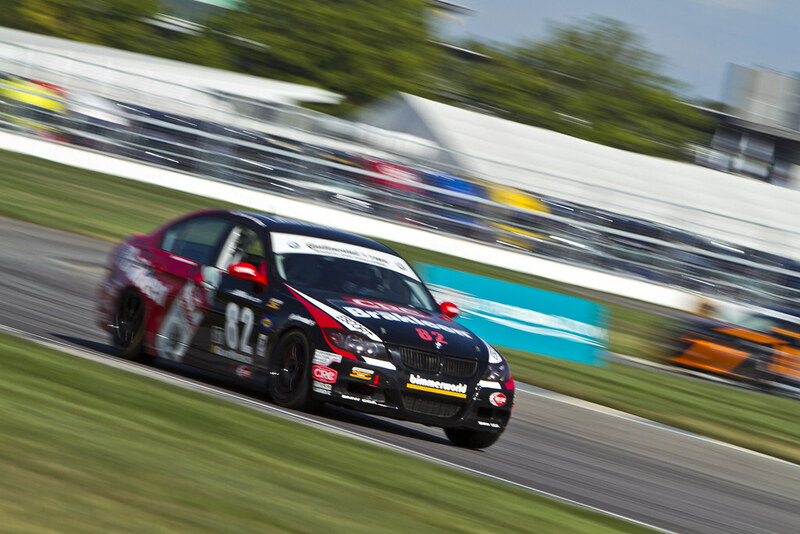 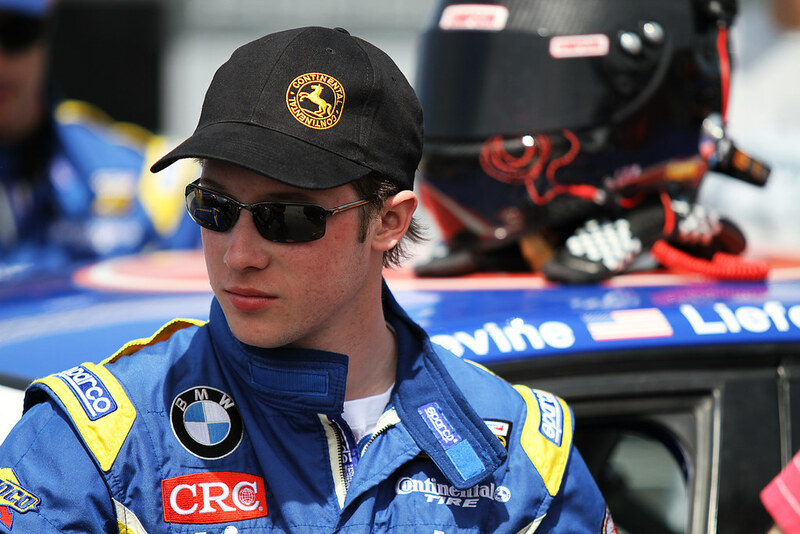 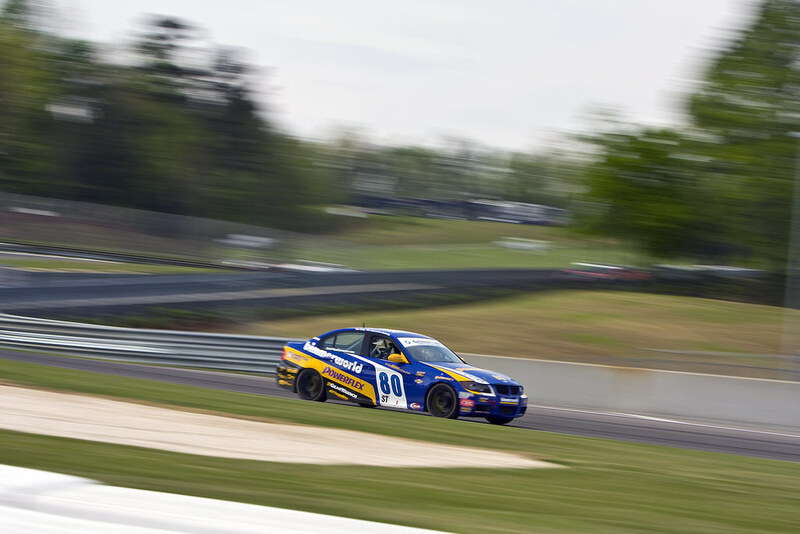 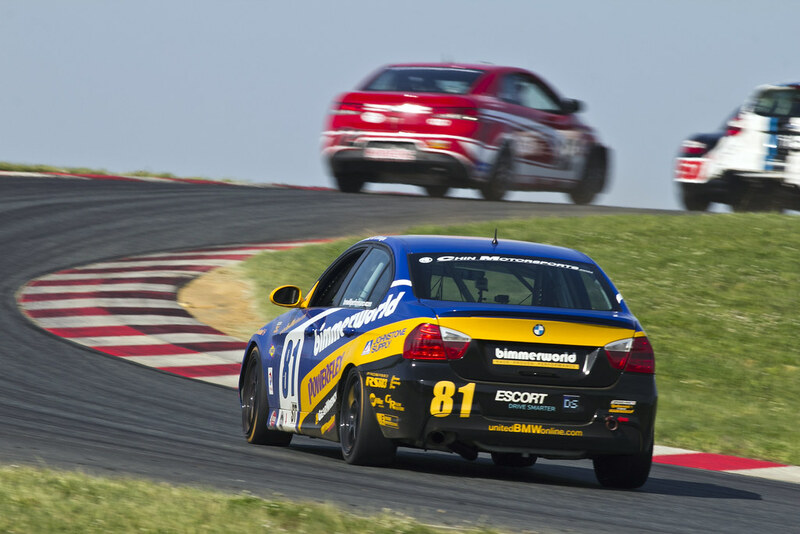 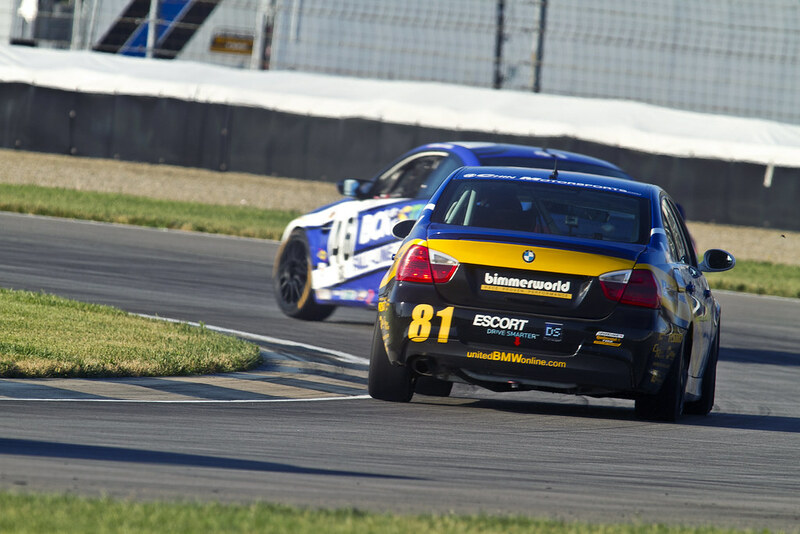 The BimmerWorld GRAND-AM Continental Tire Sports Car Challenge series team is busy preparing for a new season of racing with its three-car BMW 328i Street Tuner program, and as confirmed on Friday, it will continue with full support from CRC Industries. 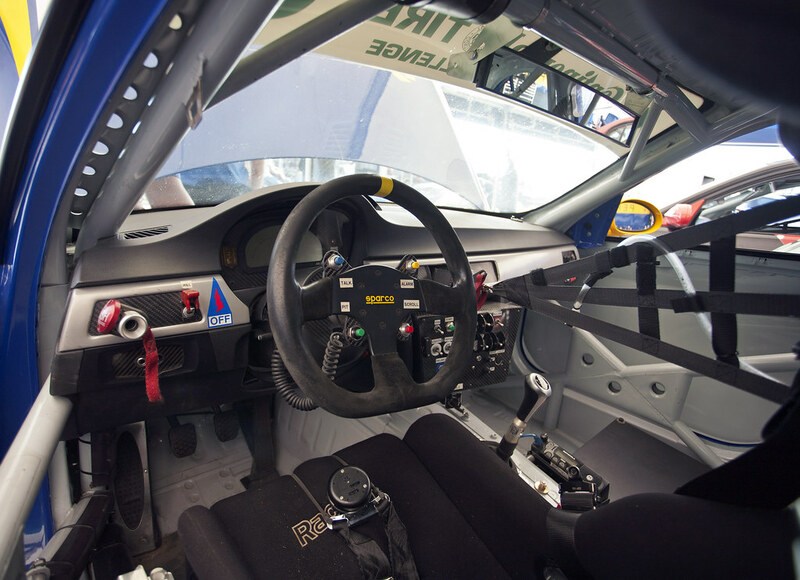 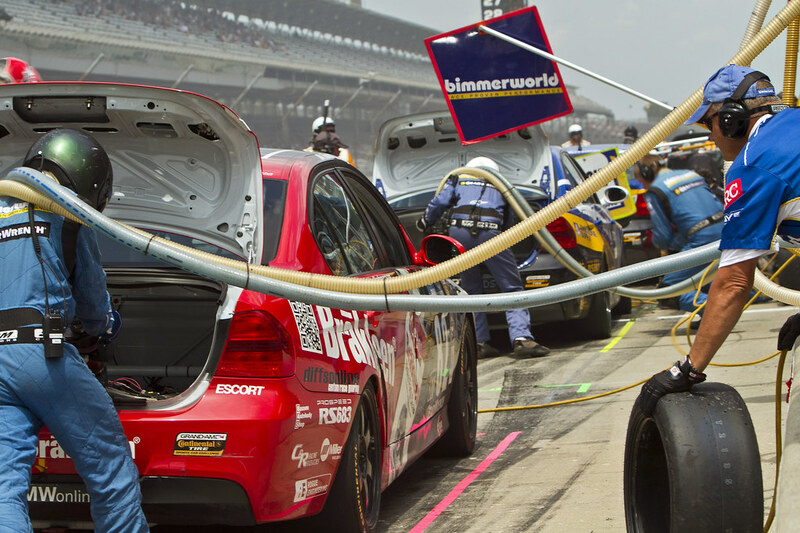 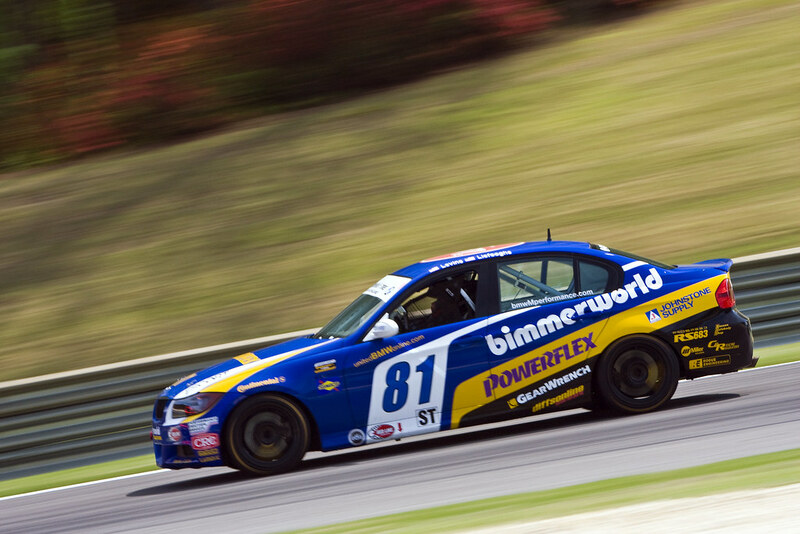 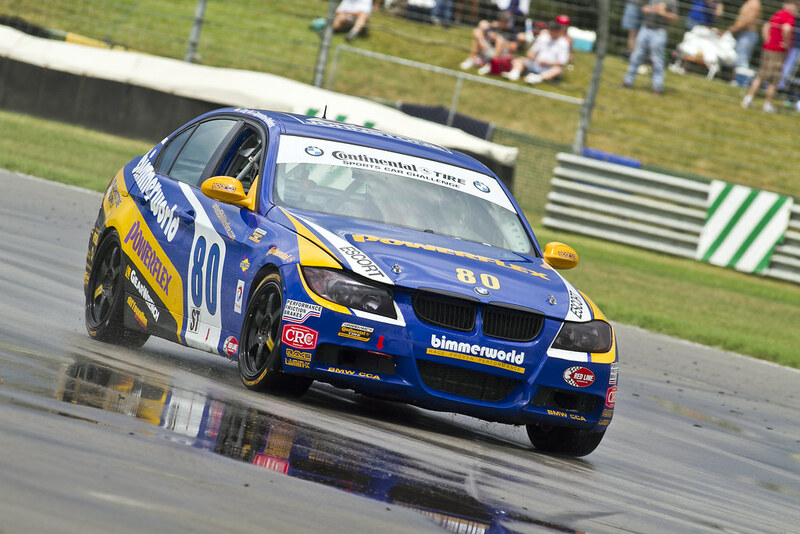 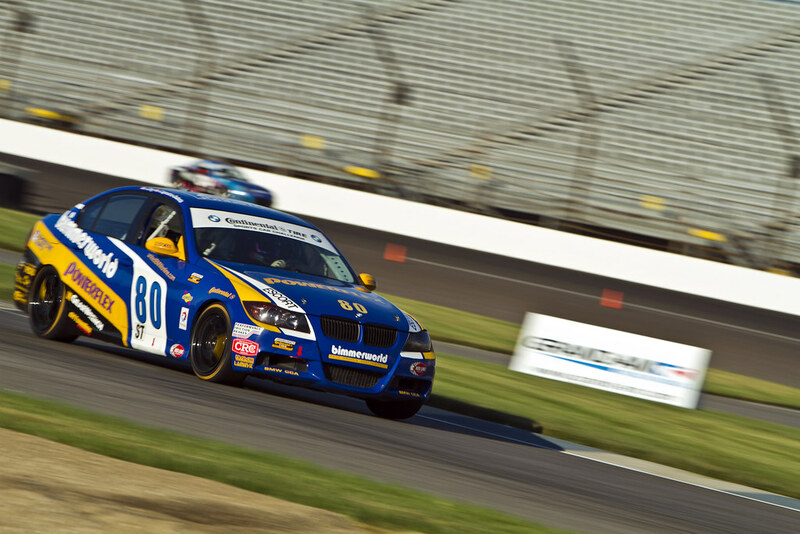 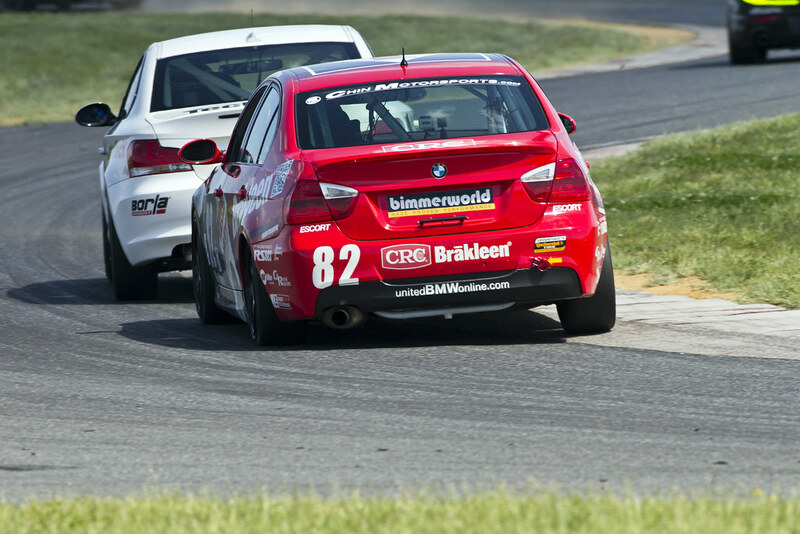 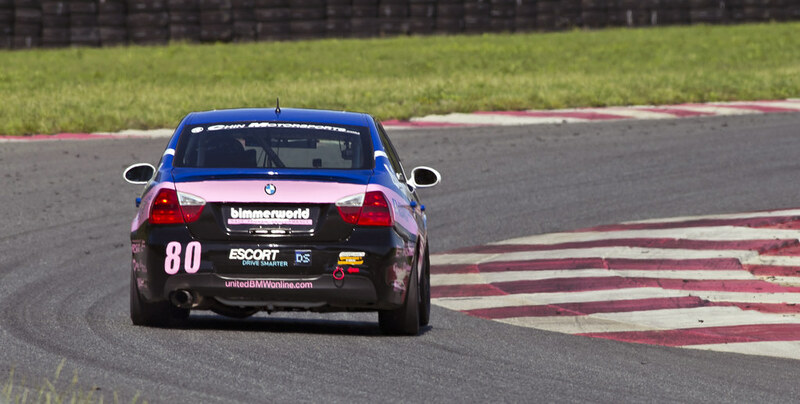 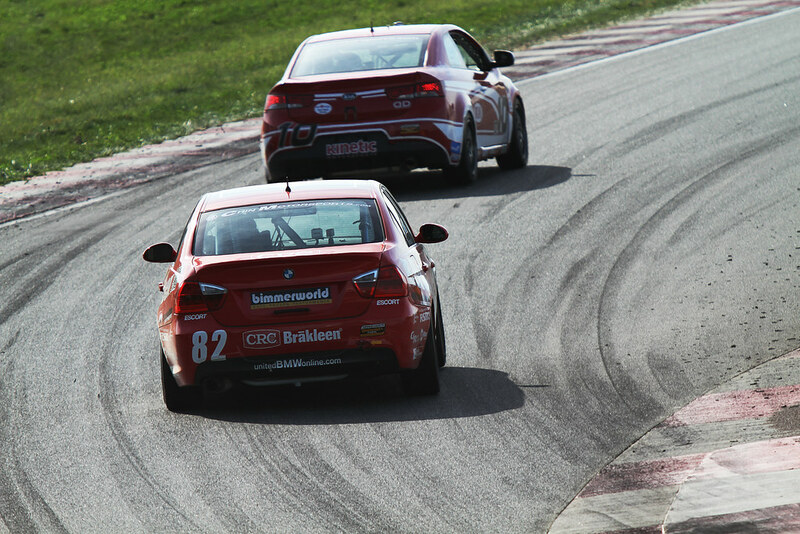 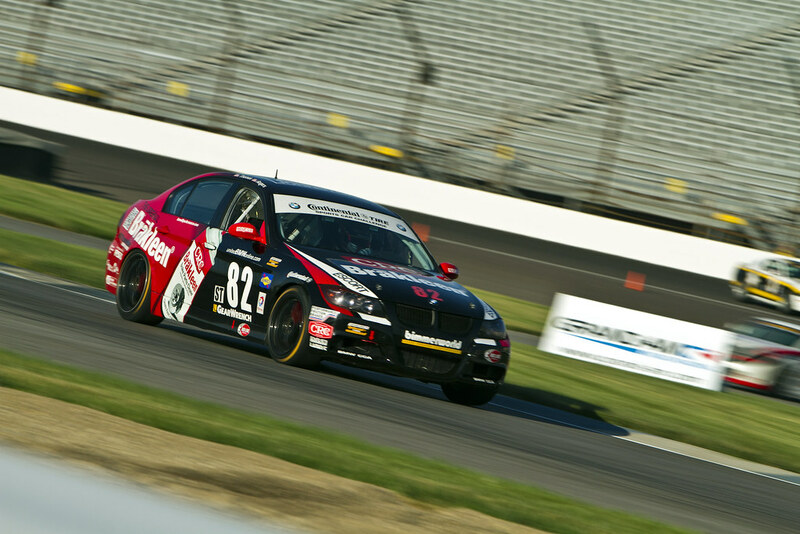 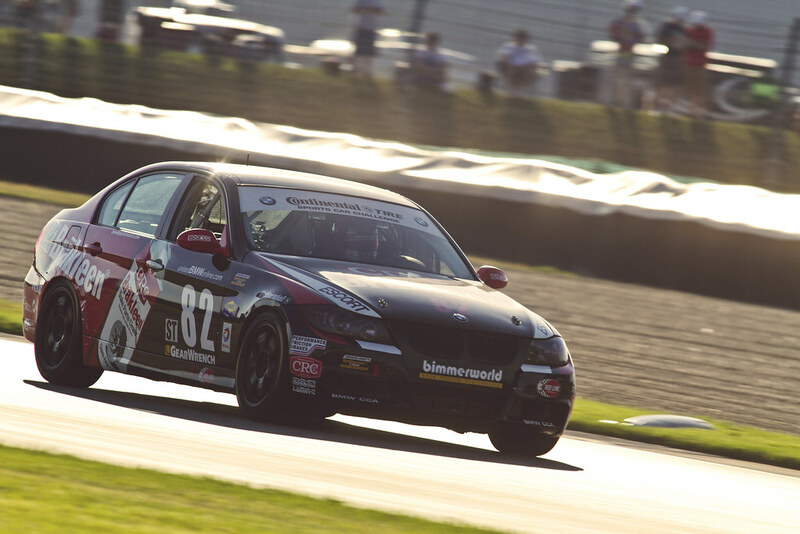 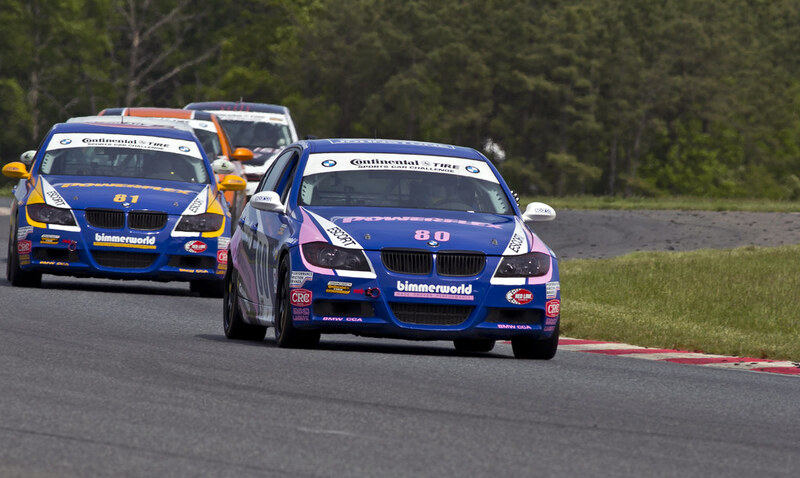 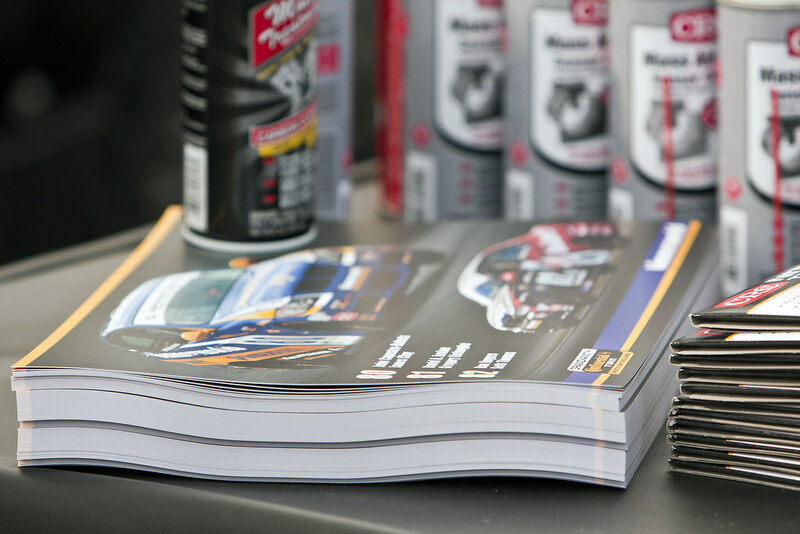 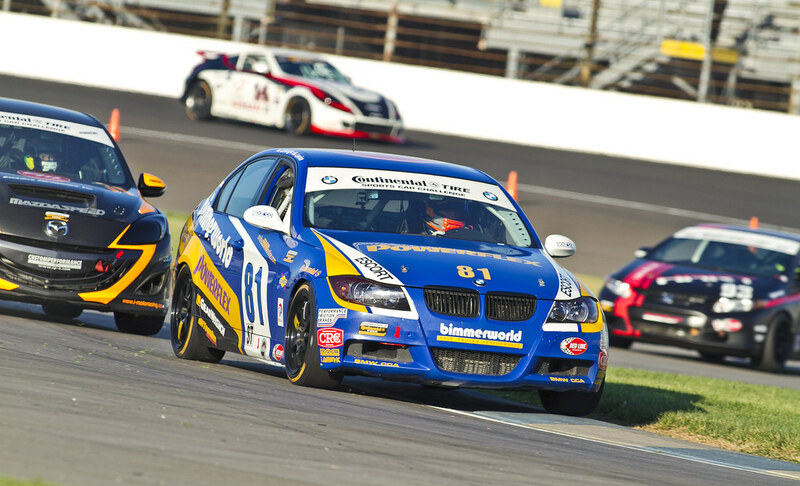 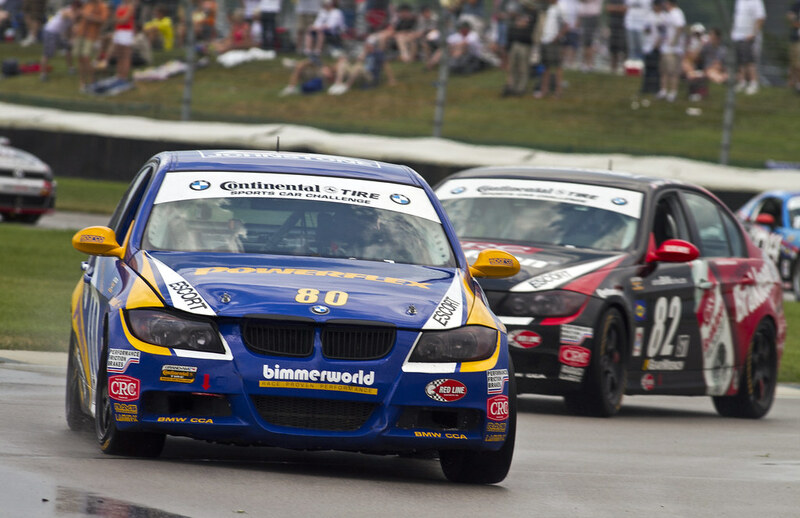 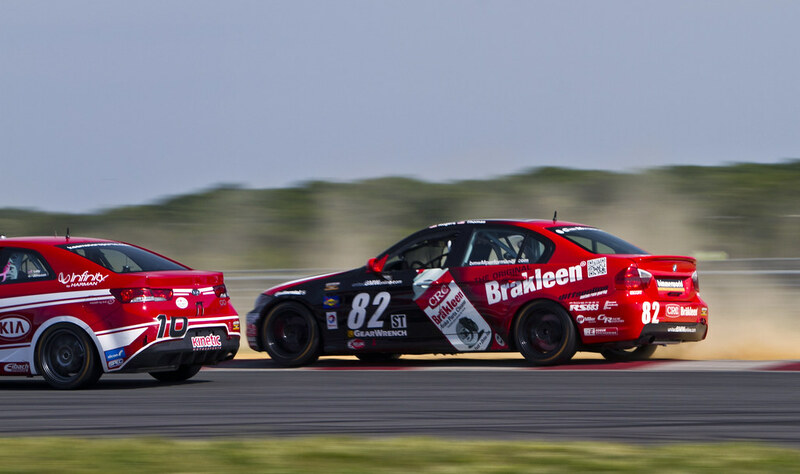 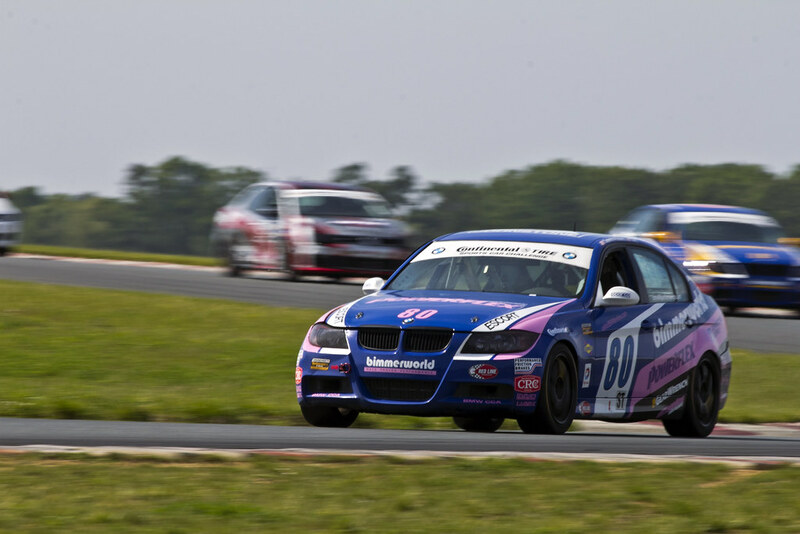 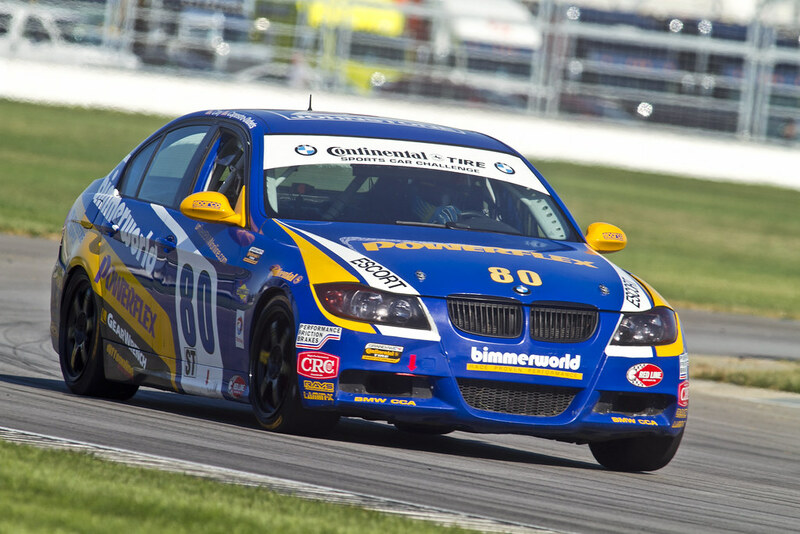 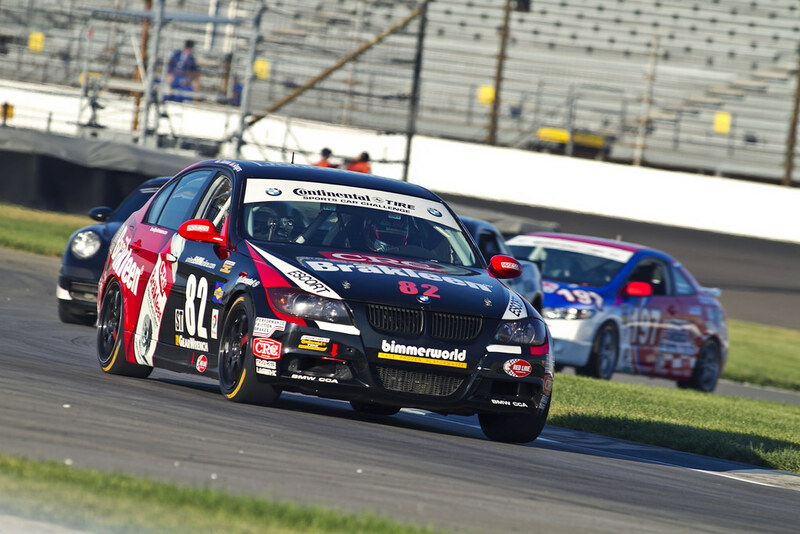 As Julie Williams, CRC Industries’ Marketing Manager says, BimmerWorld is a perfect partner to help promote CRC Brakleen® Brake Parts Cleaner through the rigors of production-based endurance racing. 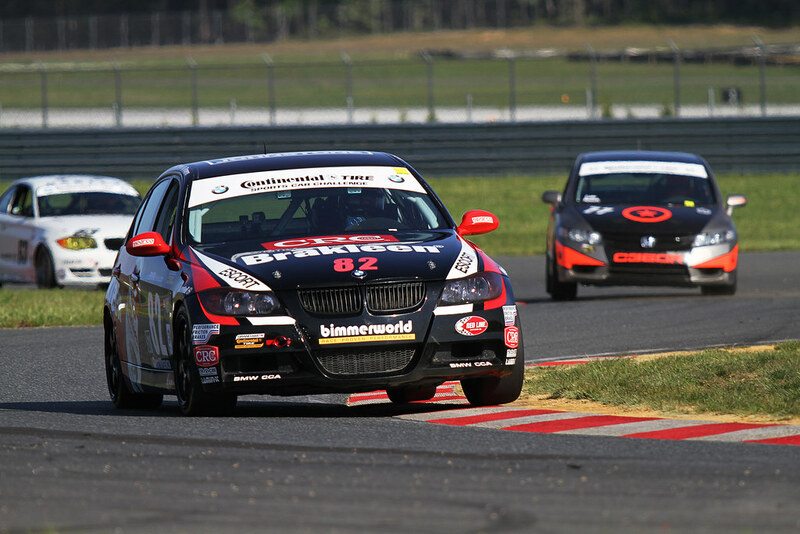 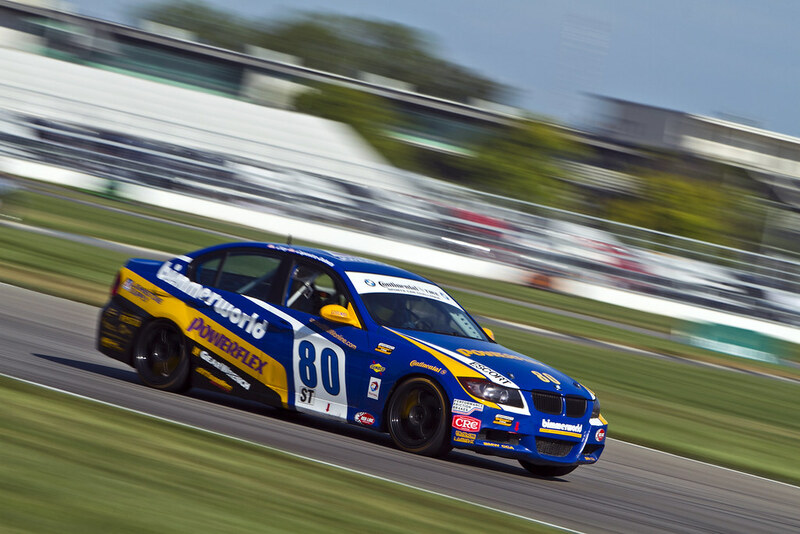 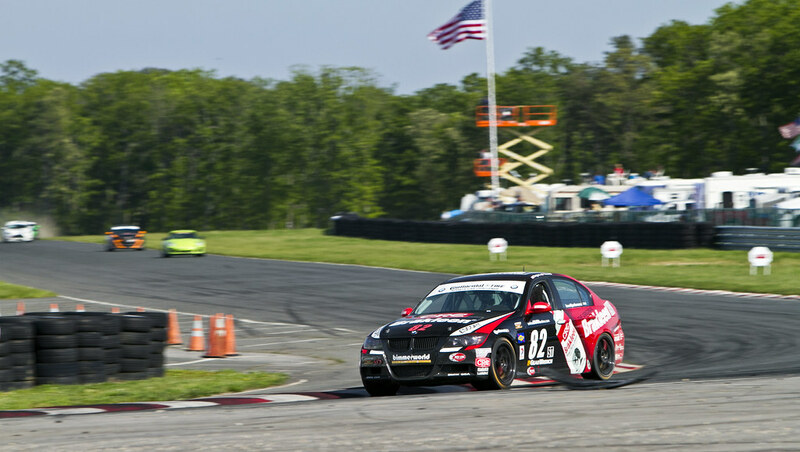 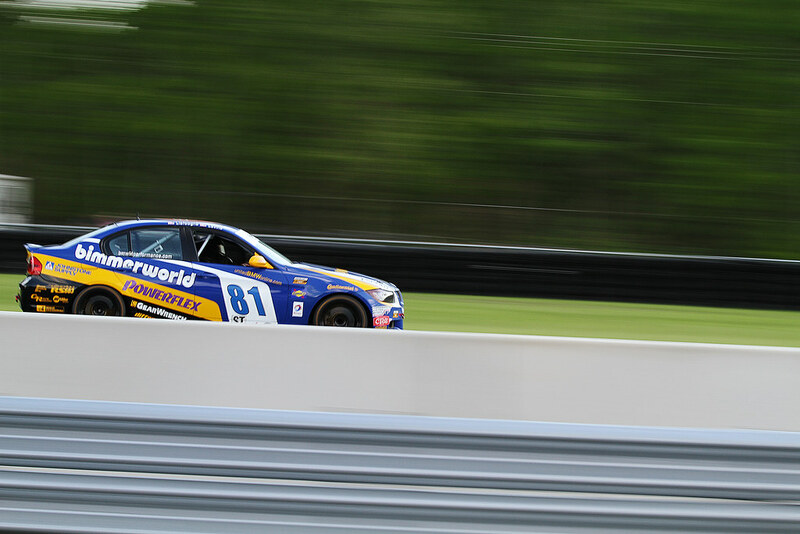 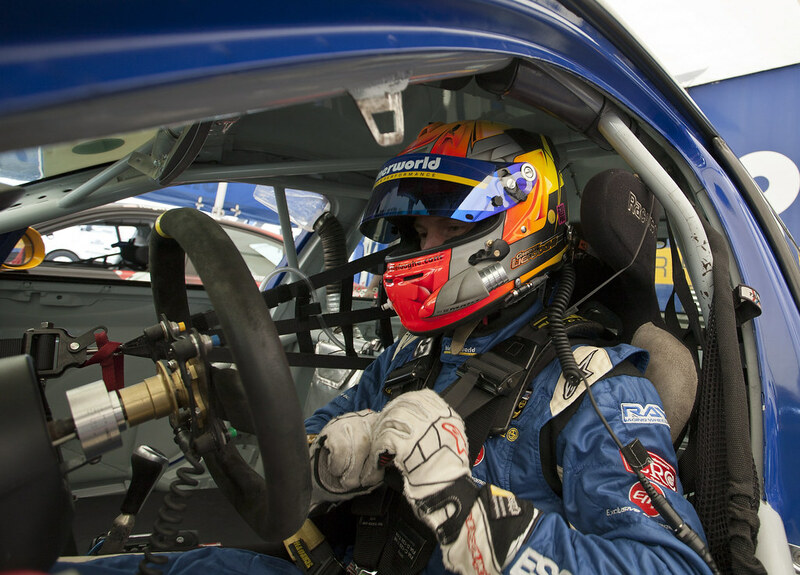 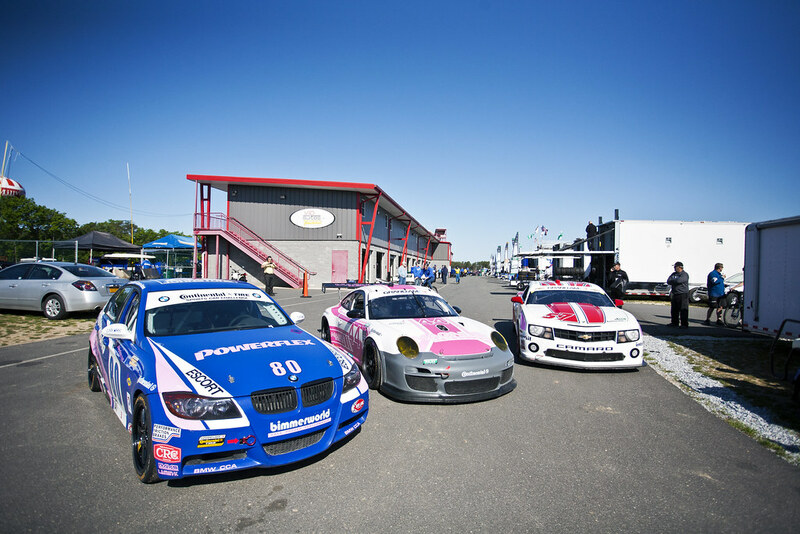 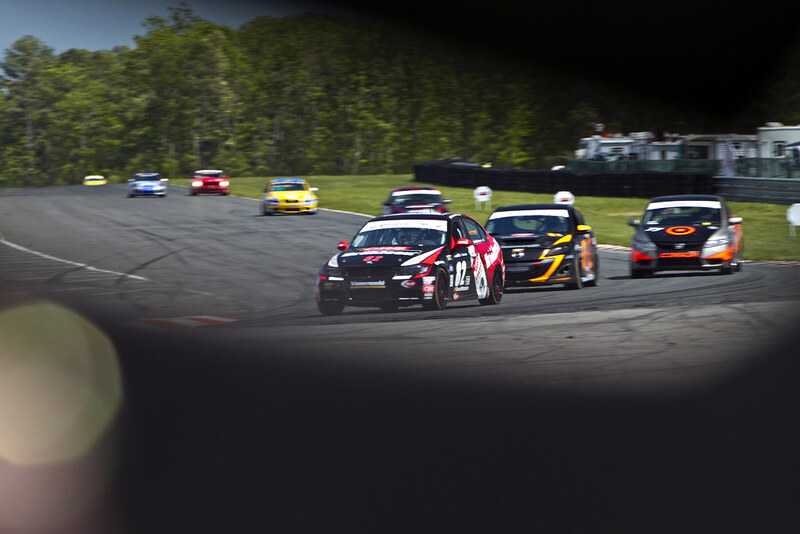 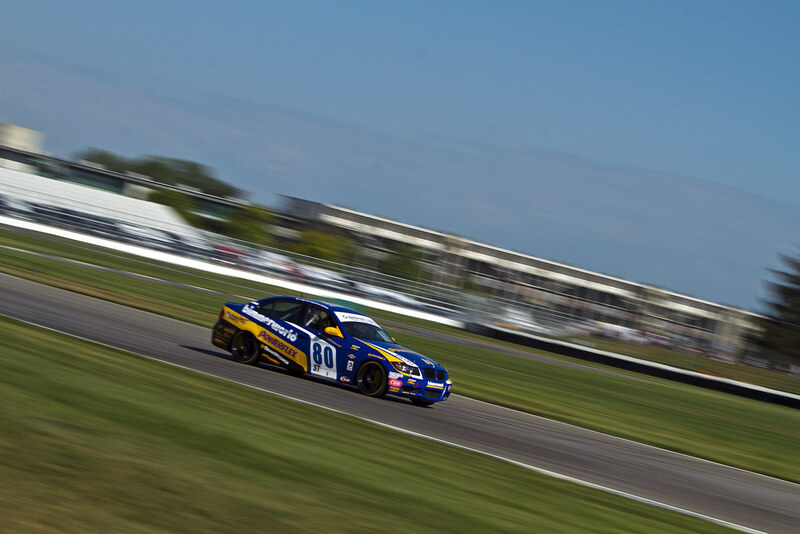 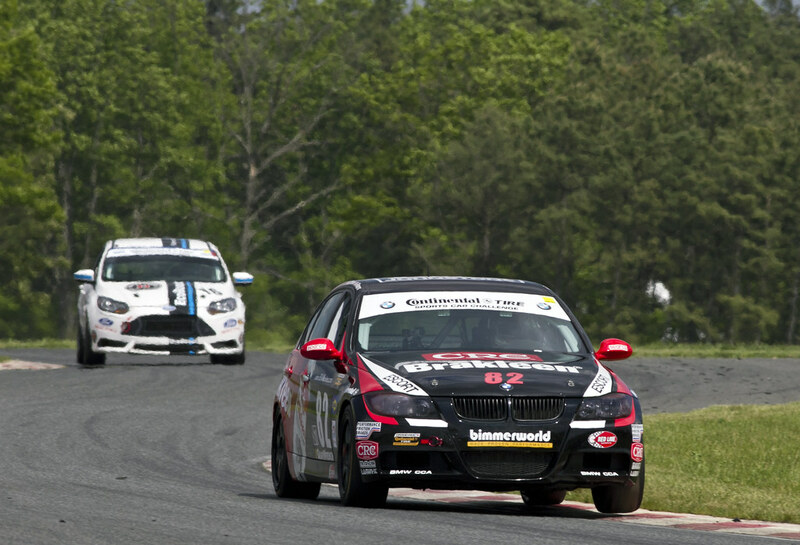 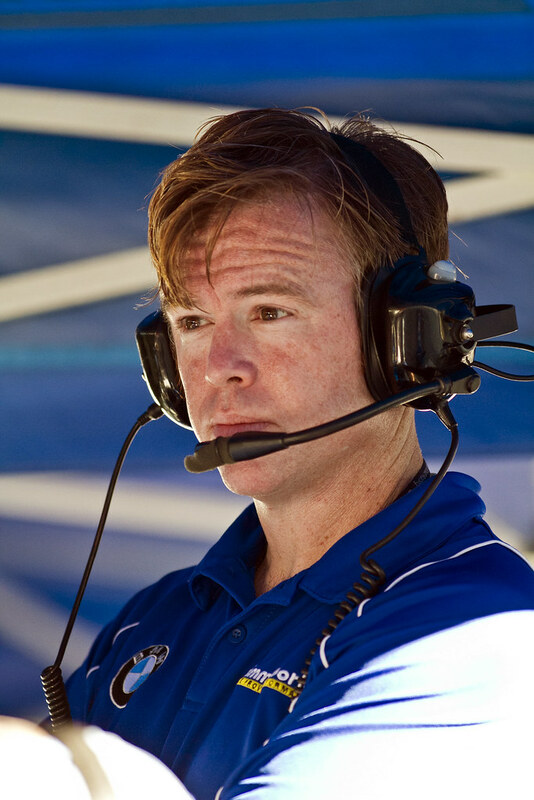 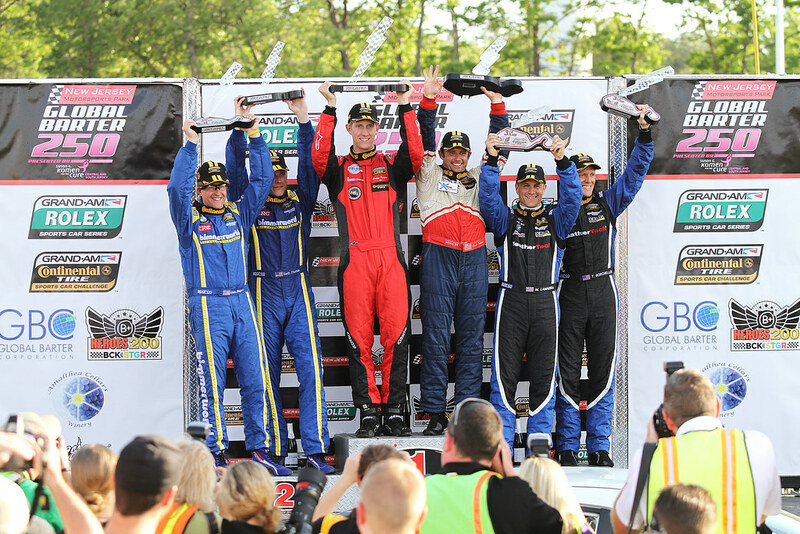 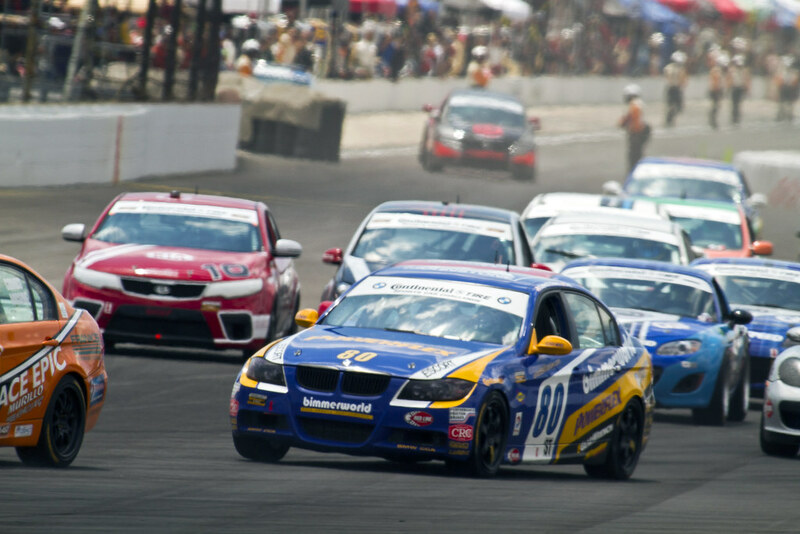 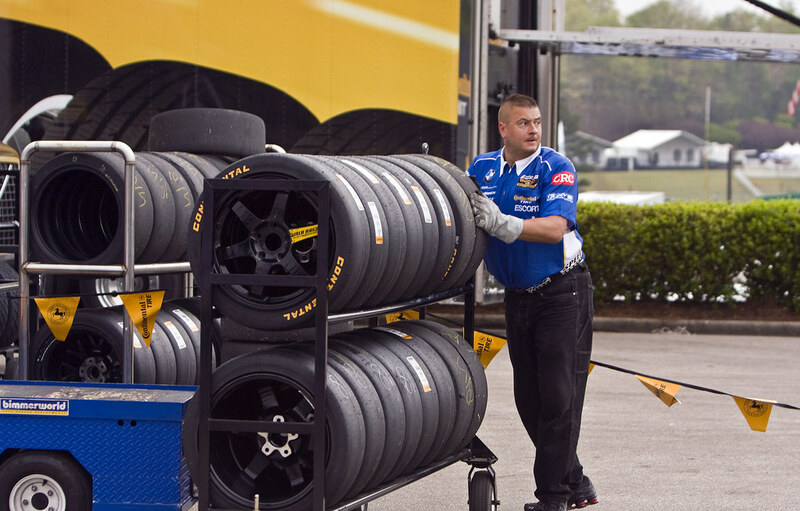 Williams also says that BimmerWorld’s participation in the highly respected and hotly contested GRAND-AM Continental Tire Series has helped to drive awareness towards CRC Industries’ high-performance products. 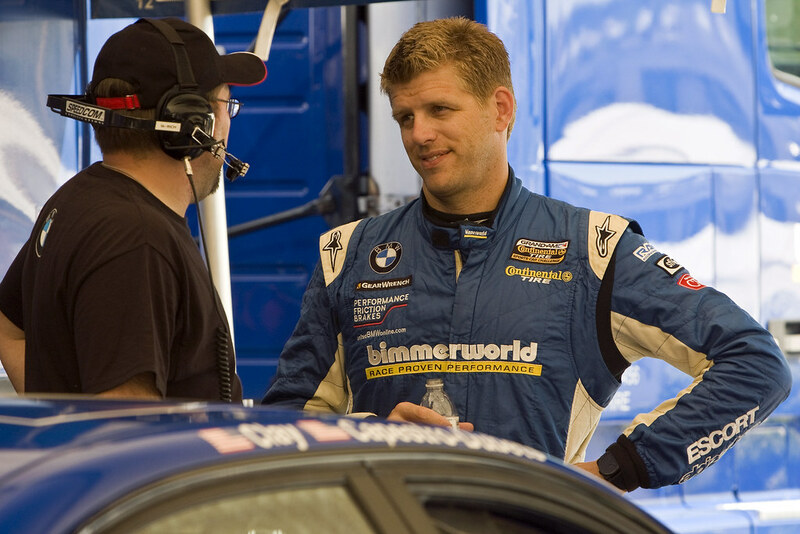 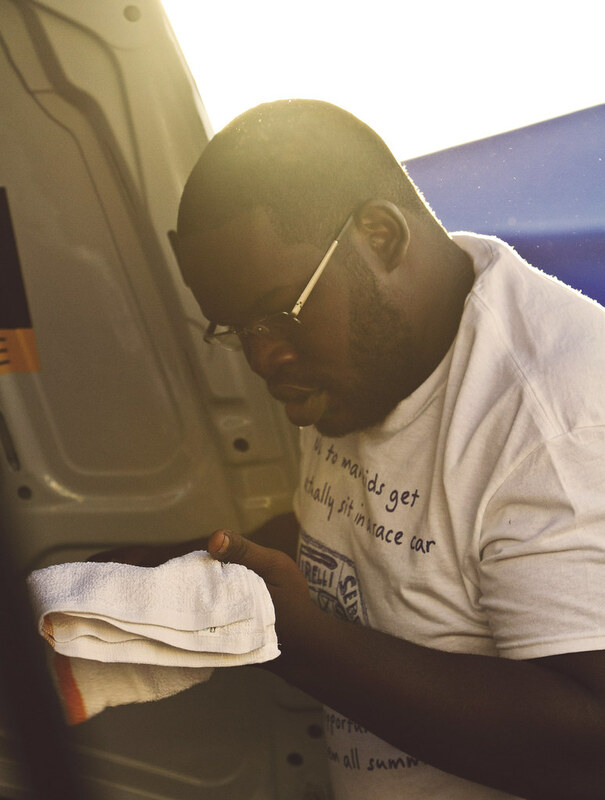 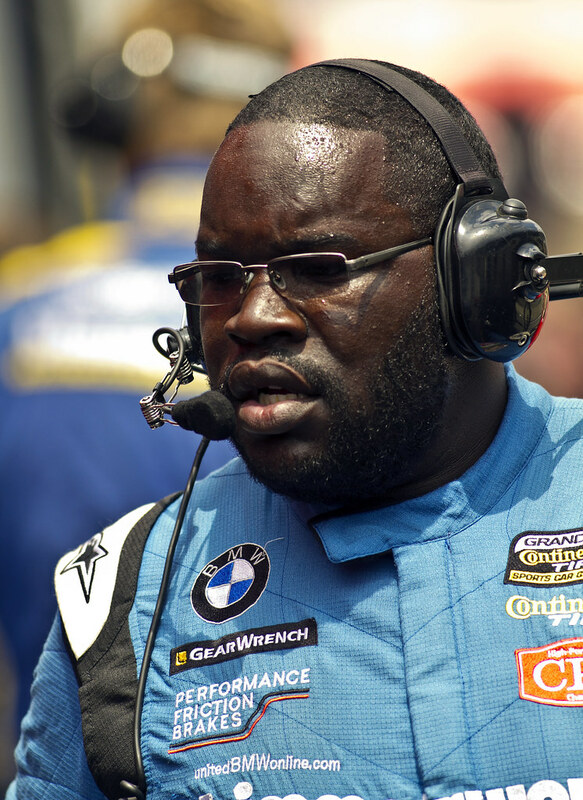 BimmerWorld owner/driver James Clay was not only pleased to announce the news of his continued relationship with CRC Industries, but echoed many of the same sentiments that were shared by Williams. 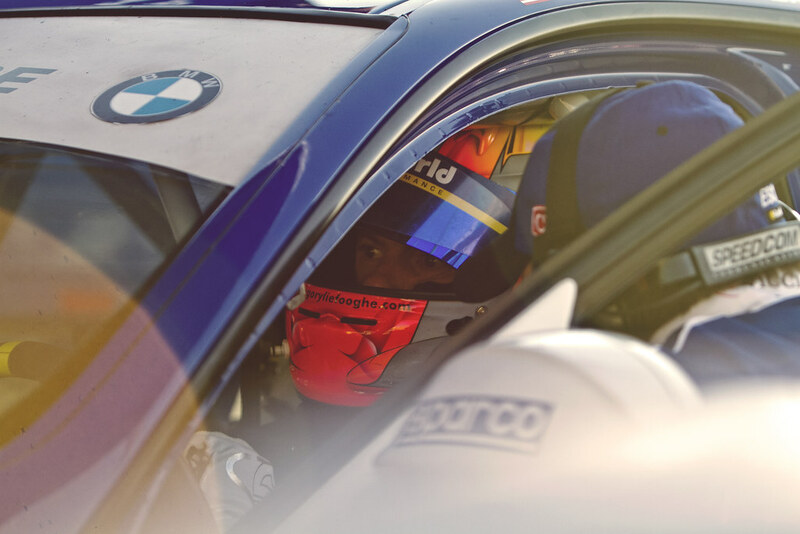 Following an announcement in early December where Clay revealed his team of BMW experts would field three of the 328i models in the ST category, Williams says one car in particular will stand out to the legions of Brakleen® users. 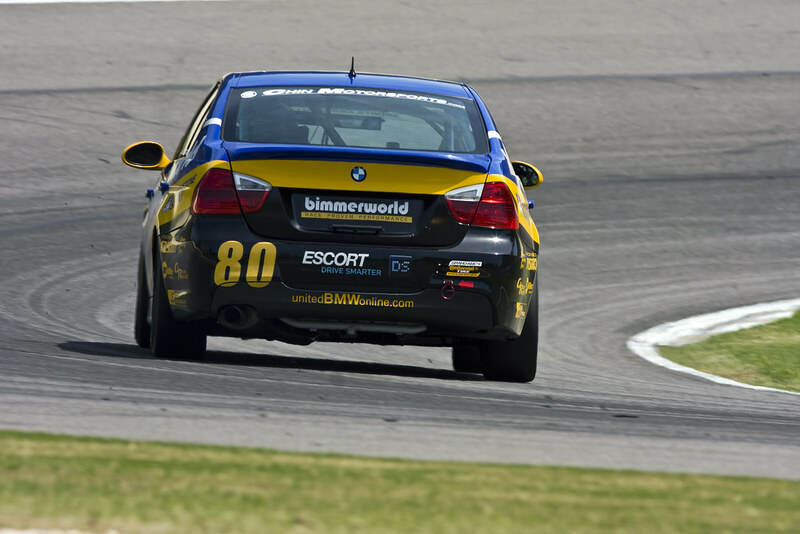 As a manufacturer of premium automotive products, Williams says CRC Industries will also supply BimmerWorld with its full range of chemicals to keep its fleet of BMWs headed towards victory lane. 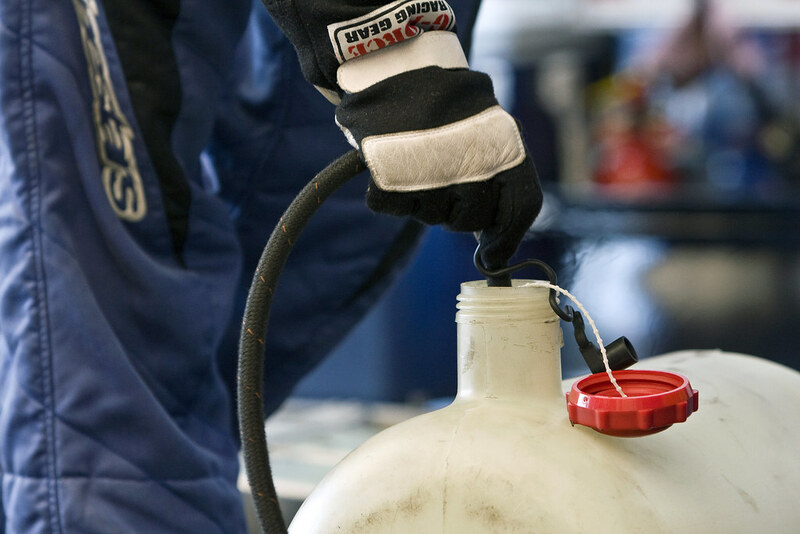 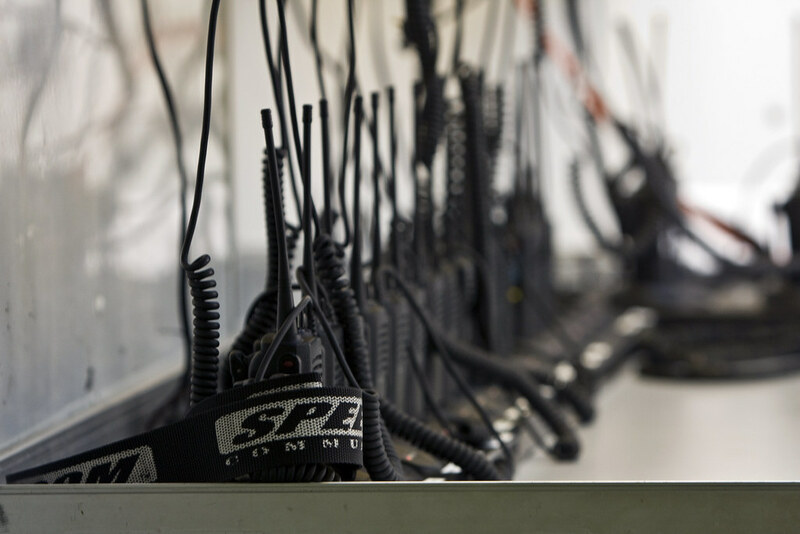 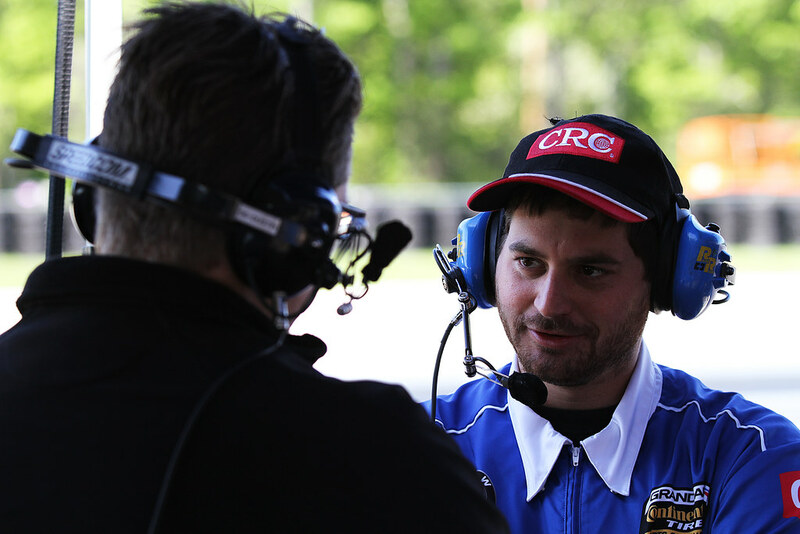 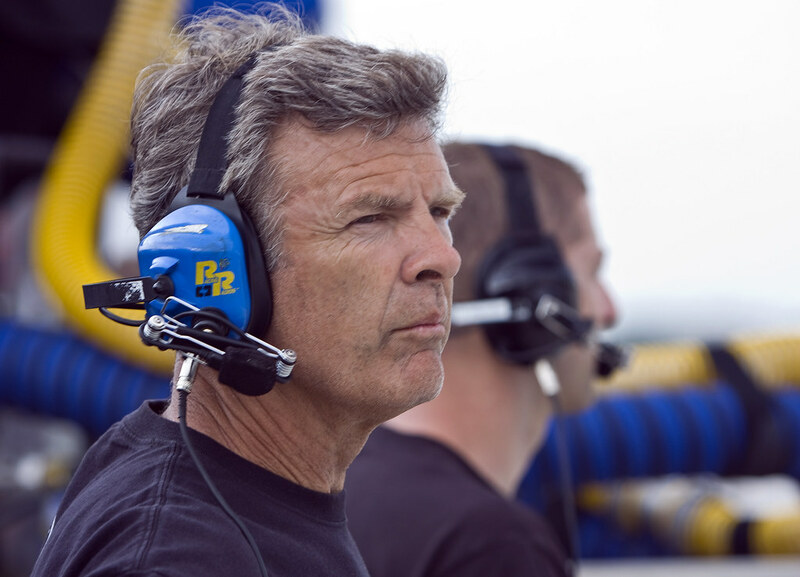 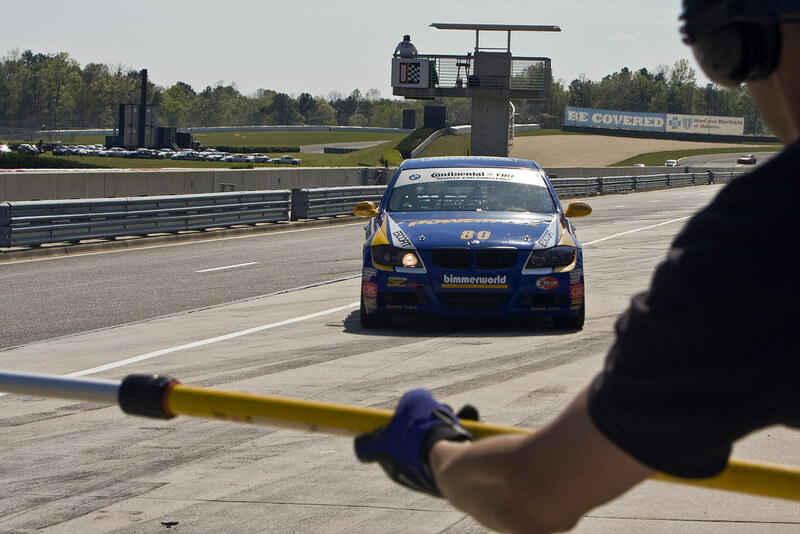 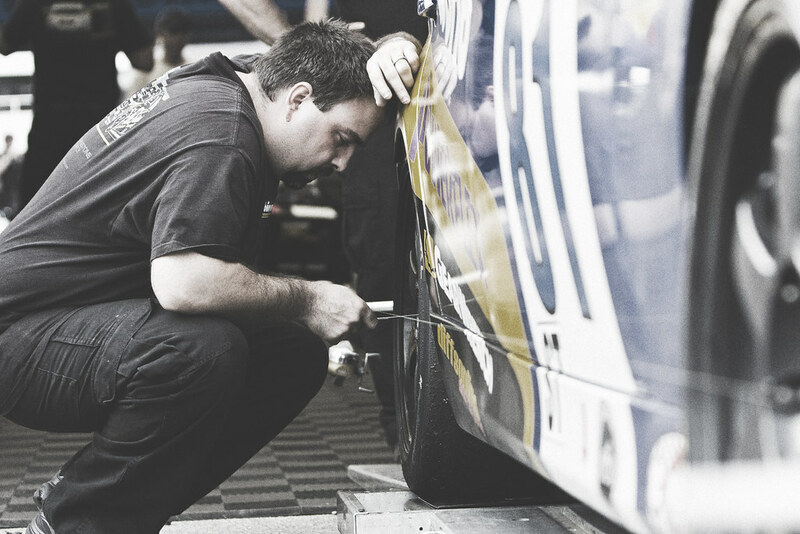 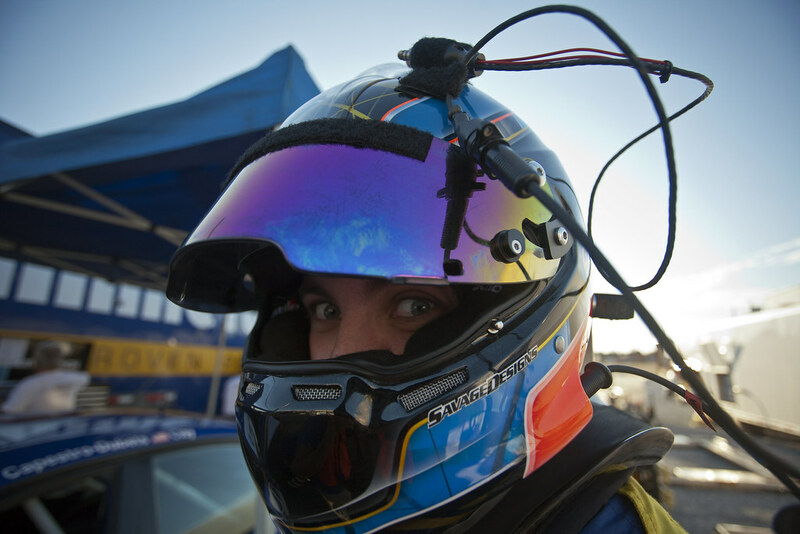 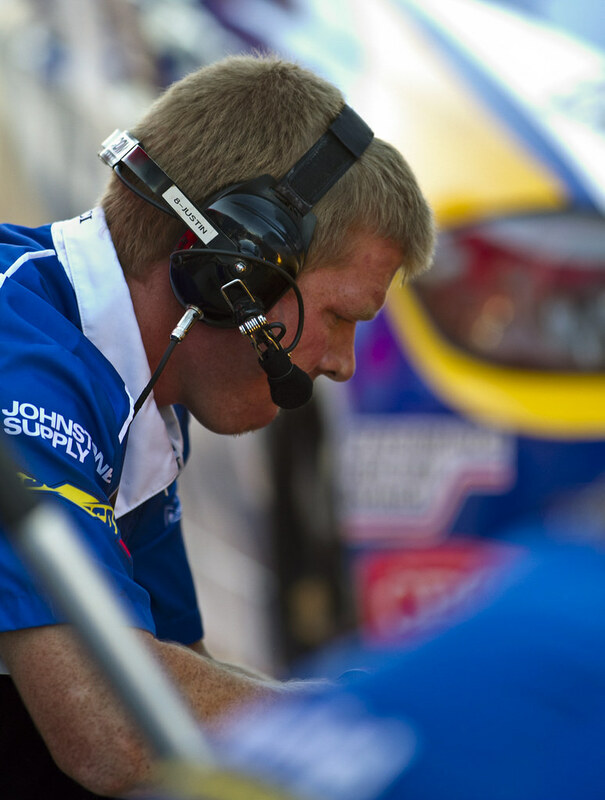 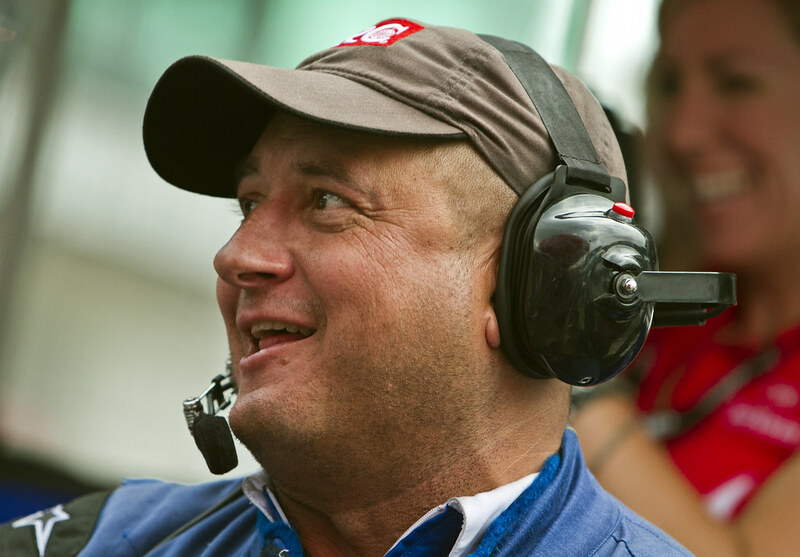 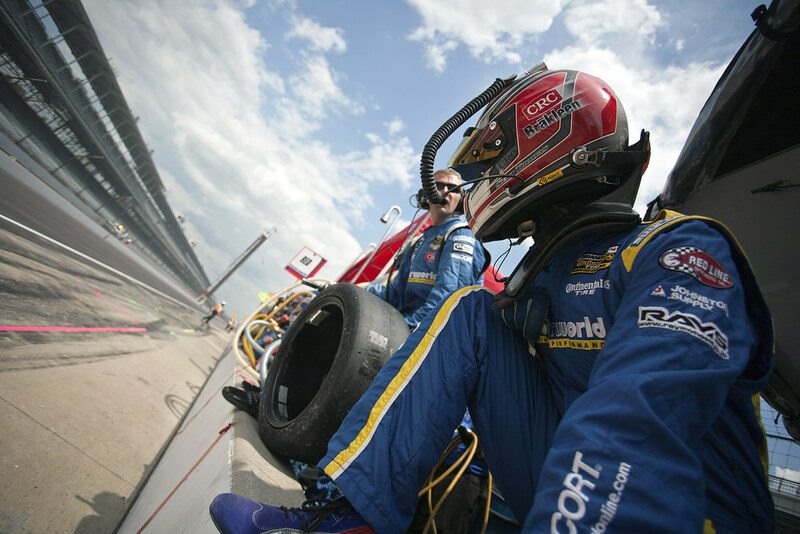 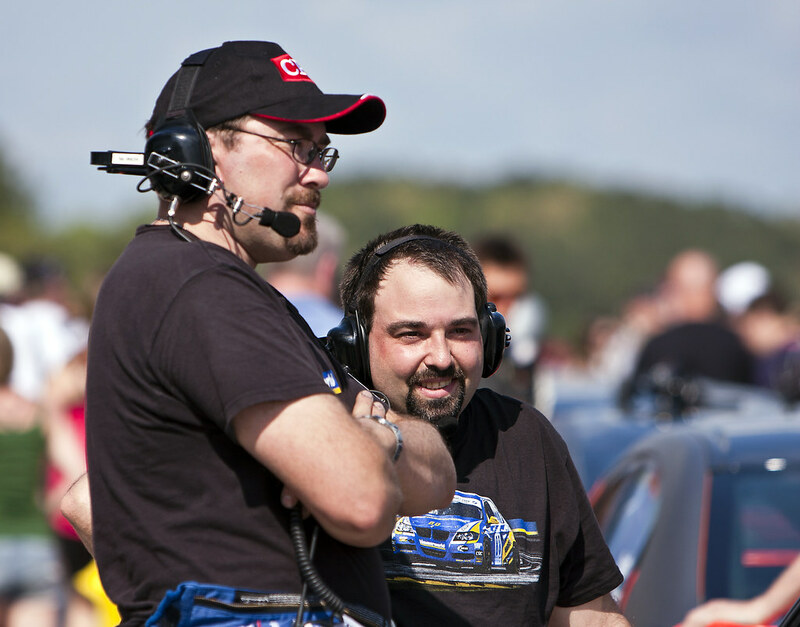 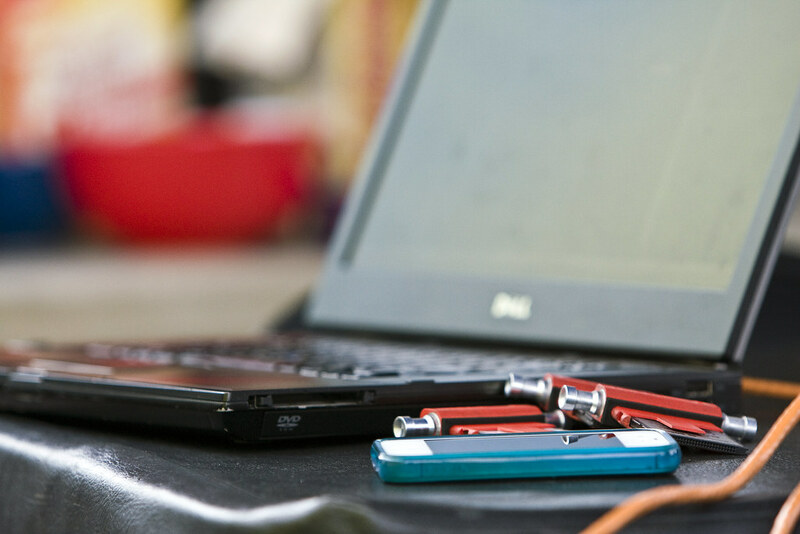 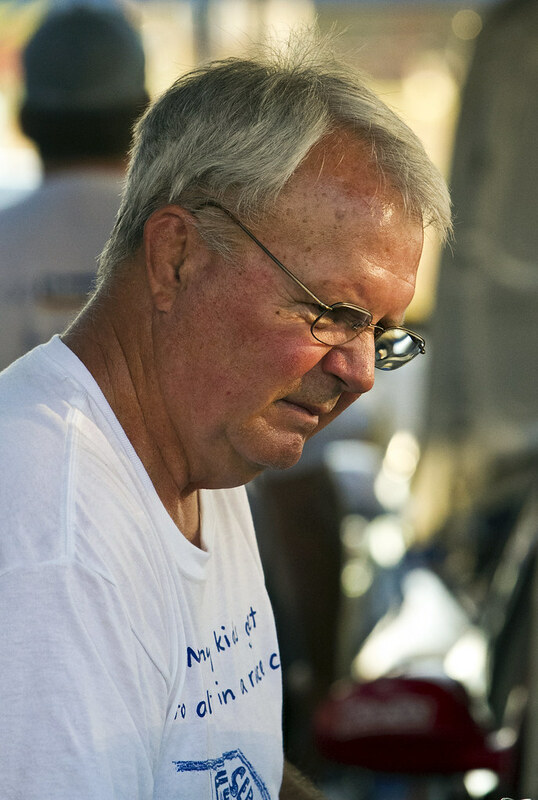 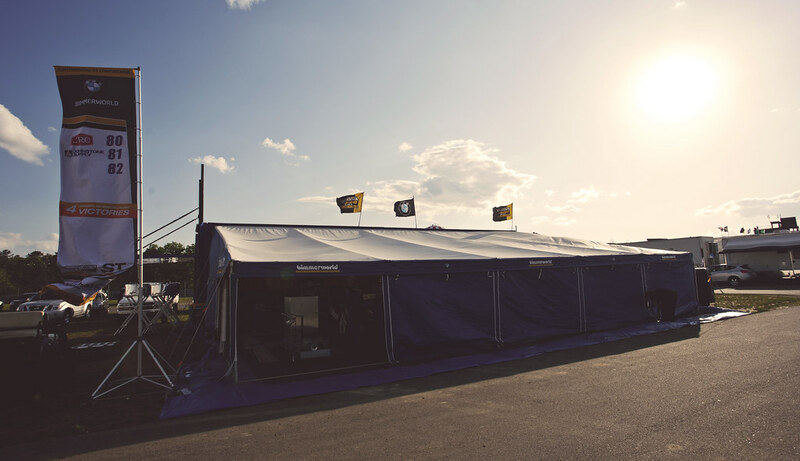 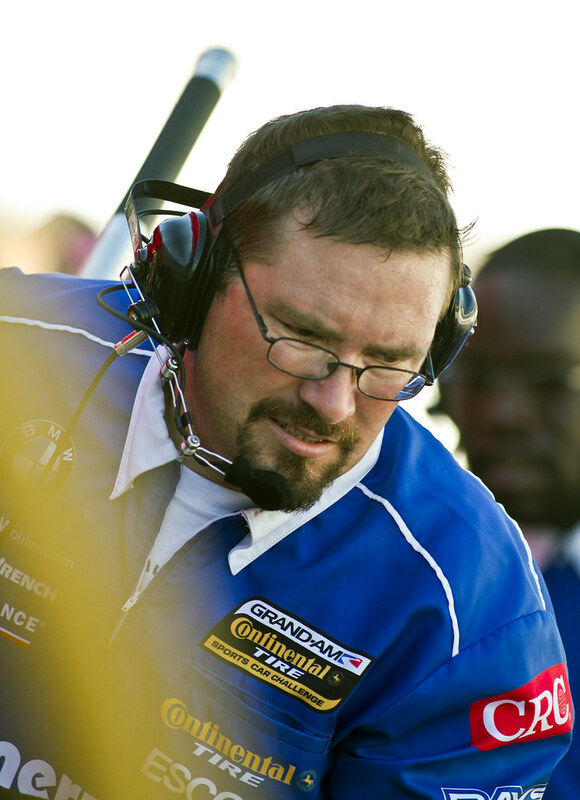 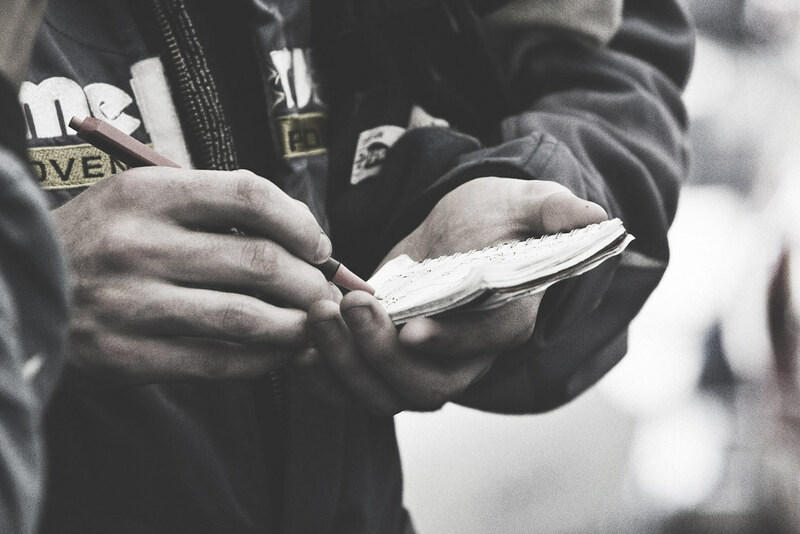 With just over a month to go until the opening of the 2012 racing season, Clay says his technicians have been putting CRC’s products to use on a daily basis and in a variety of applications. 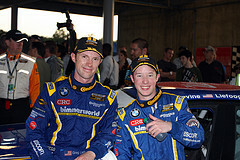 Drivers for the No. 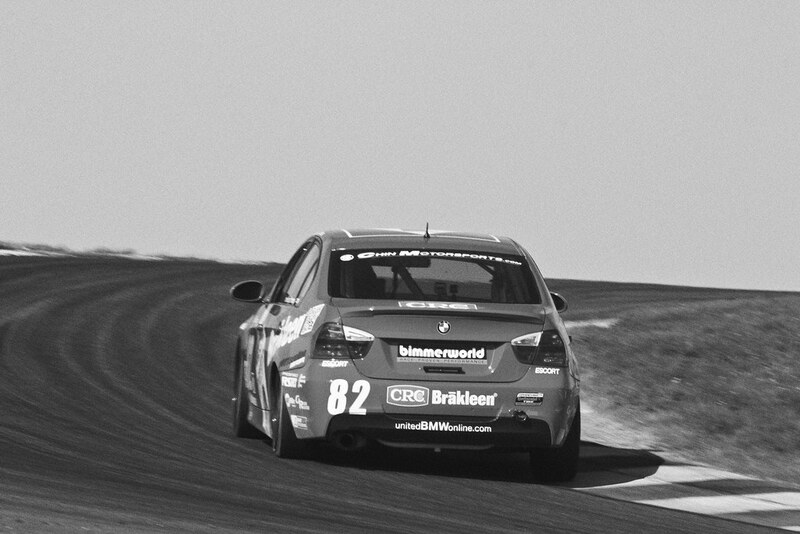 82 CRC BRAKLEEN® entry will be announced shortly, along with the rest of the BimmerWorld Racing lineup, and be sure to follow the team throughout the year at www.BimmerWorldRacing.com. 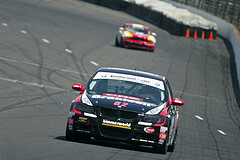 Visit www.facebook.com/crcauto and “Like” CRC Industries to access updates and special offers.